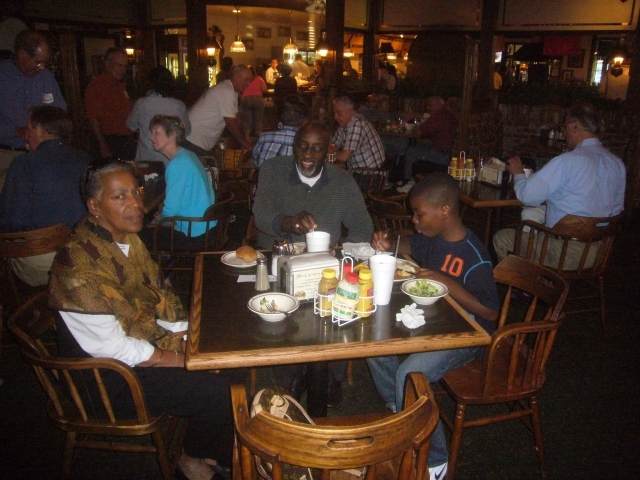 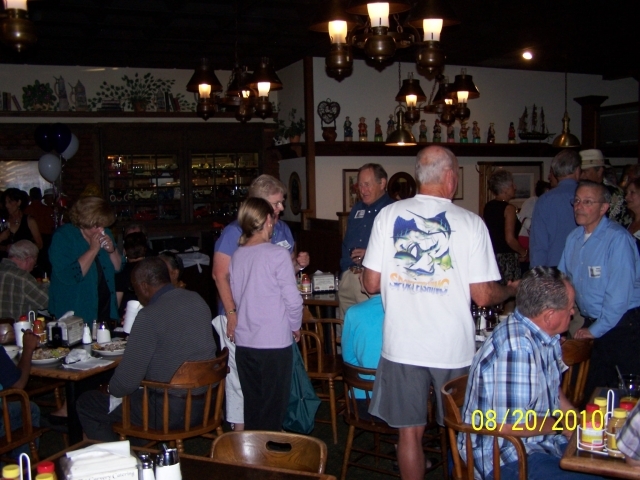 We gathered at Harry's Hofbrau to begin our weekend. 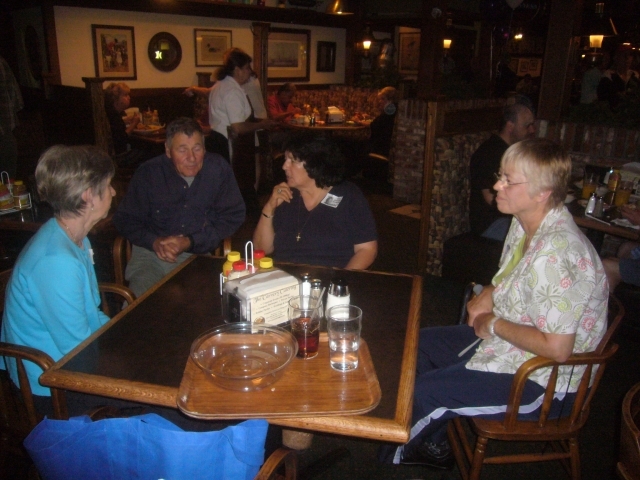 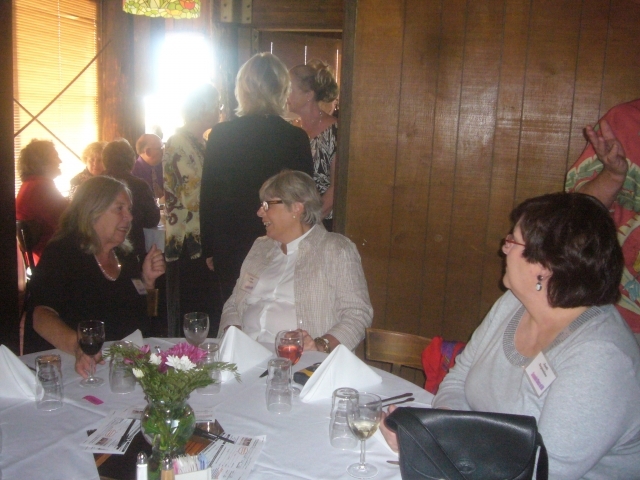 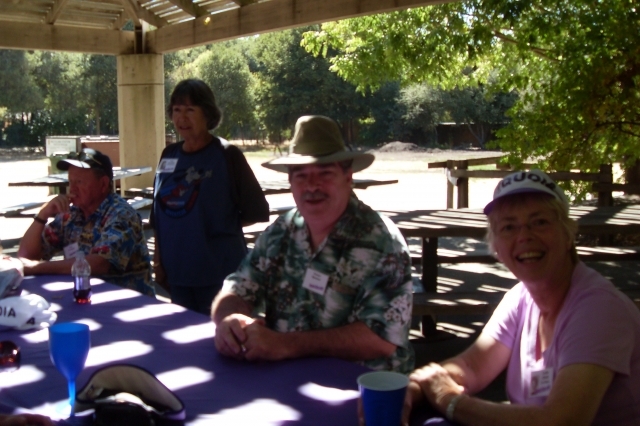 Some ate, some just chatted, and everyone was smiling and having a very good time. 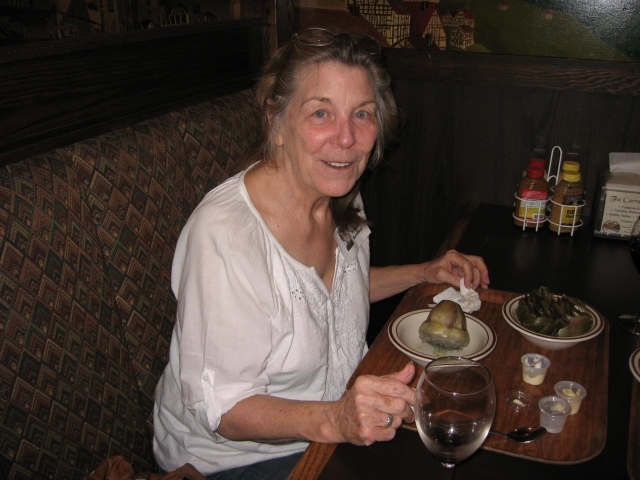 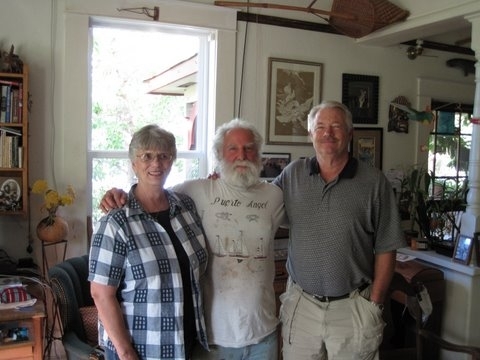 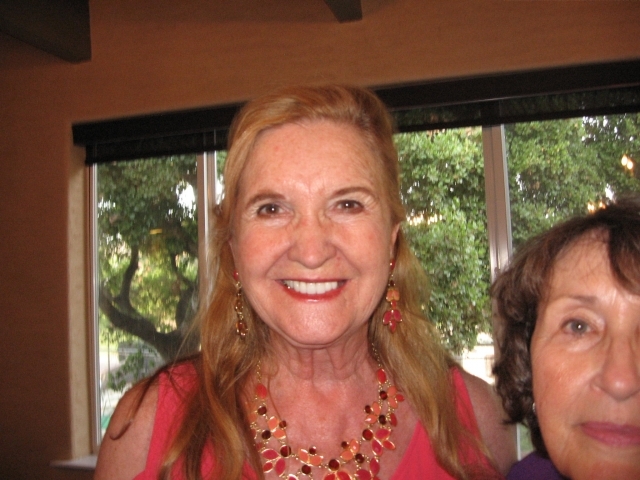 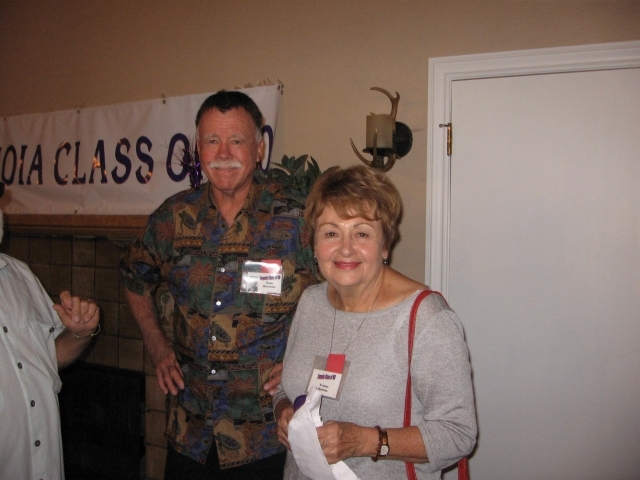 The mother of Ken Quinn, our classmate who died in the military during the Vietnam War was a special guest of our class. 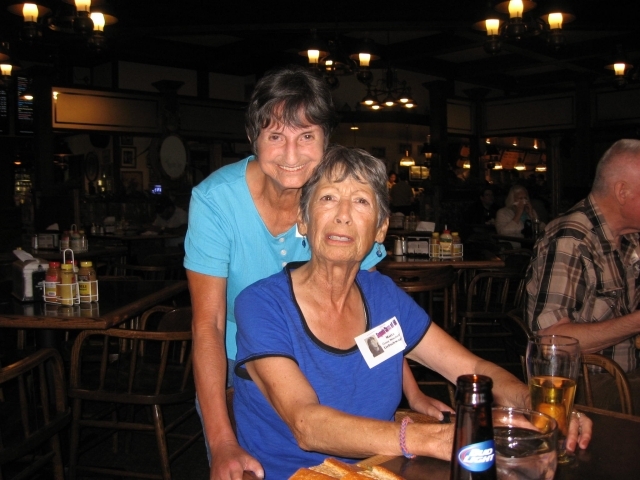 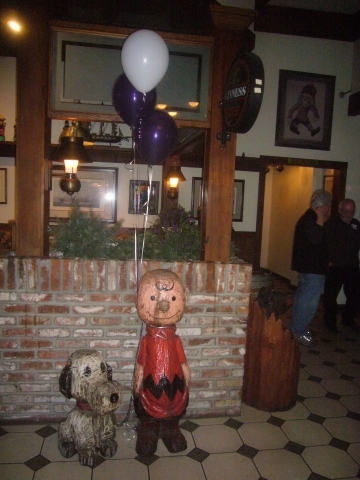 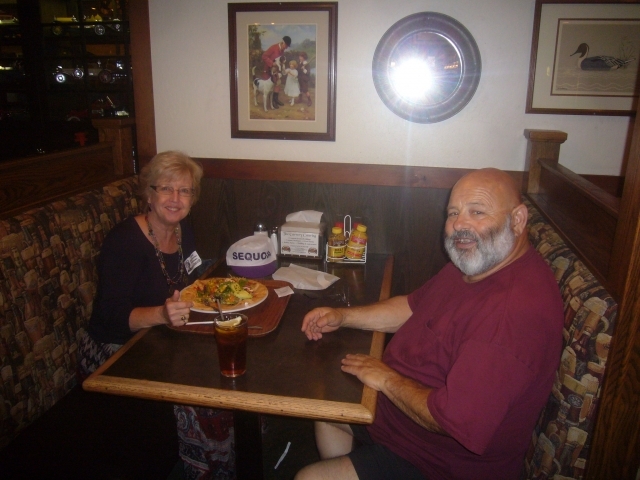 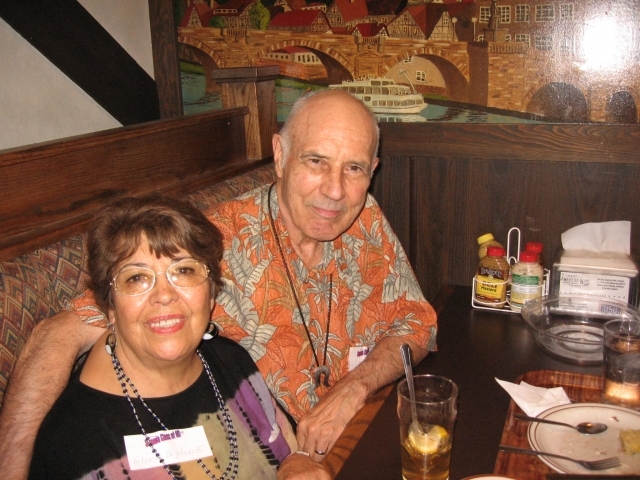 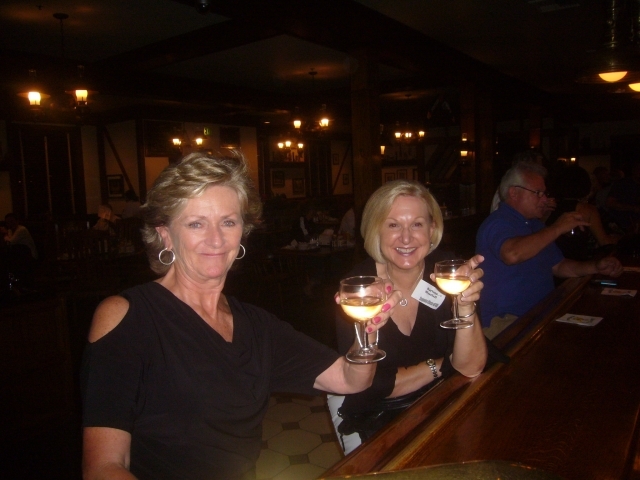 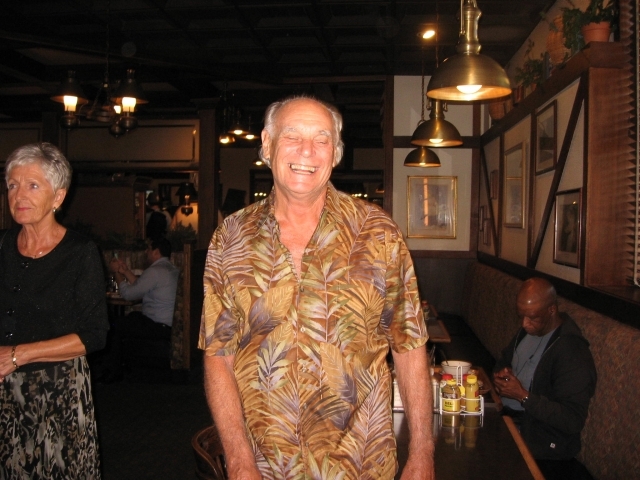 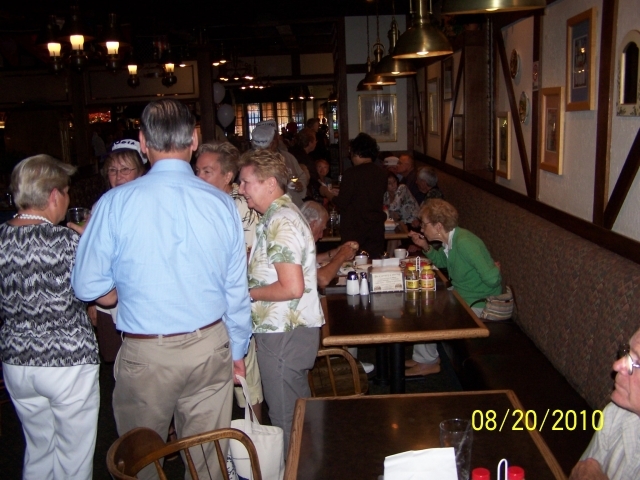 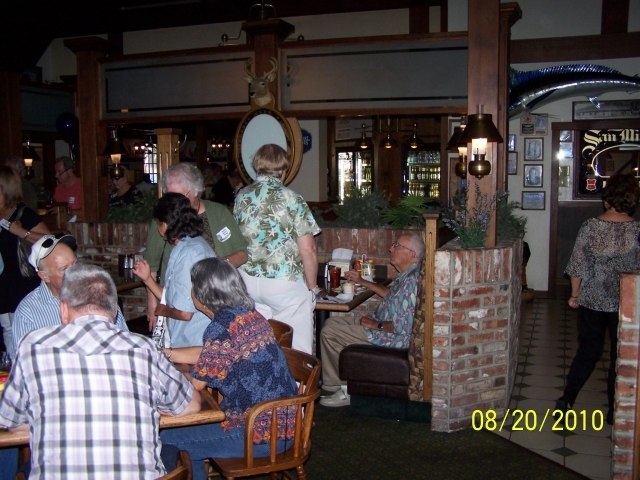 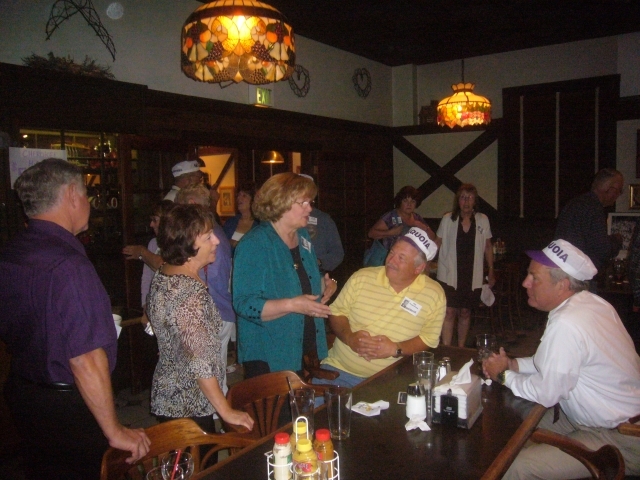 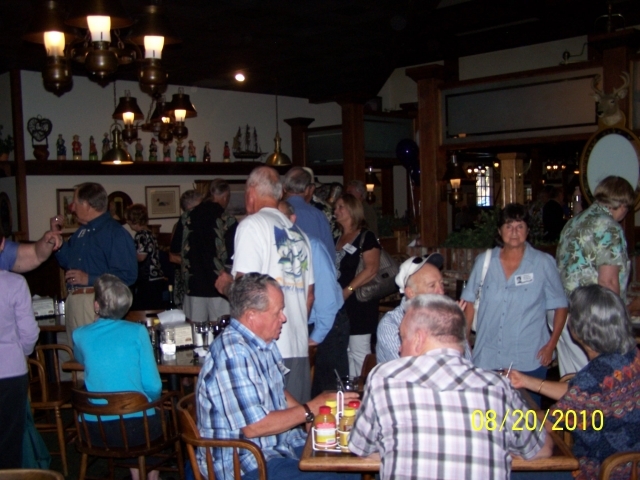 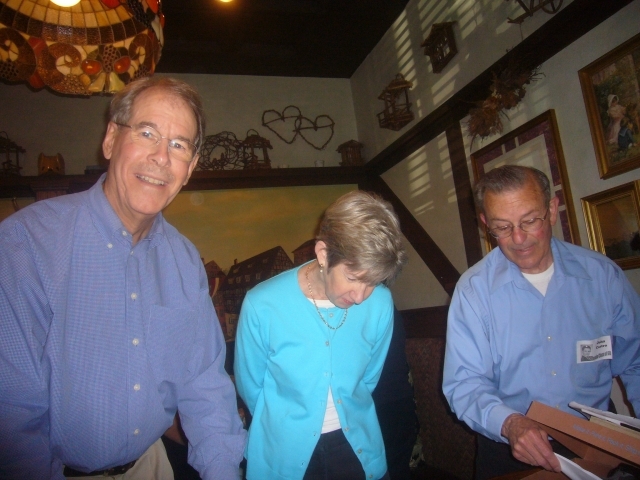 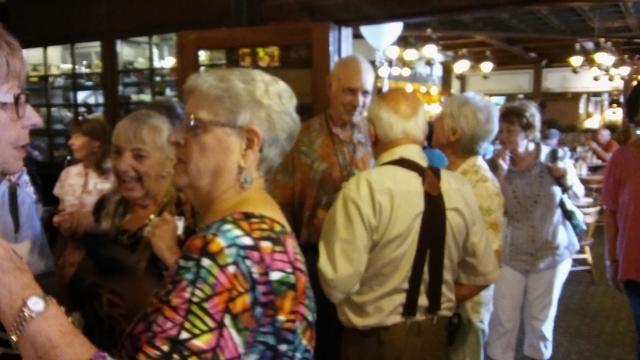 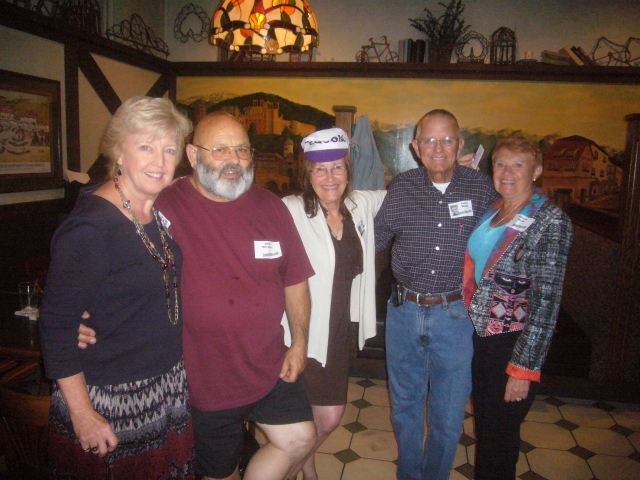 Just like at our 50th, we started out Friday night at Harry's Hofbrau. 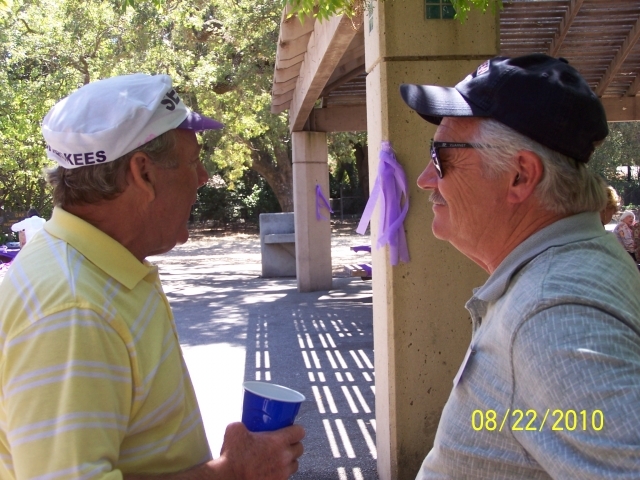 We talked and talked and everyone laughed and smiled. 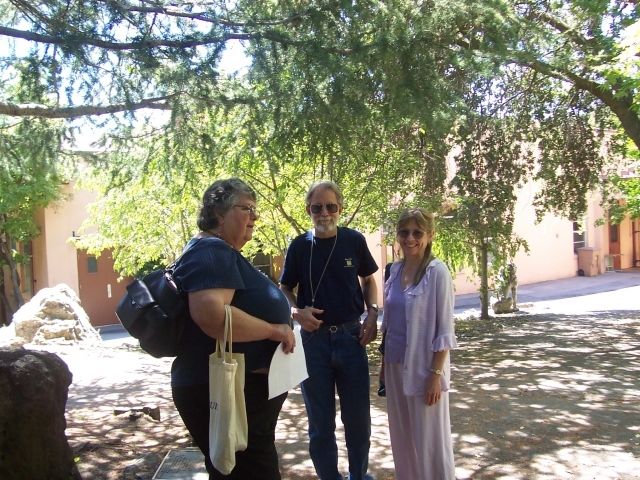 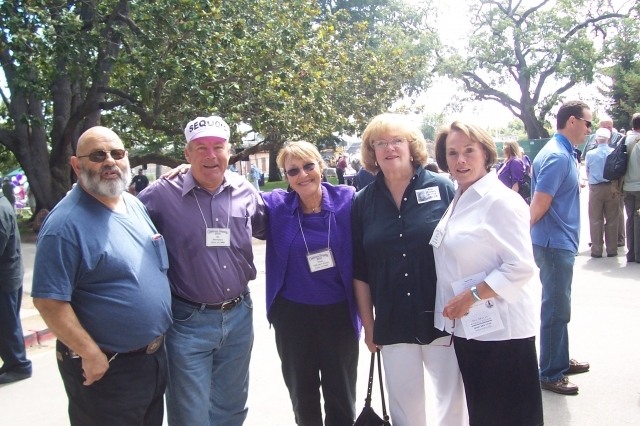 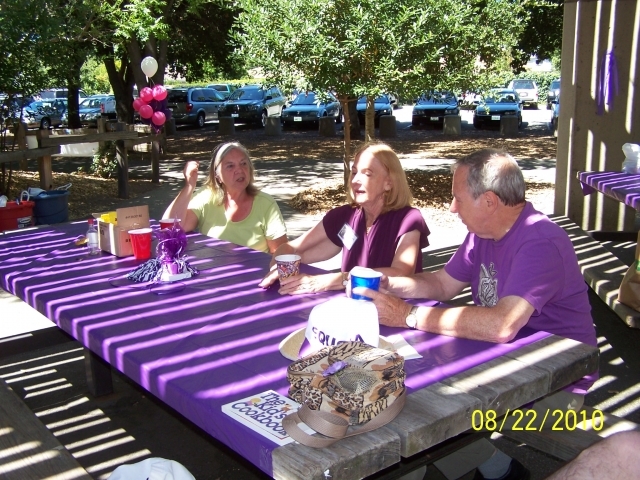 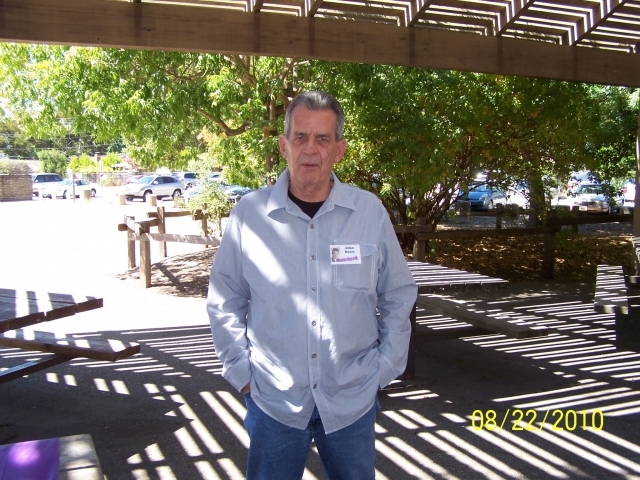 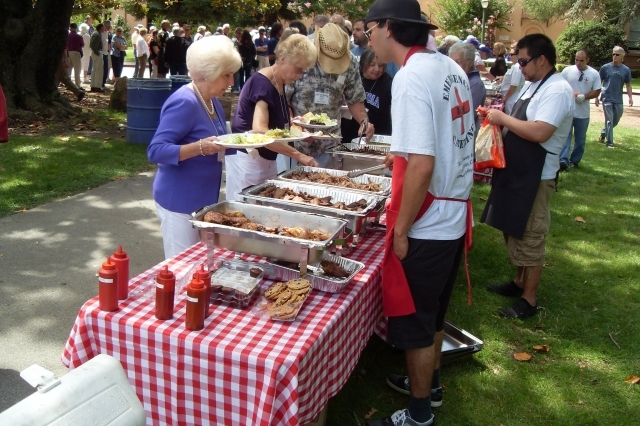 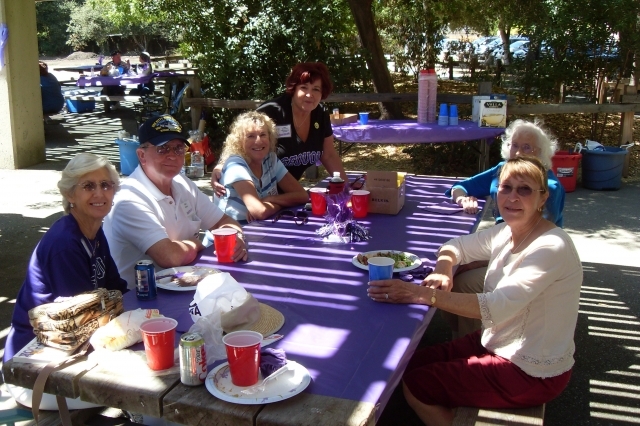 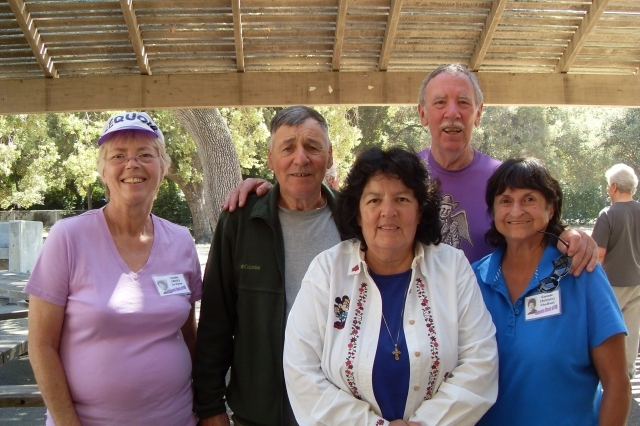 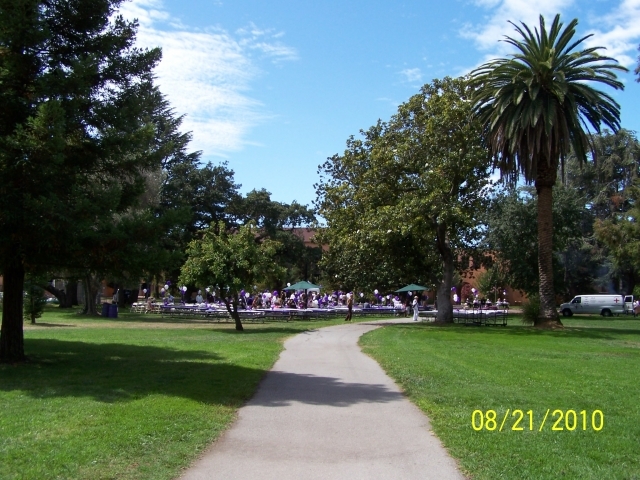 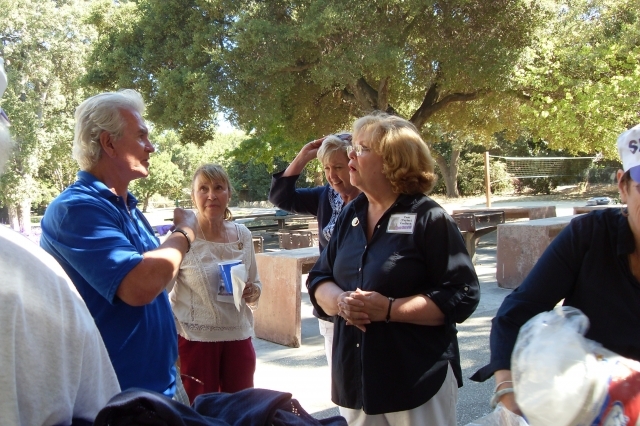 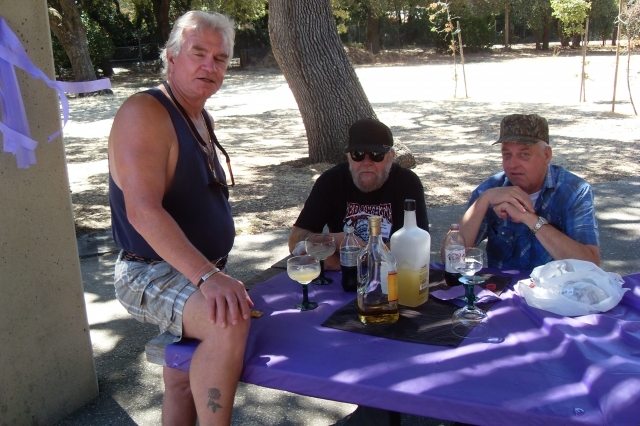 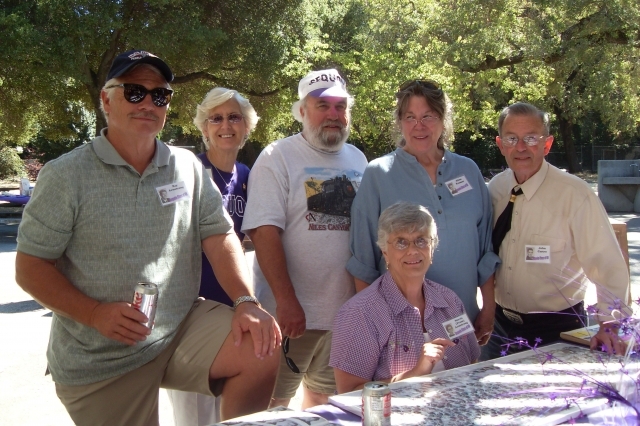 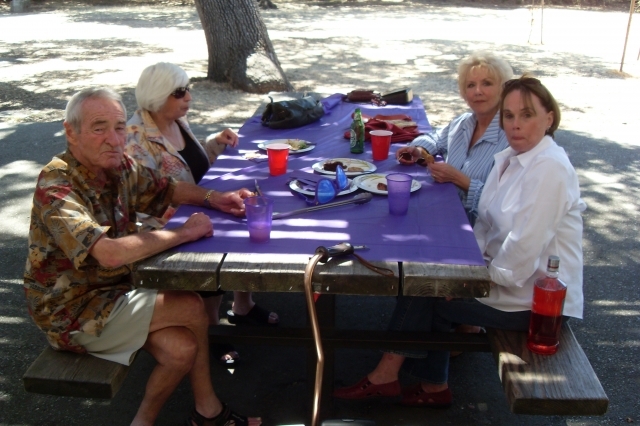 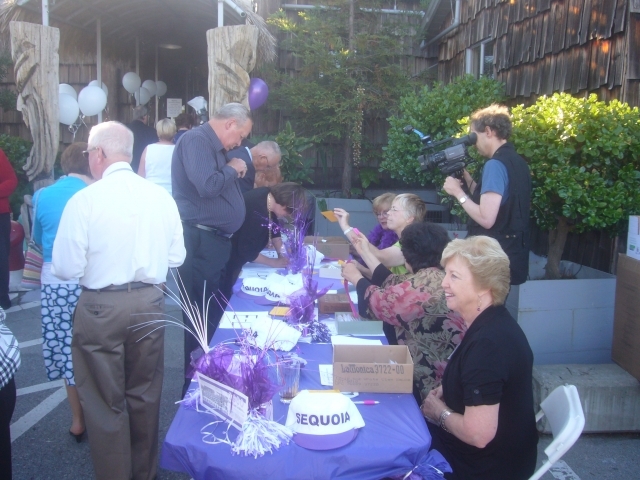 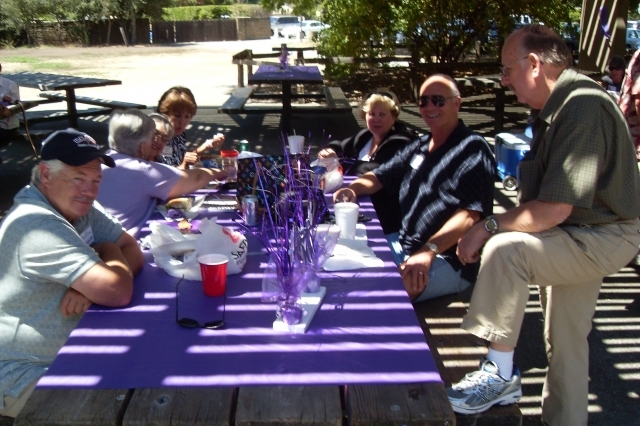 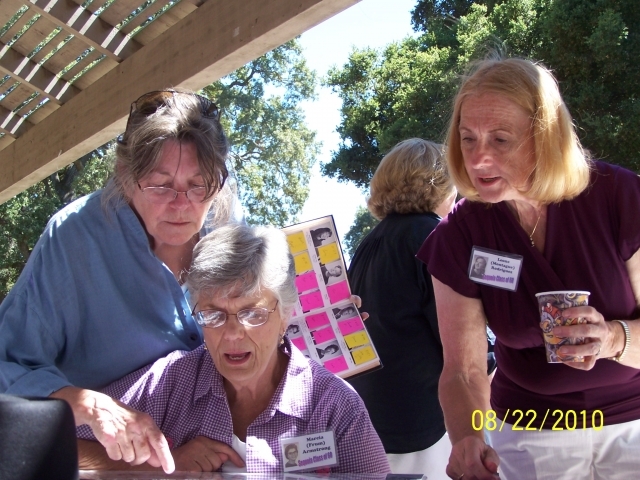 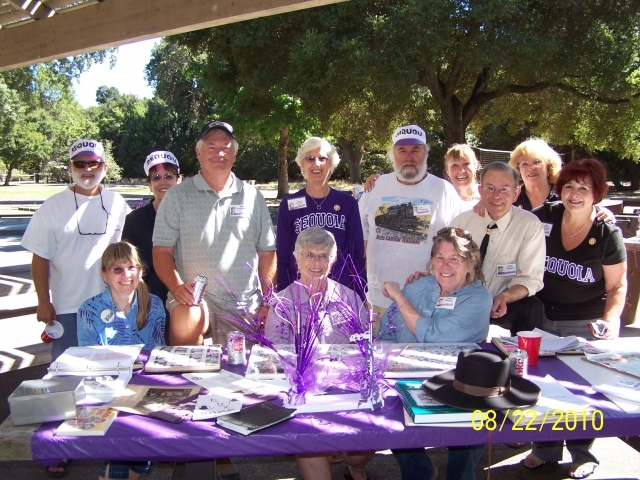 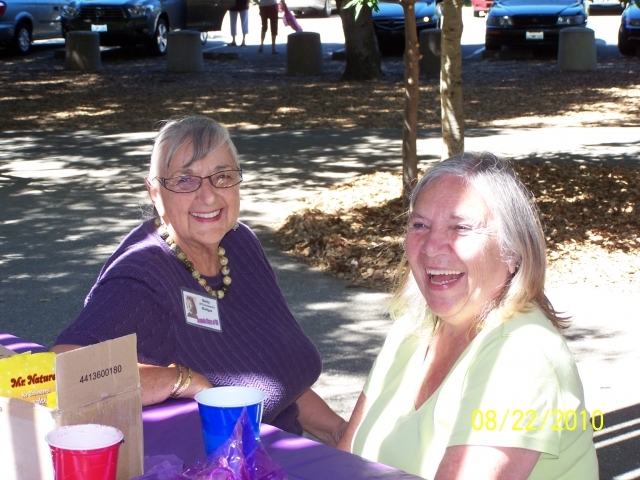 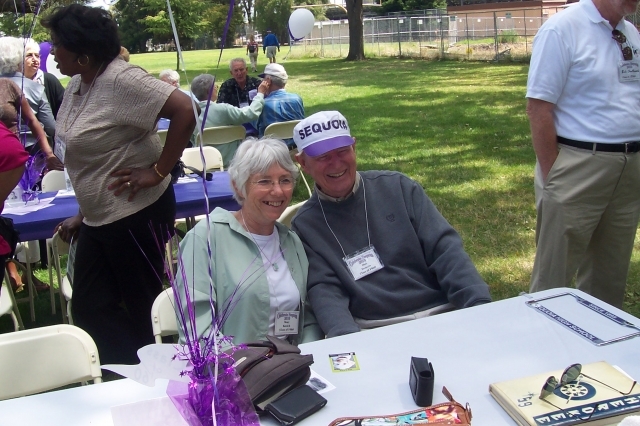 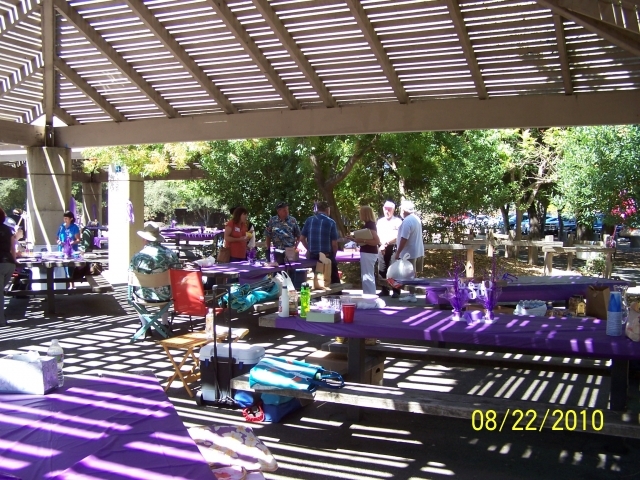 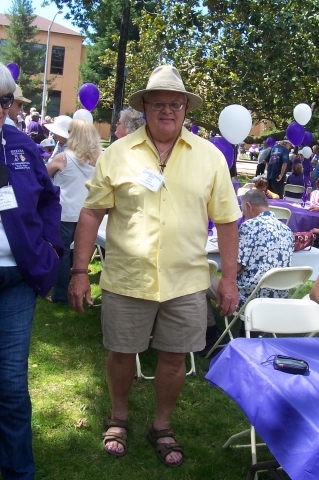 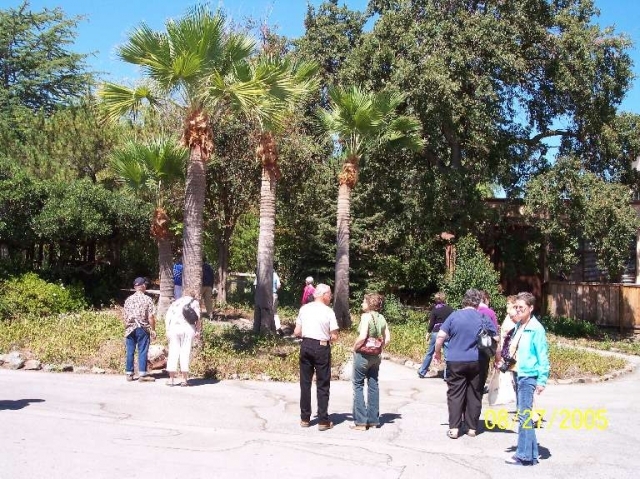 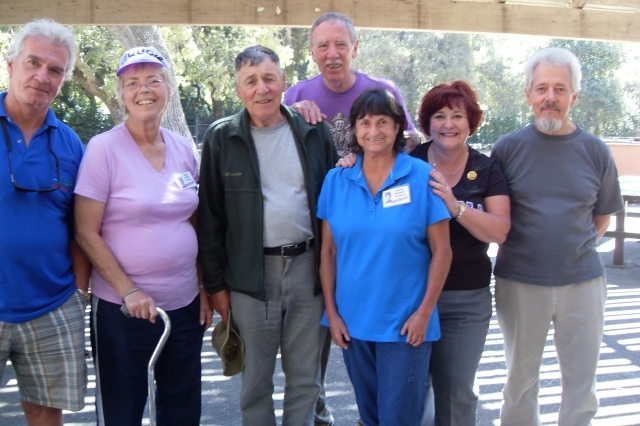 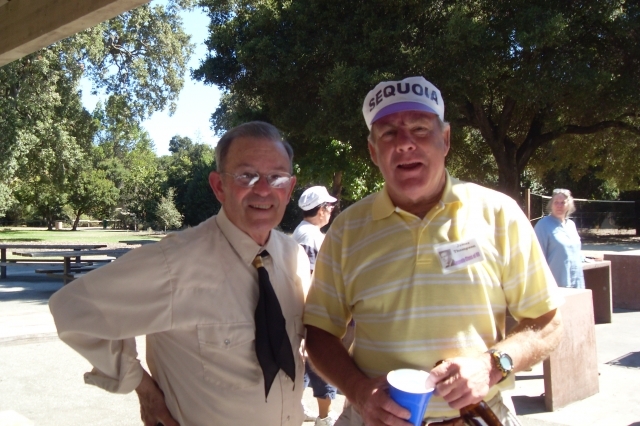 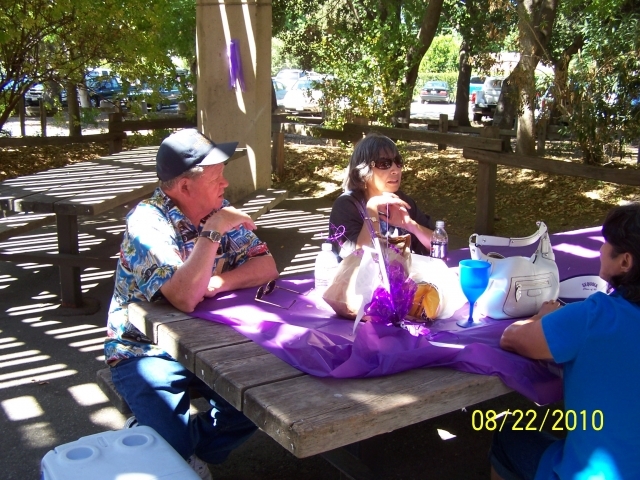 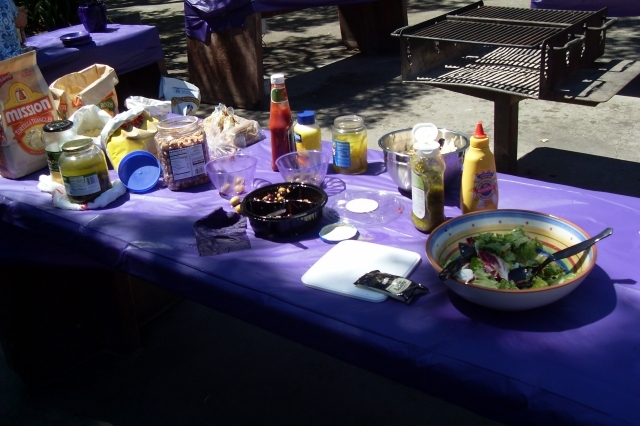 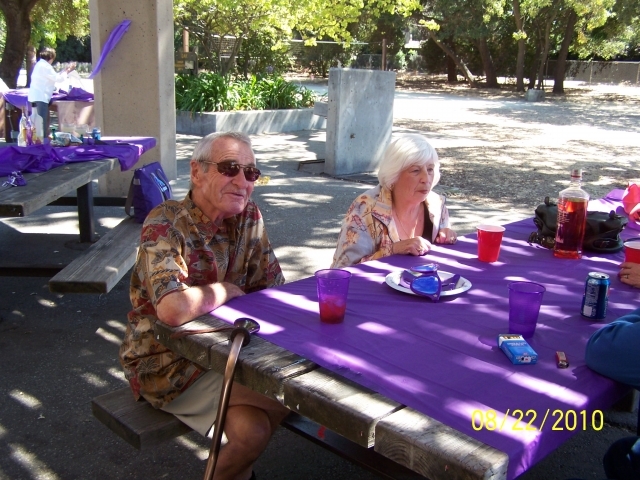 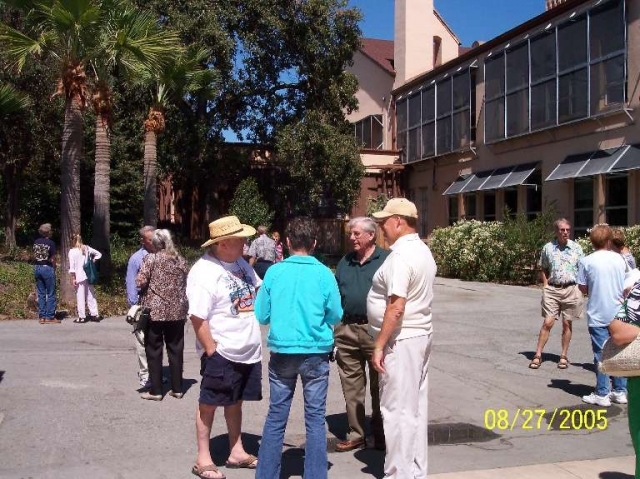 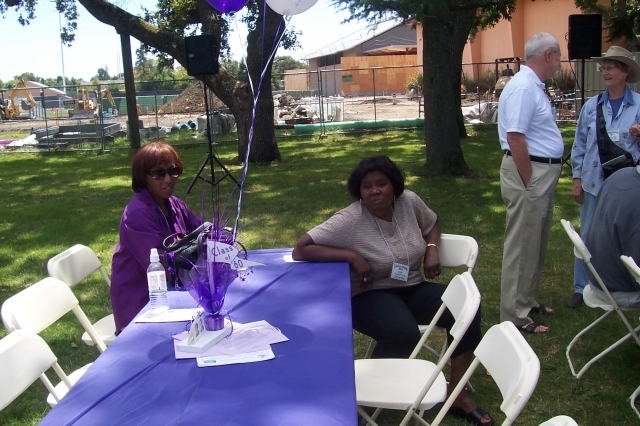 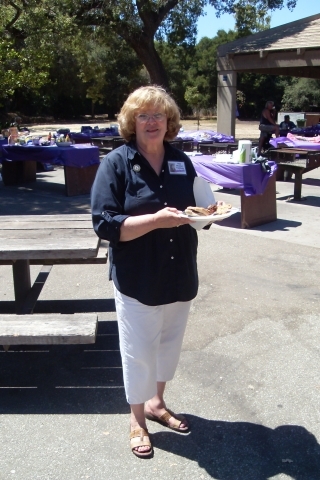 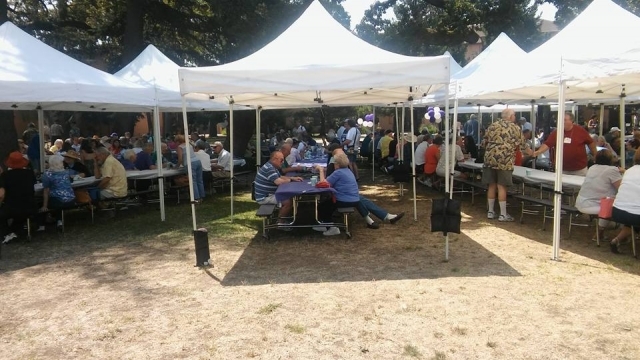 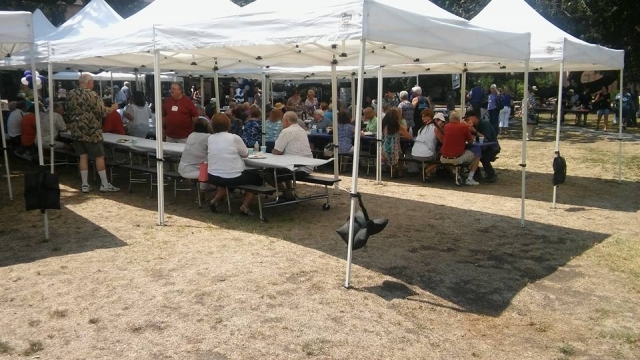 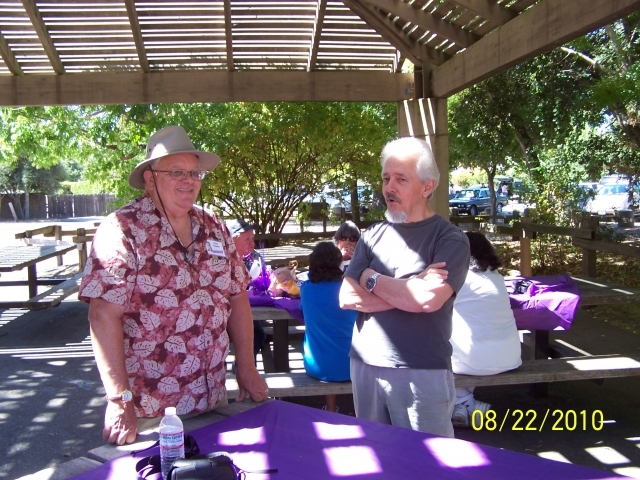 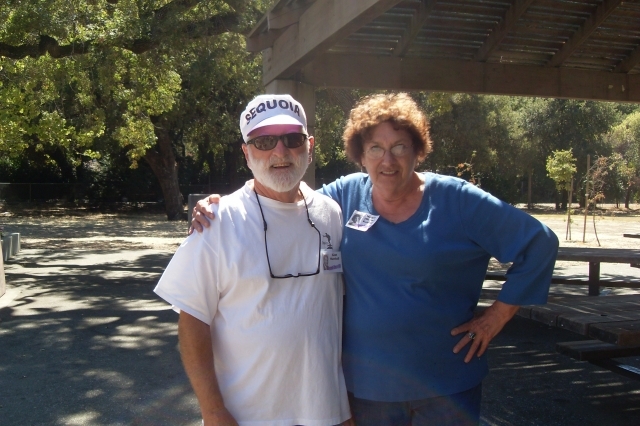 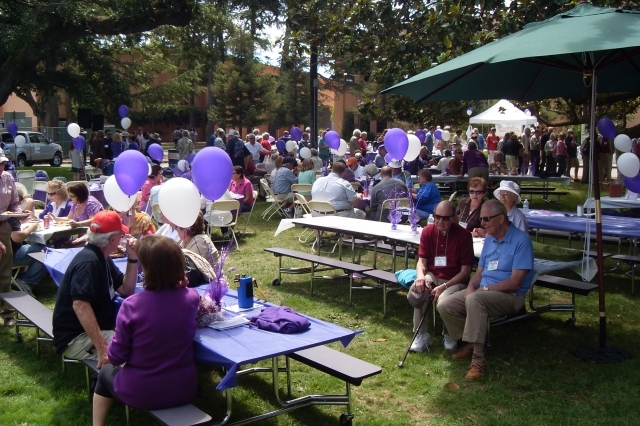 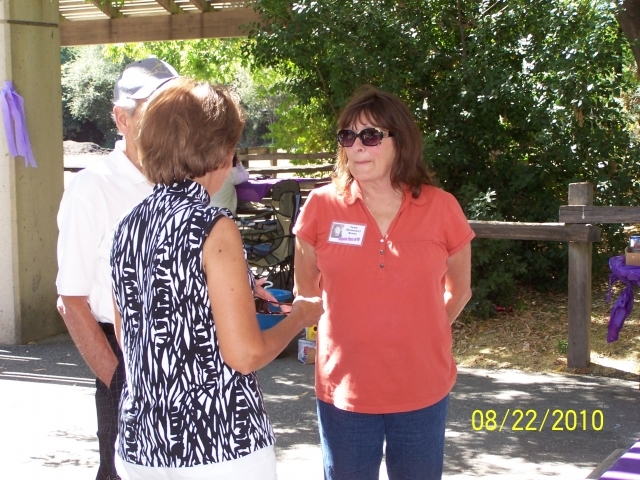 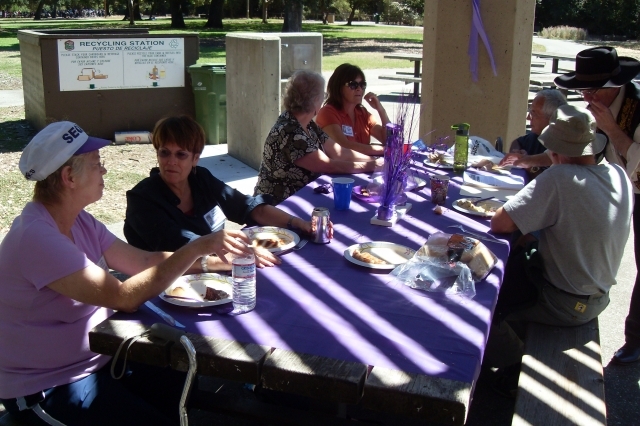 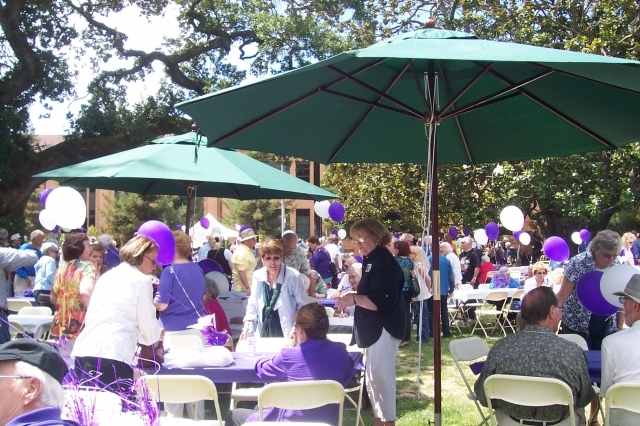 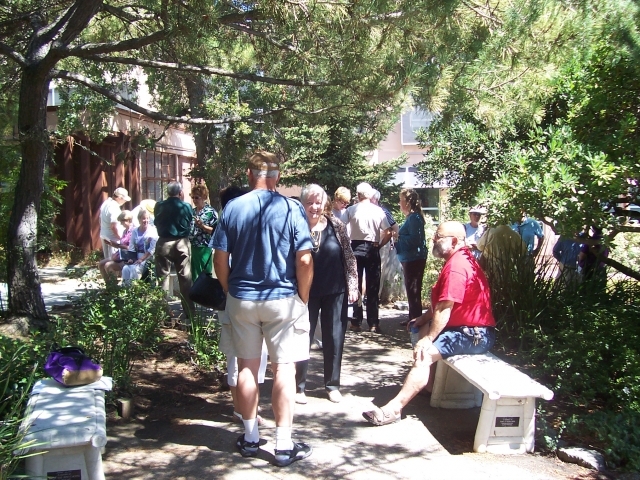 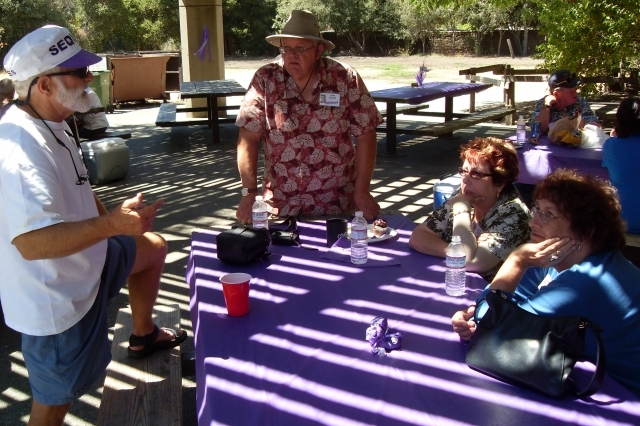 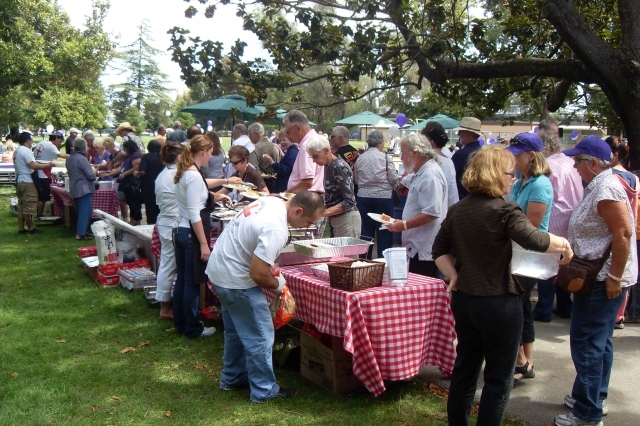 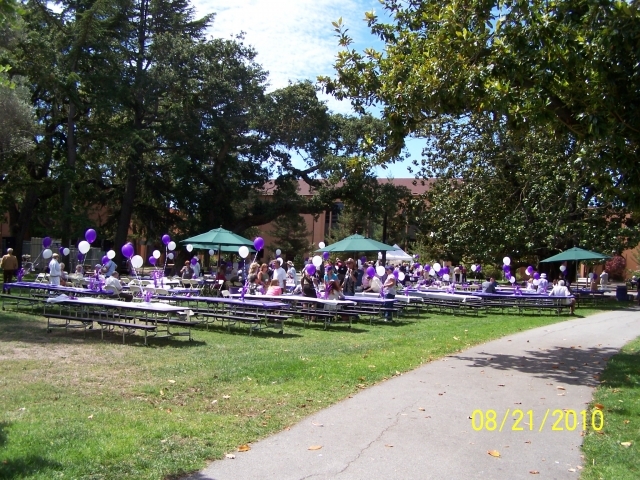 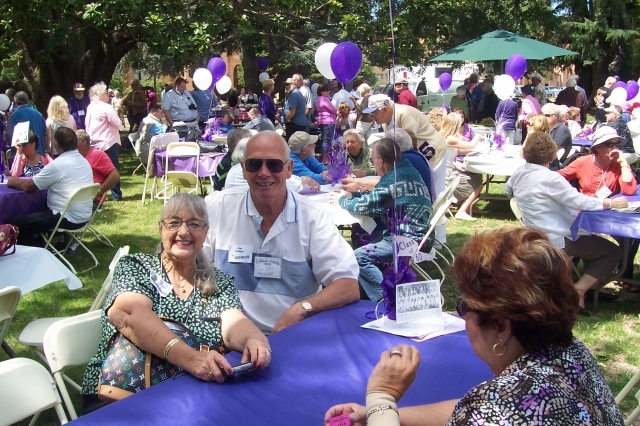 Saturday we gathered on the Sequoia campus to join the Alumni Association picnic. 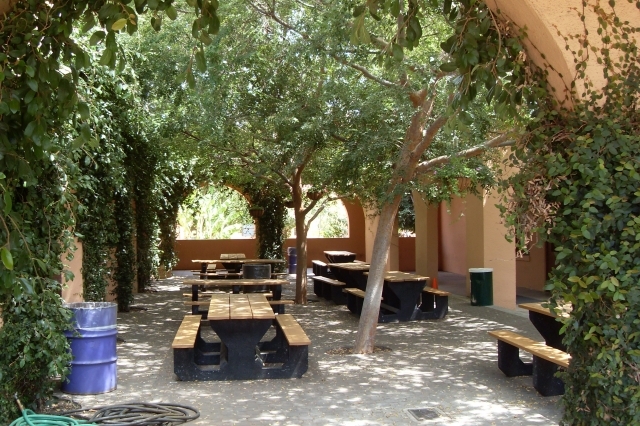 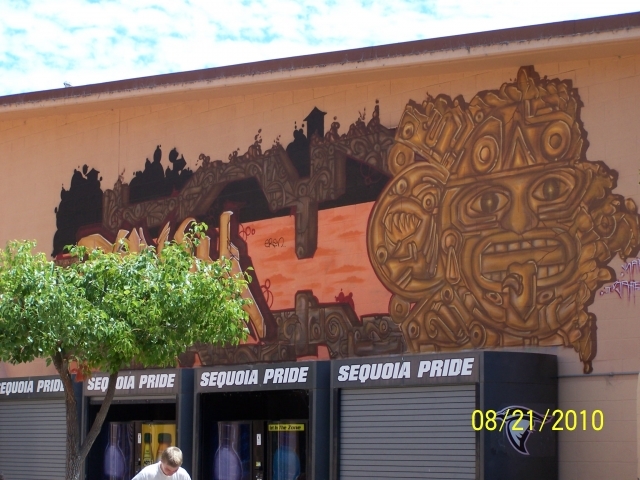 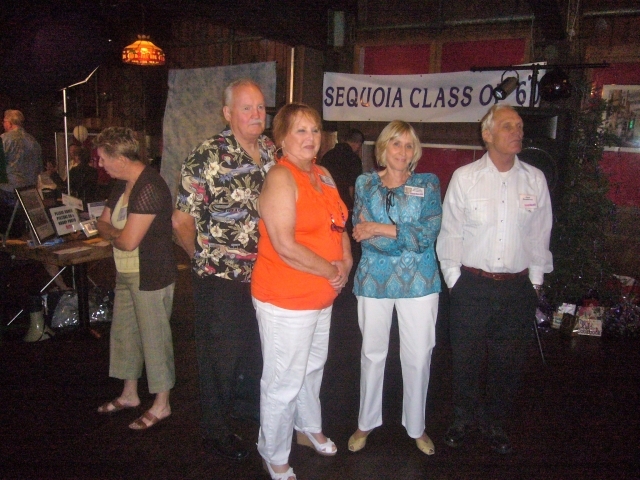 We talked with folks younger than us and folks older than us - and everyone agreed - Sequoia is a super school! 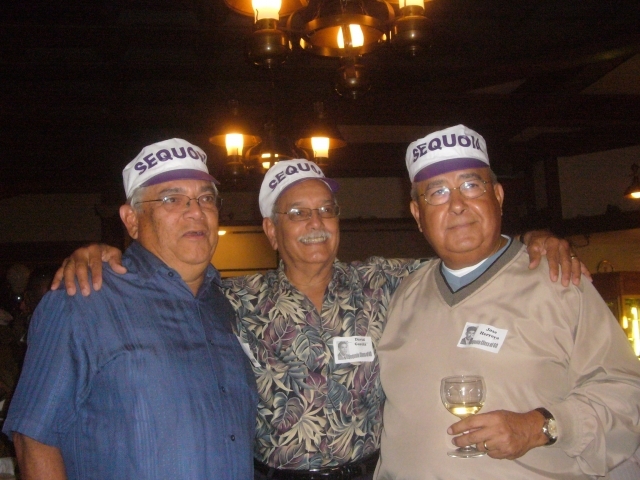 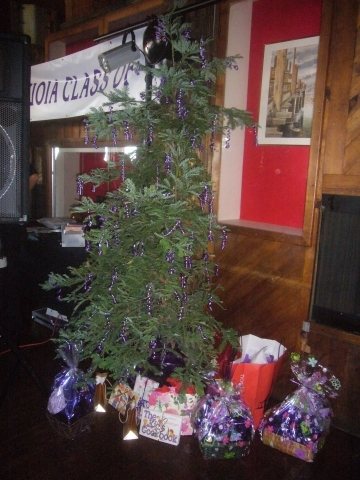 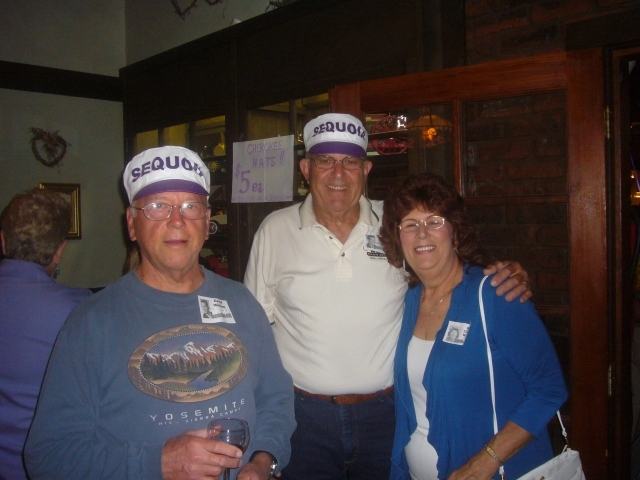 We even sang "When a Sequoia Gang Walks Down the Street...." Remember that? 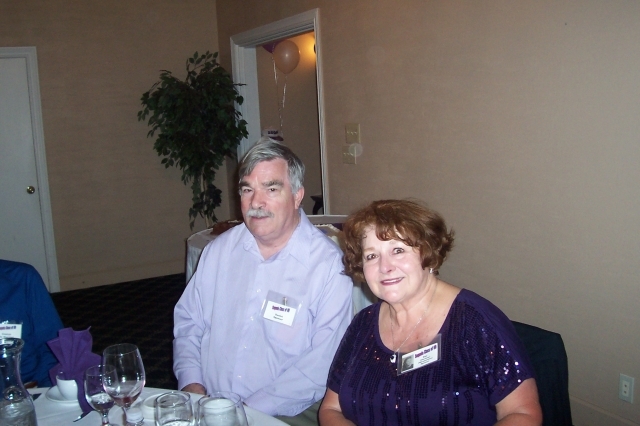 Saturday night we dressed up a bit and dined at the Elks Lodge and danced to a great DJ couple who sang all the songs we remember. 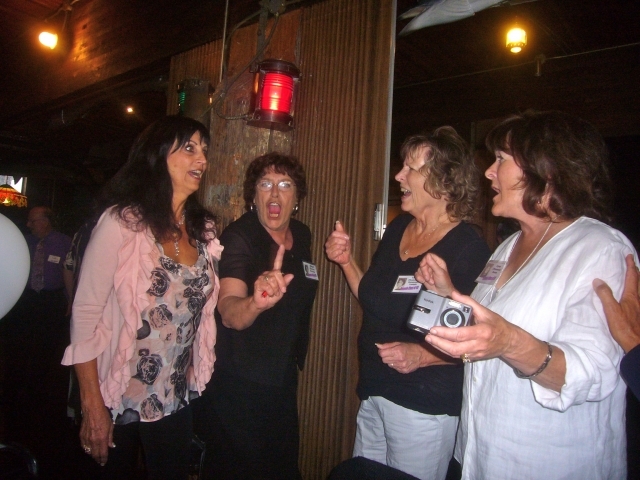 The current cheerleaders even joined us and performed. 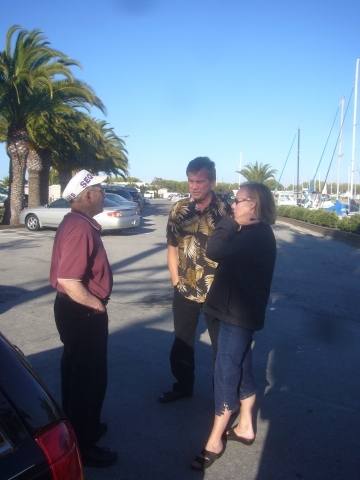 And we talked and talked some more. 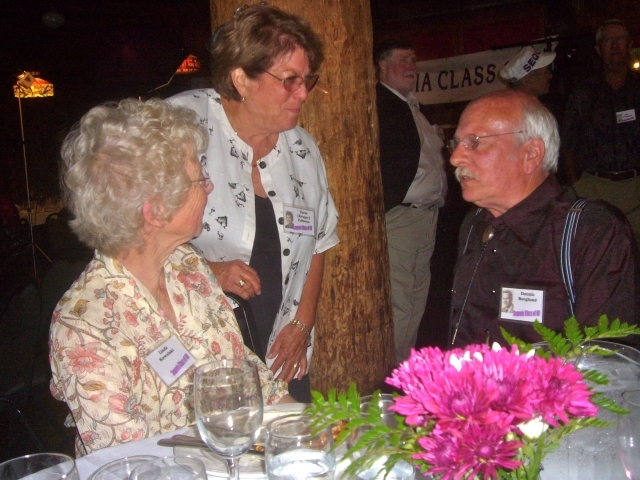 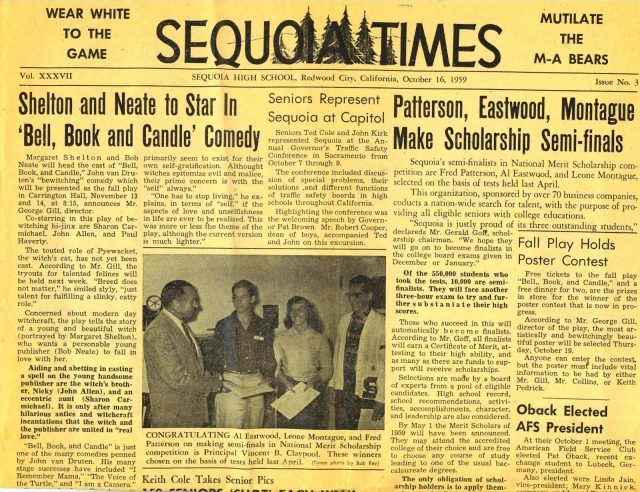 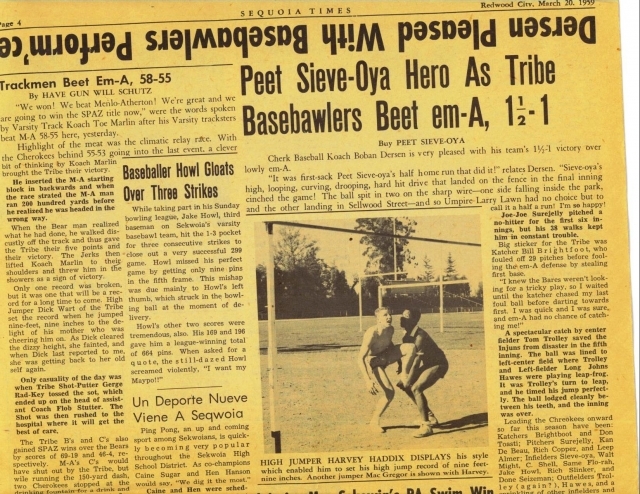 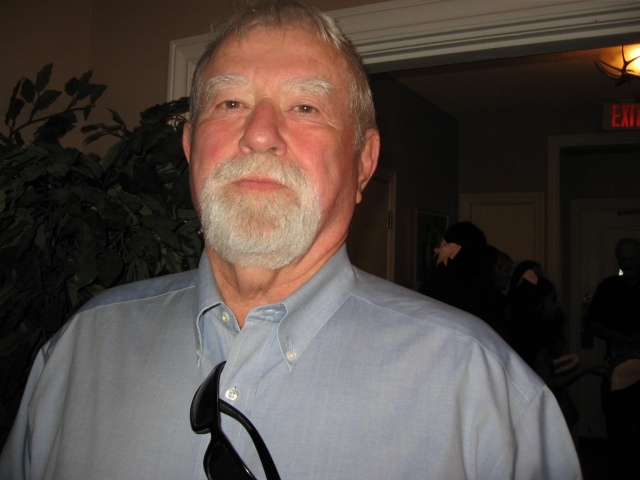 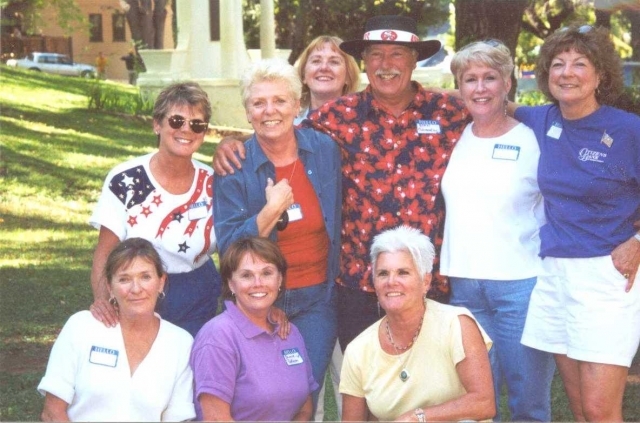 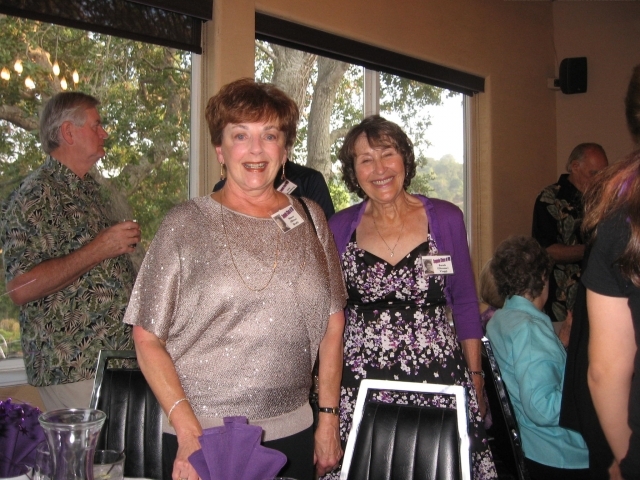 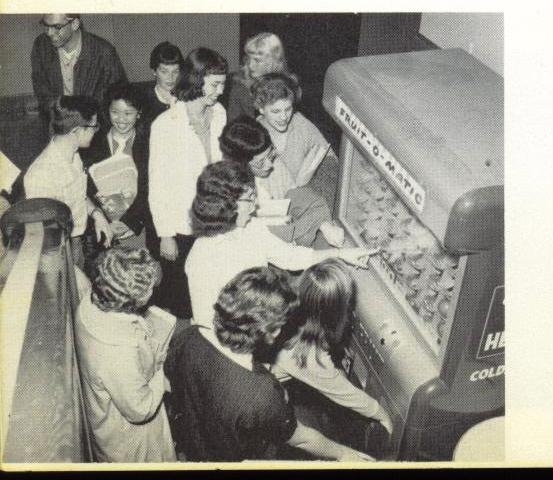 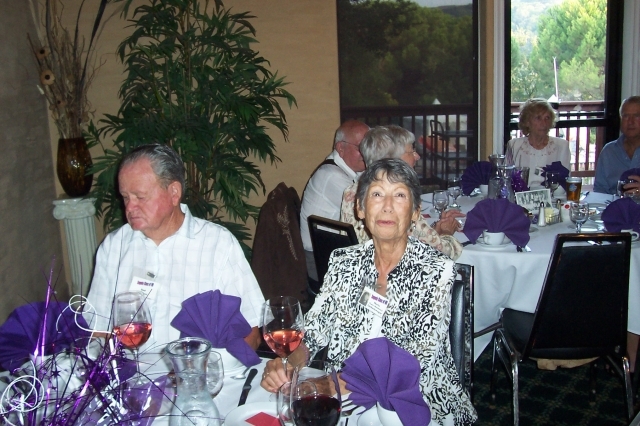 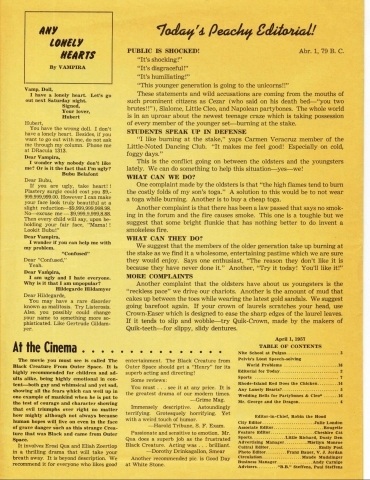 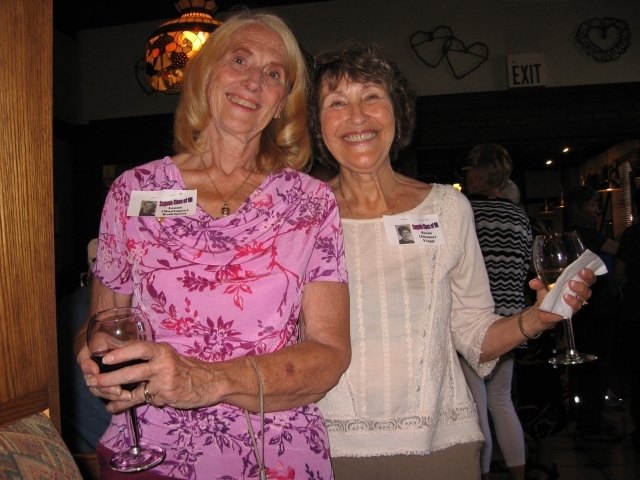 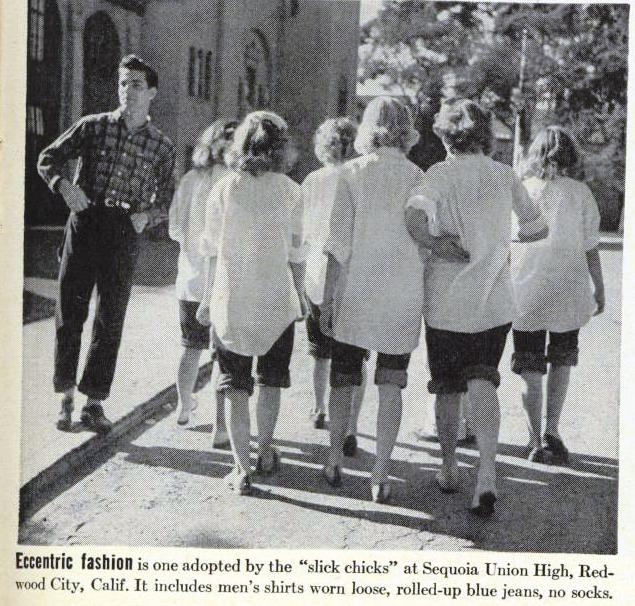 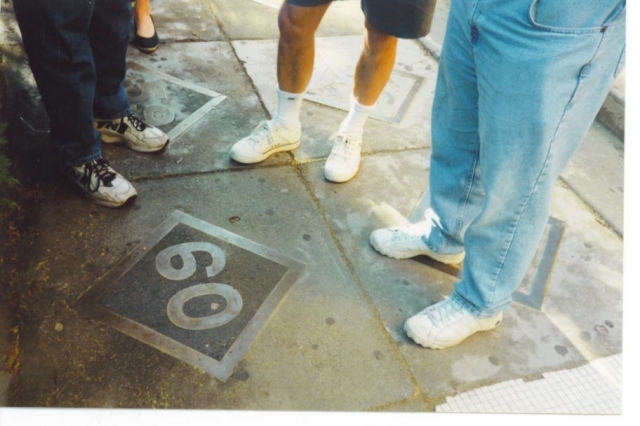 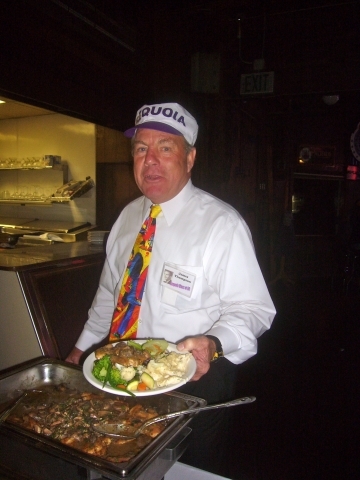 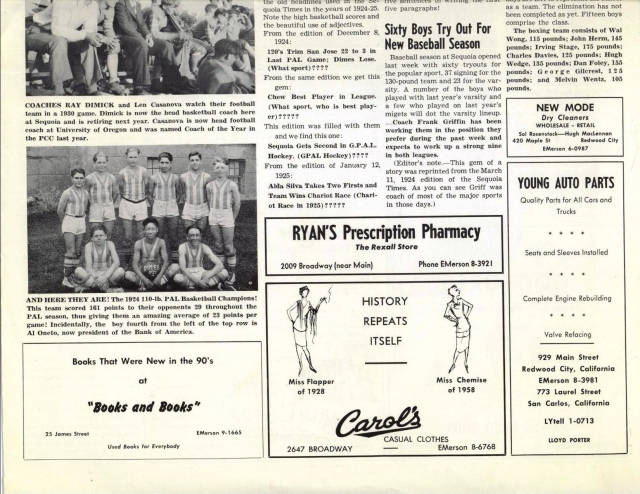 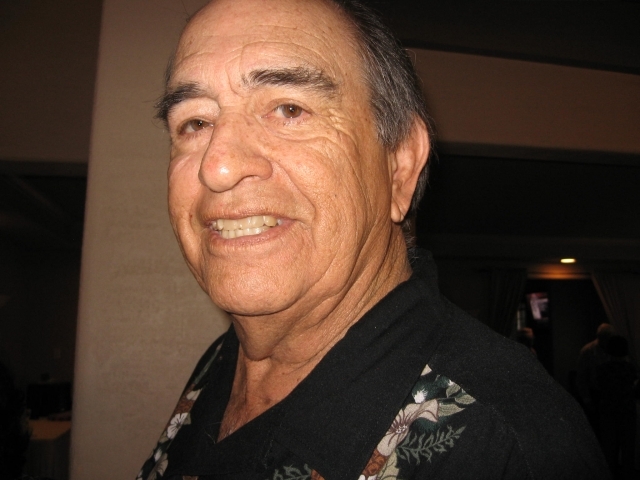 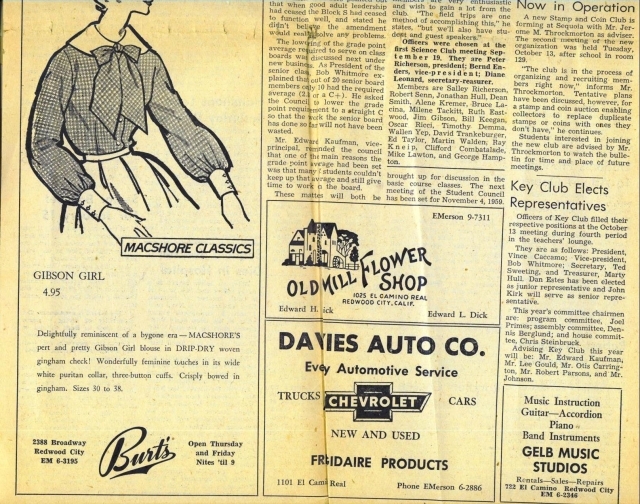 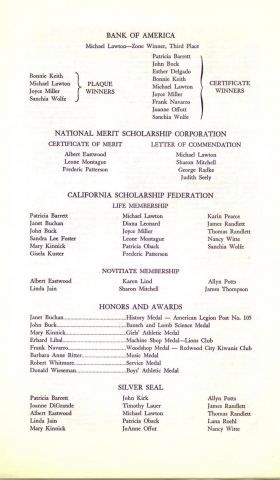 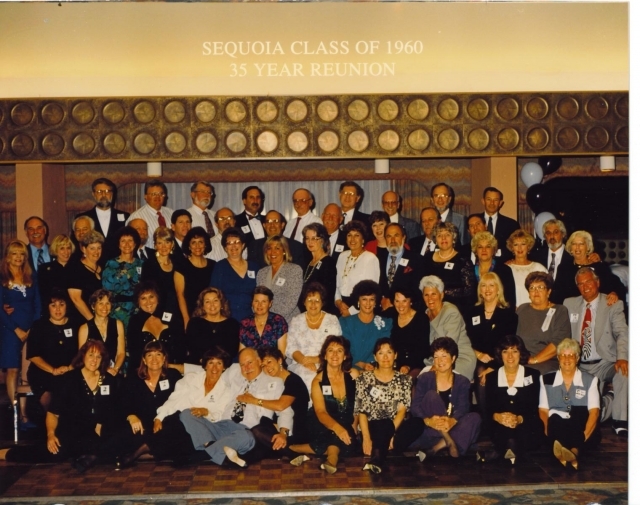 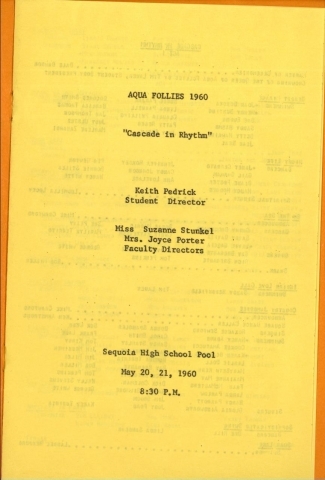 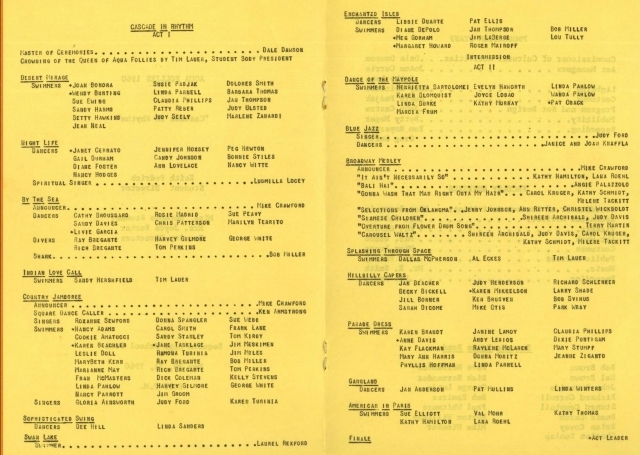 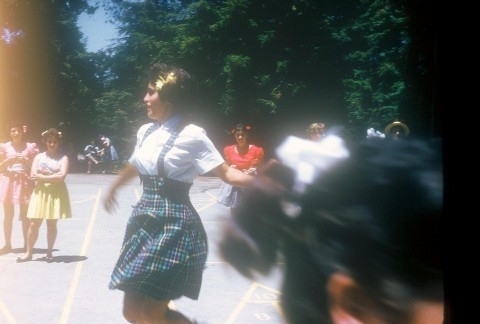 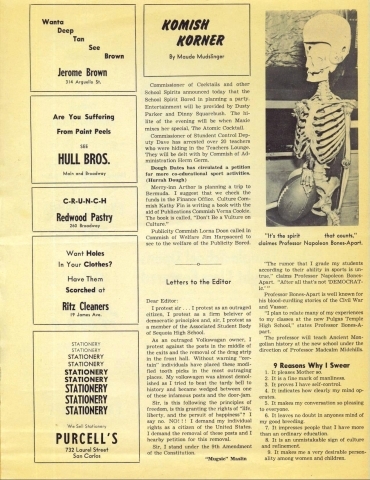 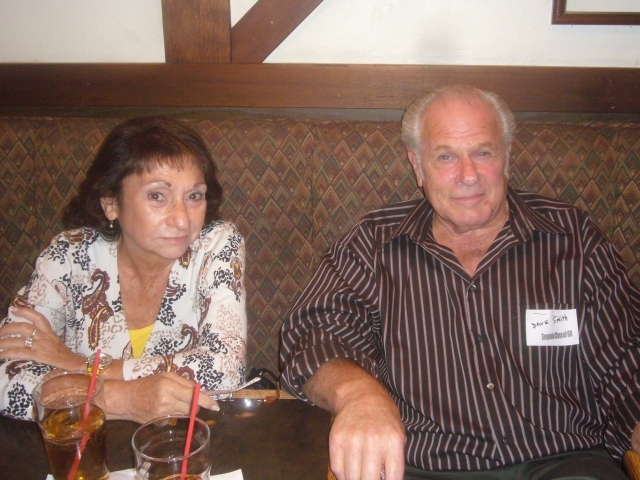 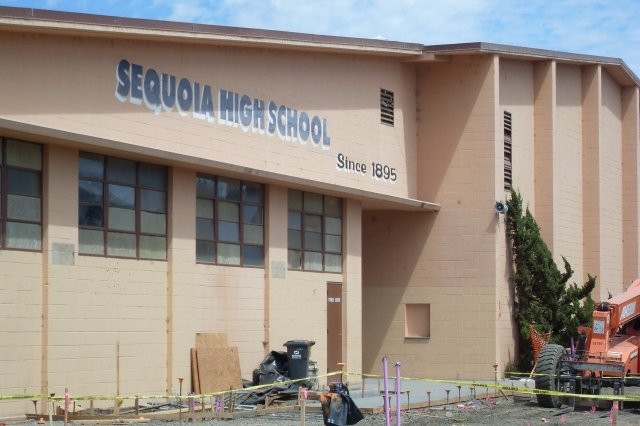 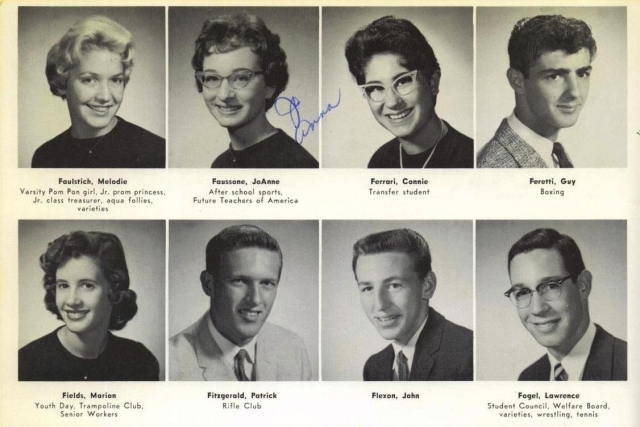 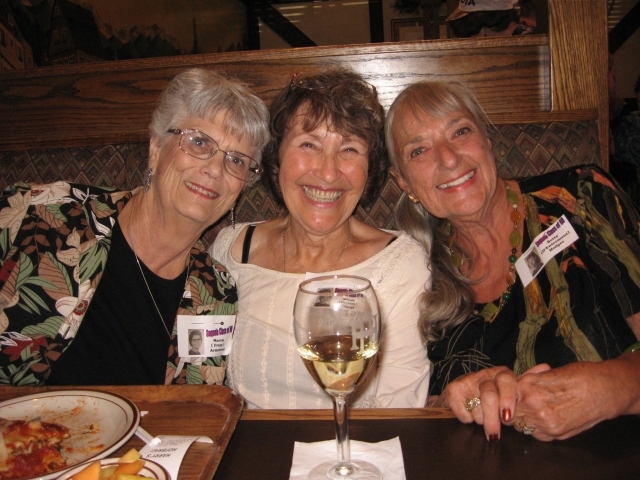 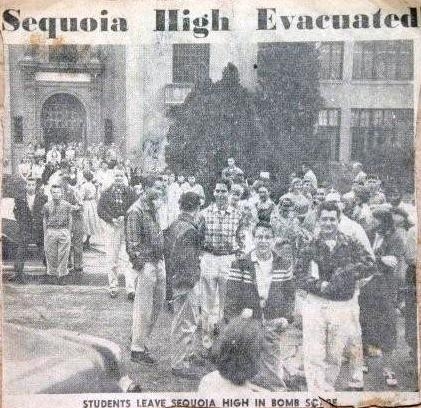 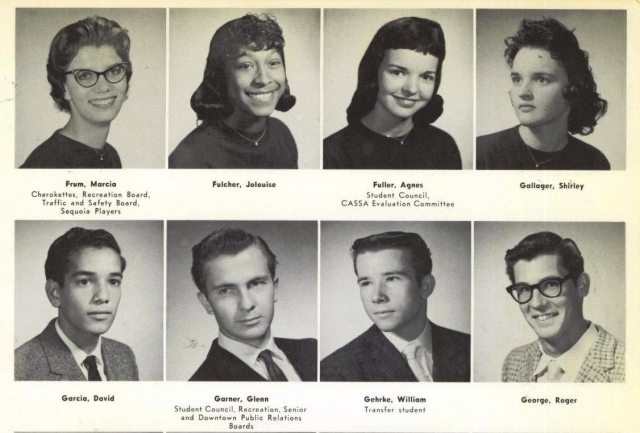 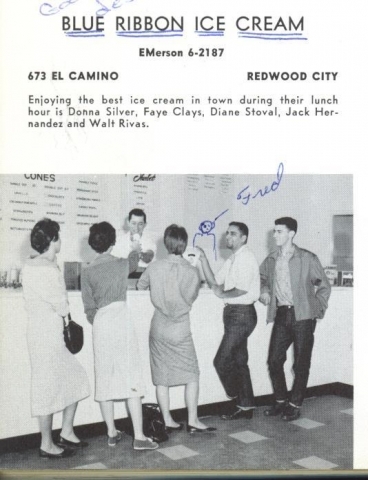 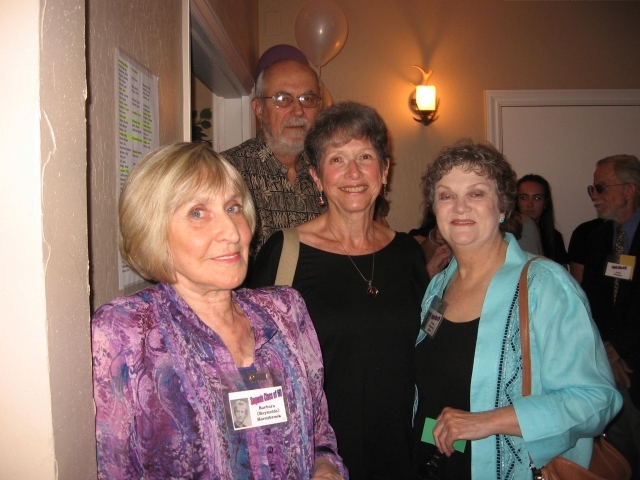 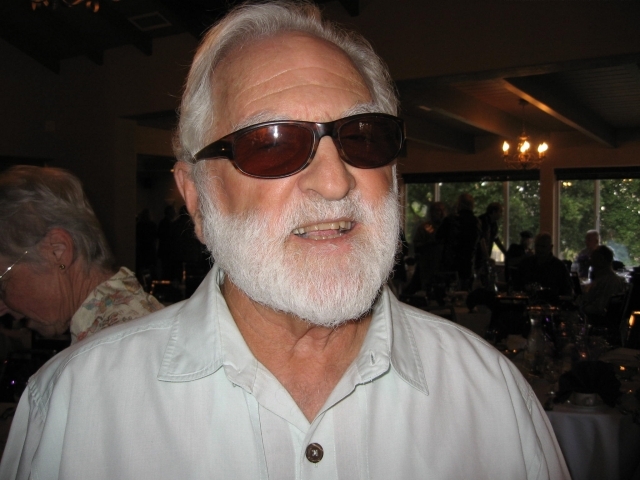 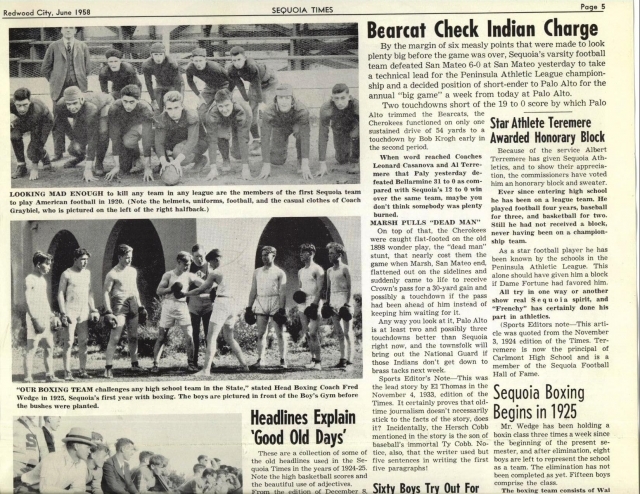 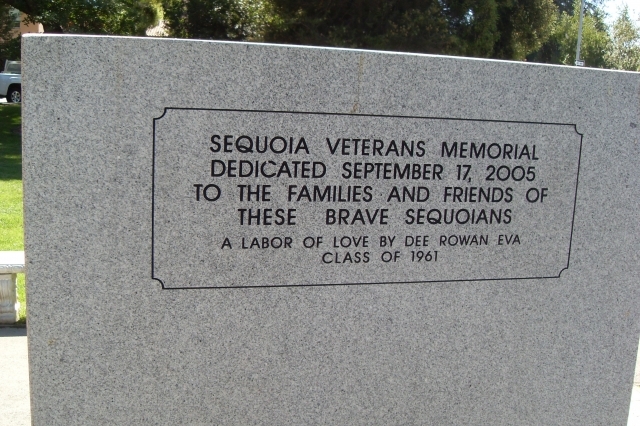 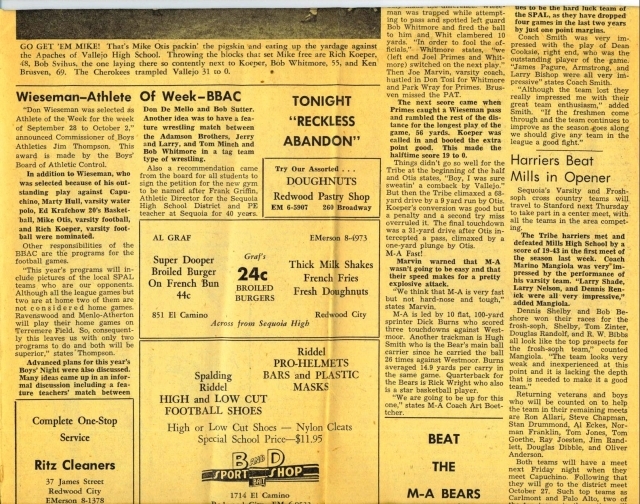 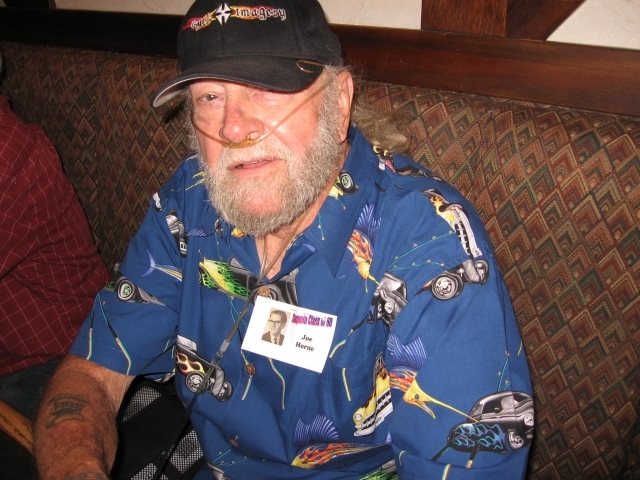 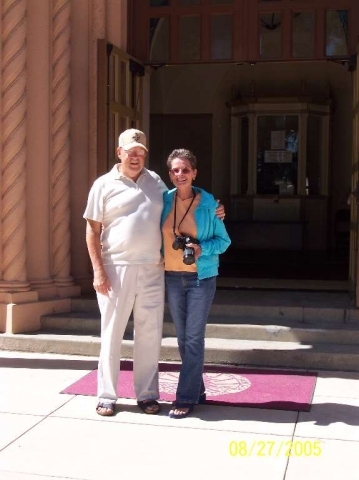 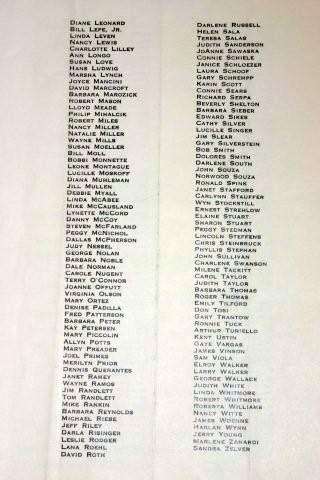 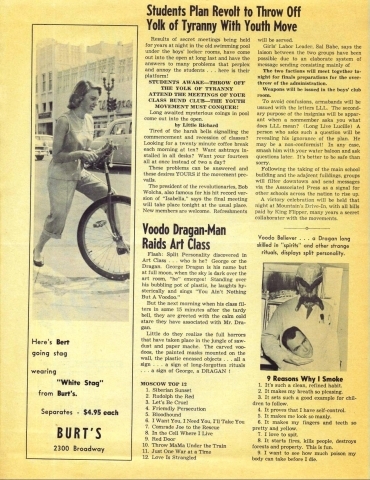 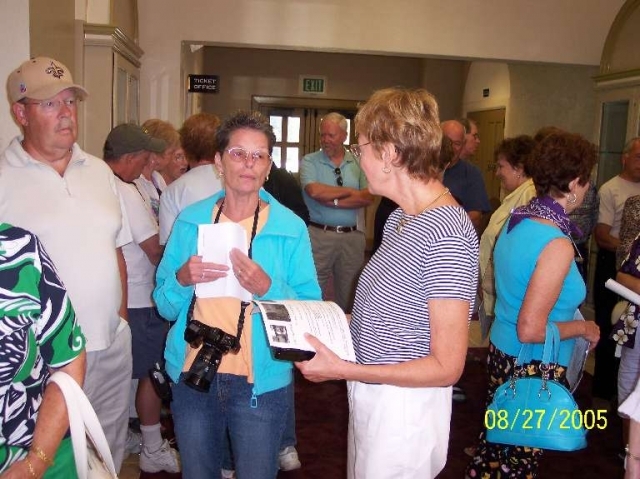 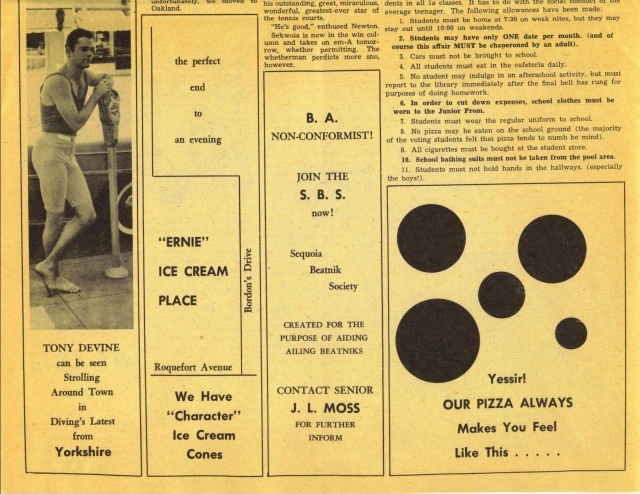 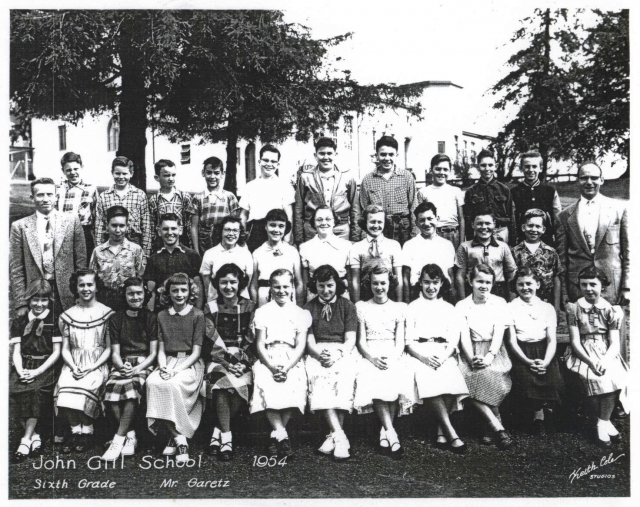 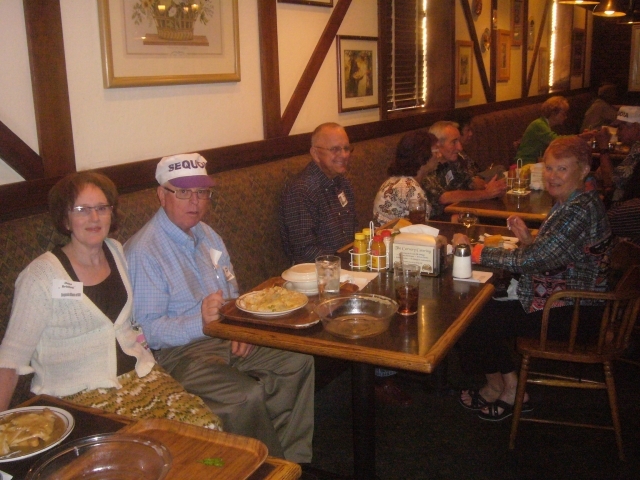 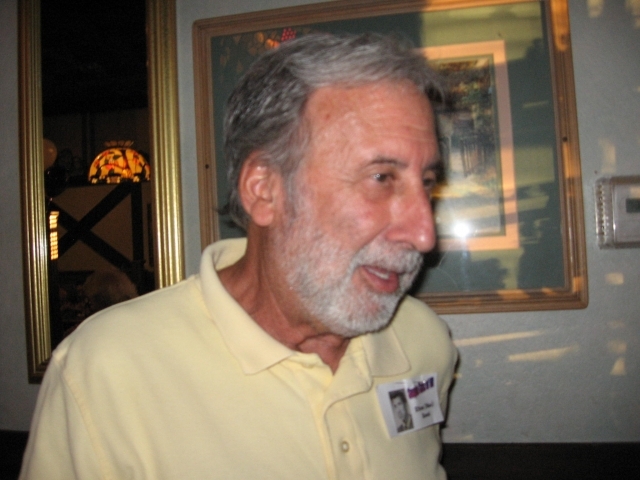 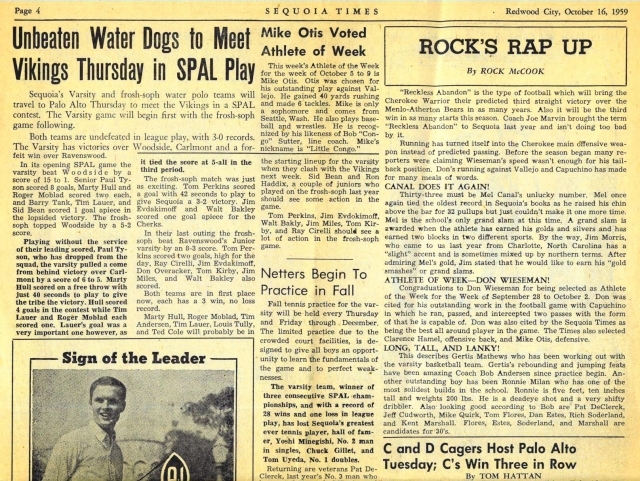 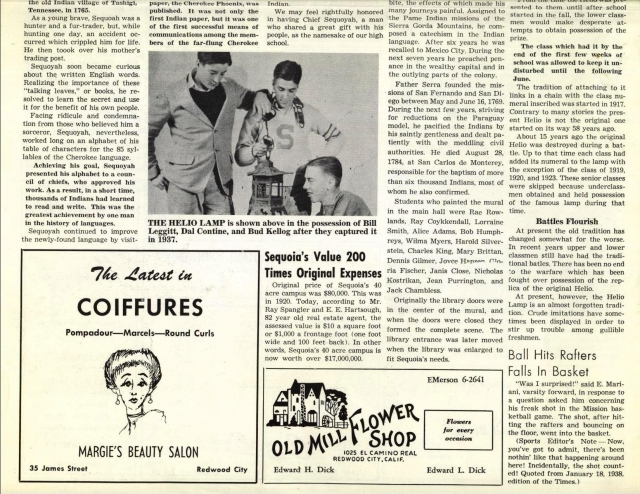 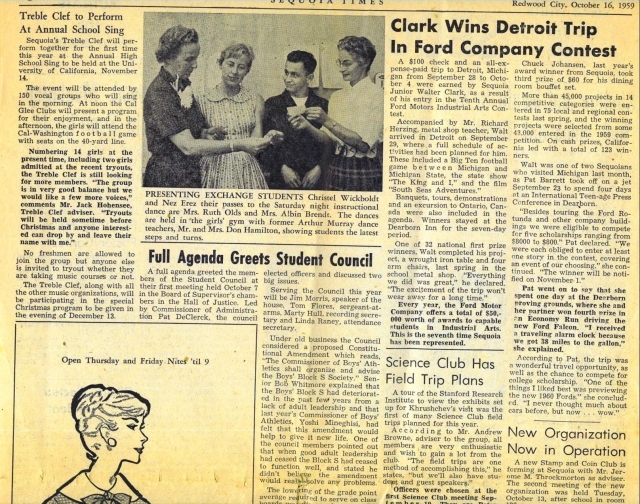 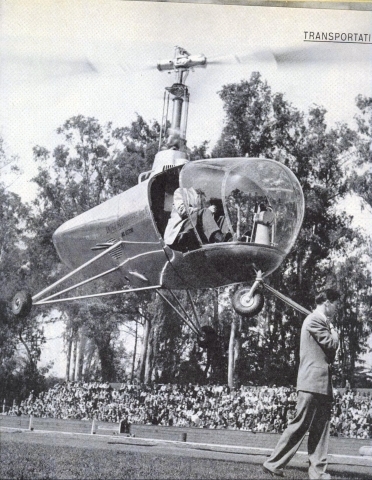 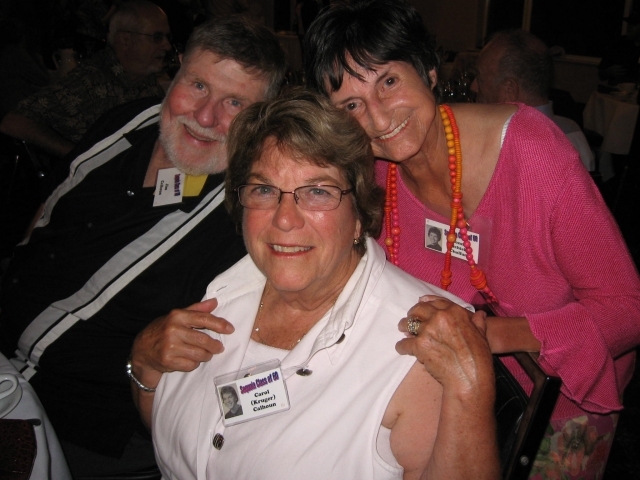 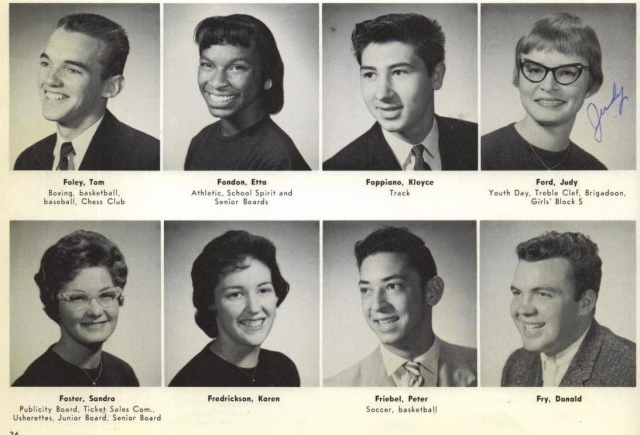 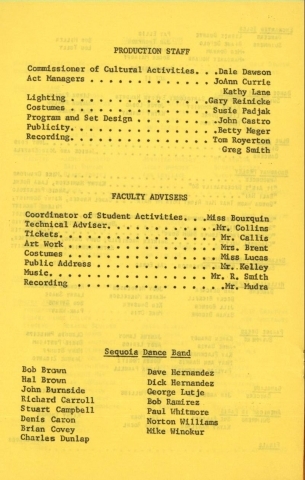 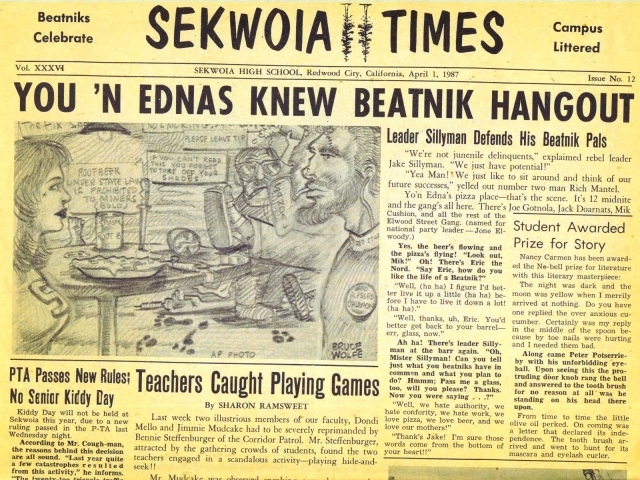 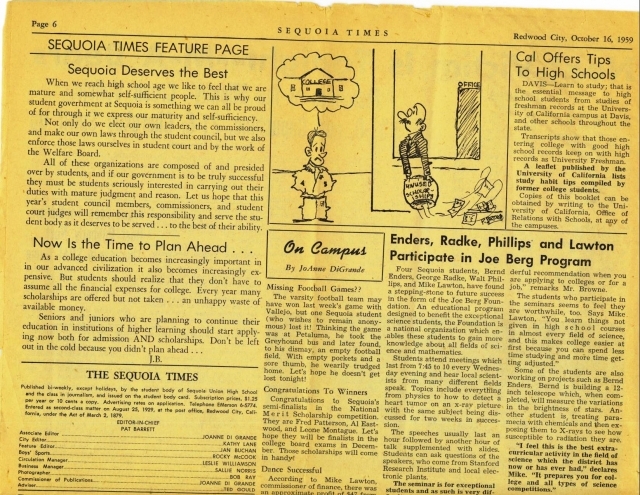 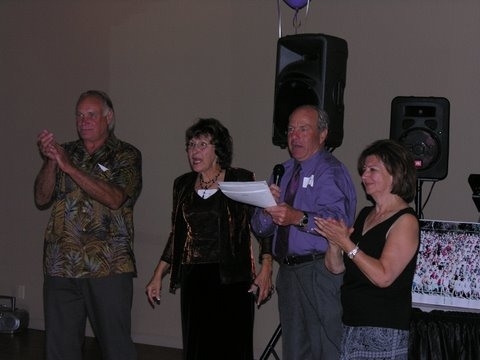 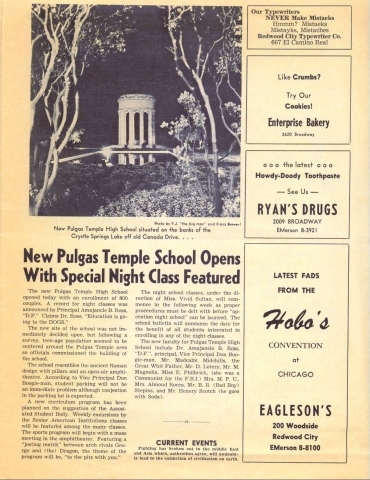 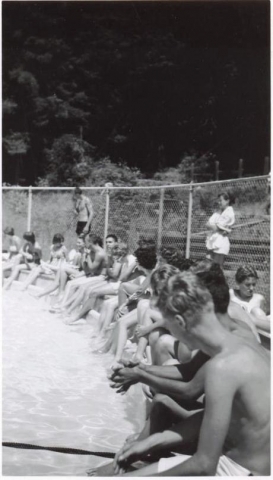 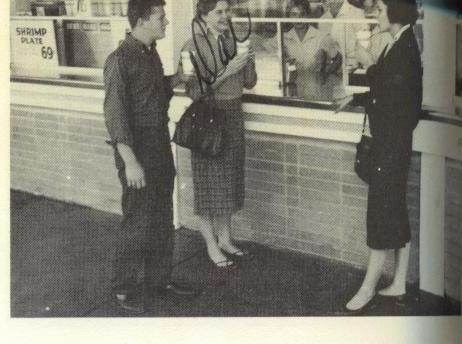 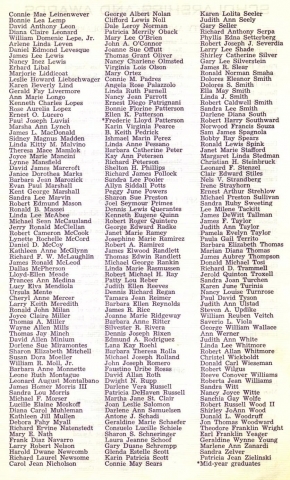 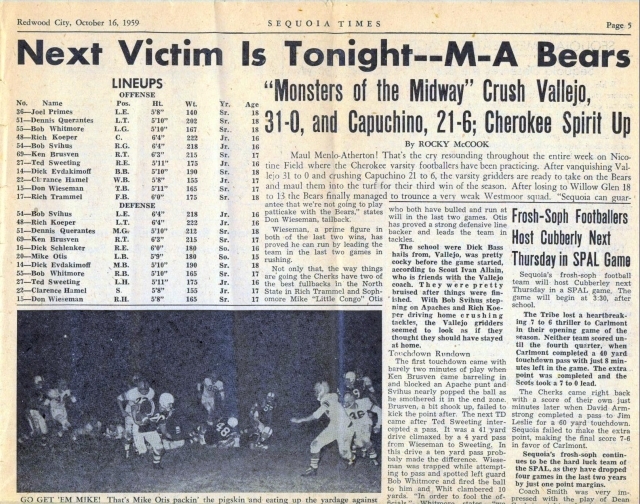 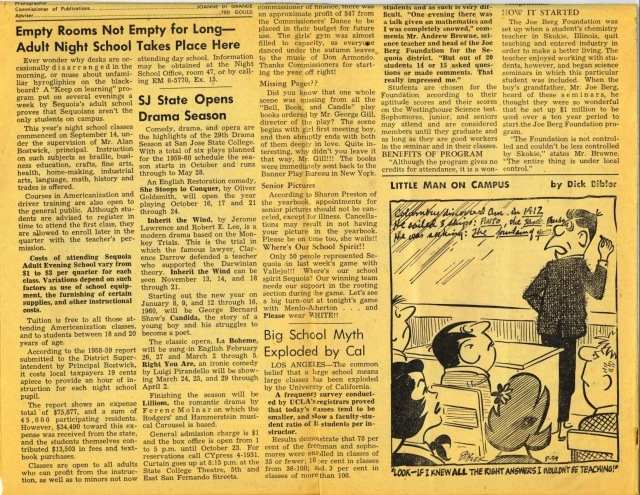 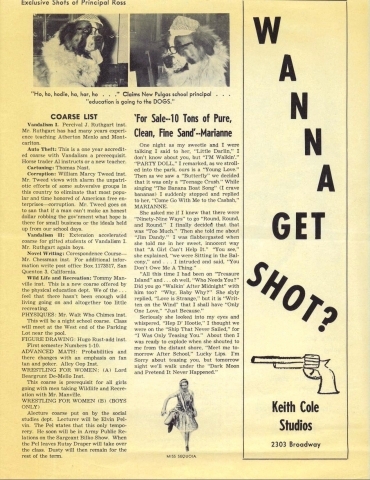 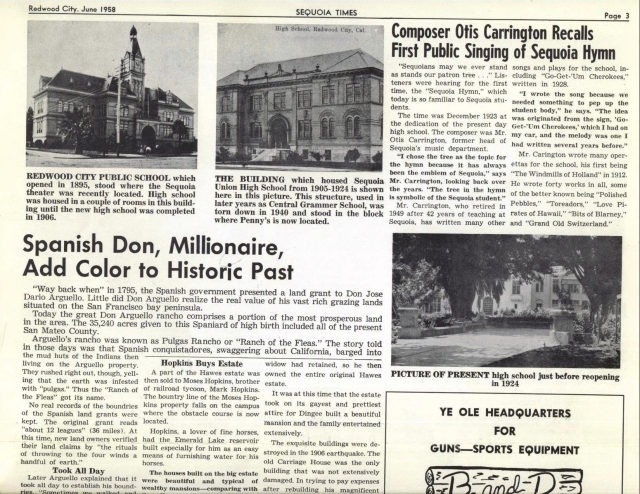 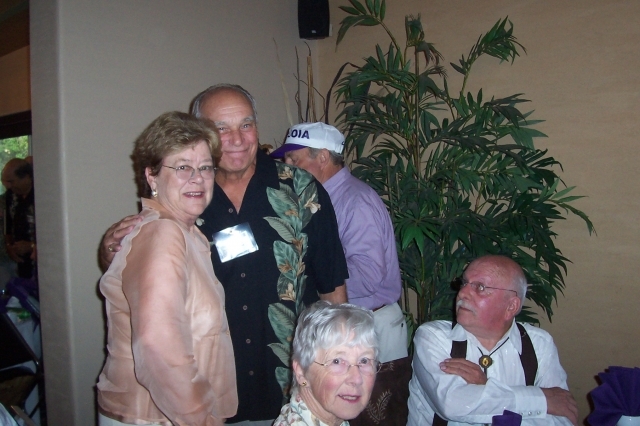 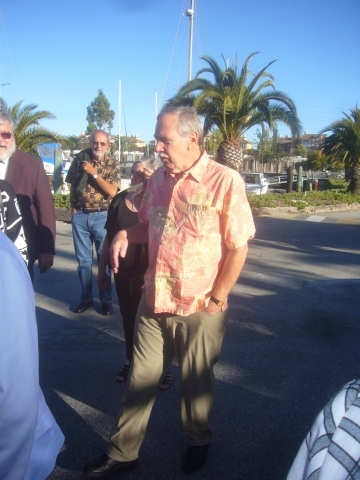 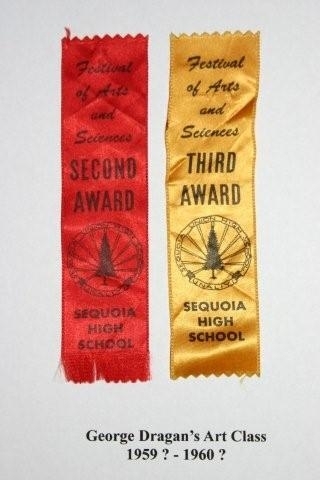 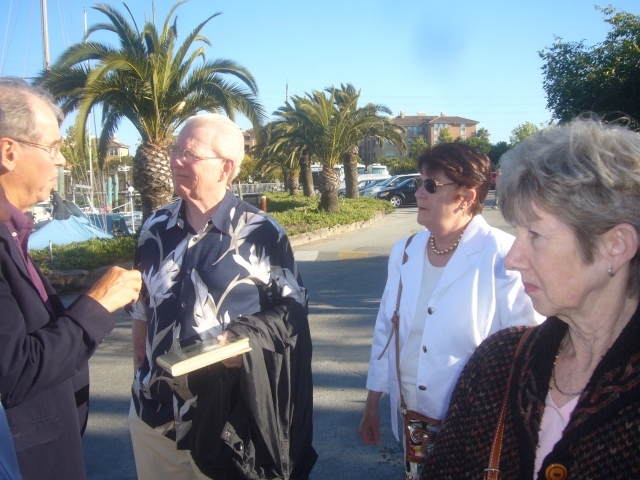 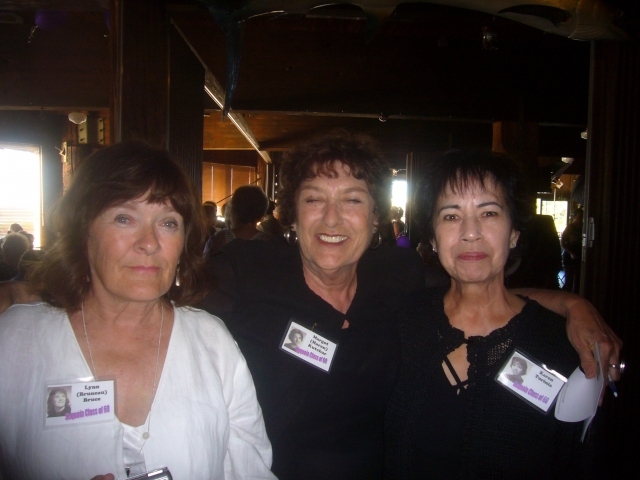 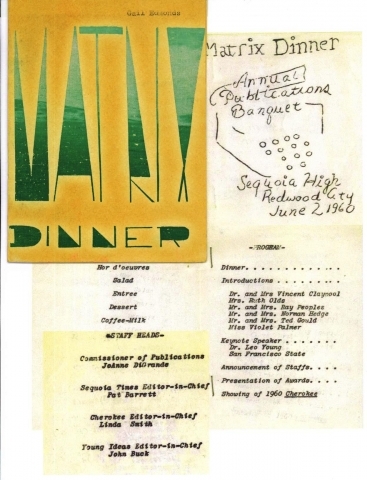 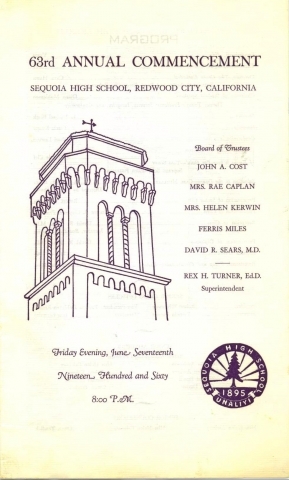 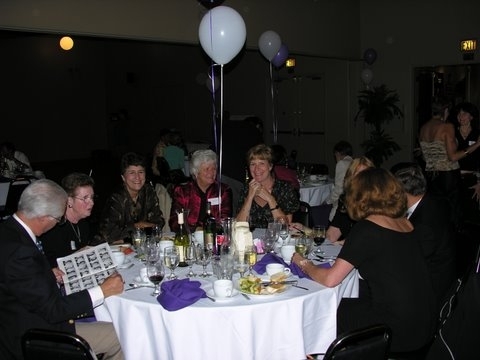 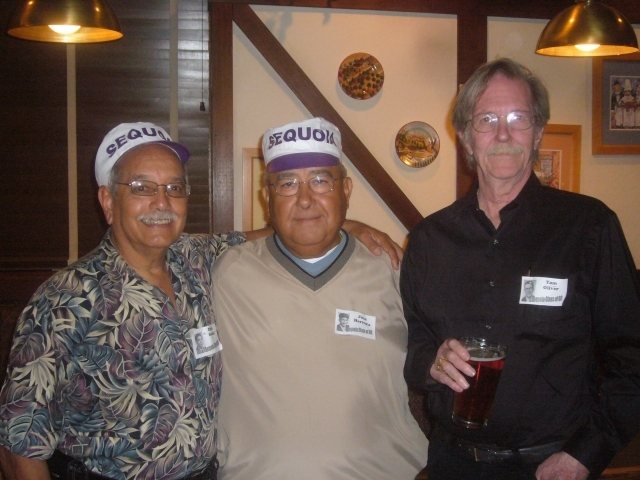 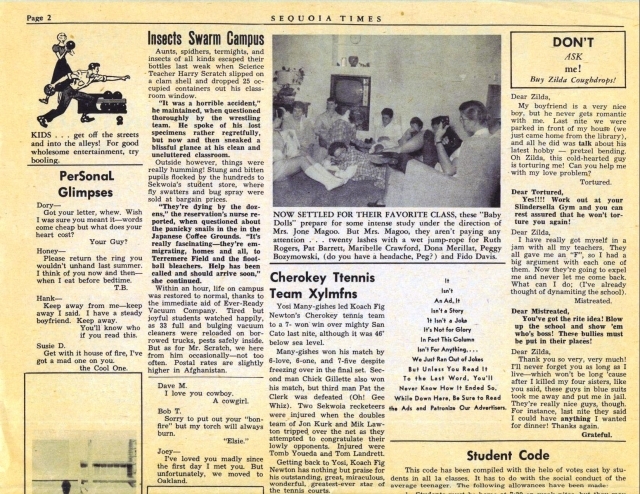 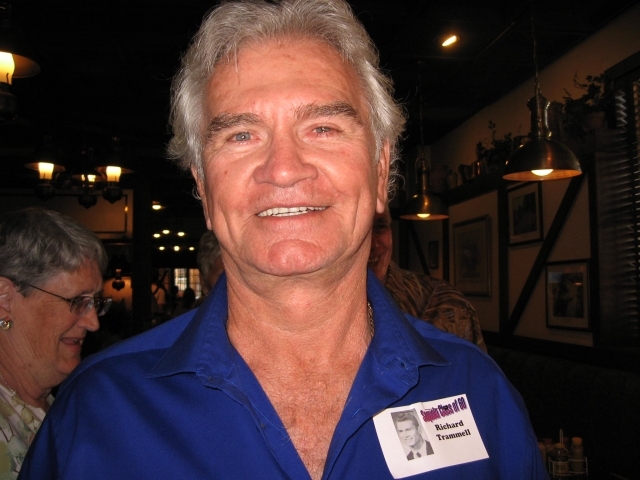 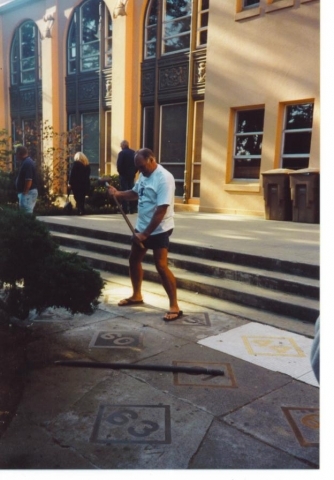 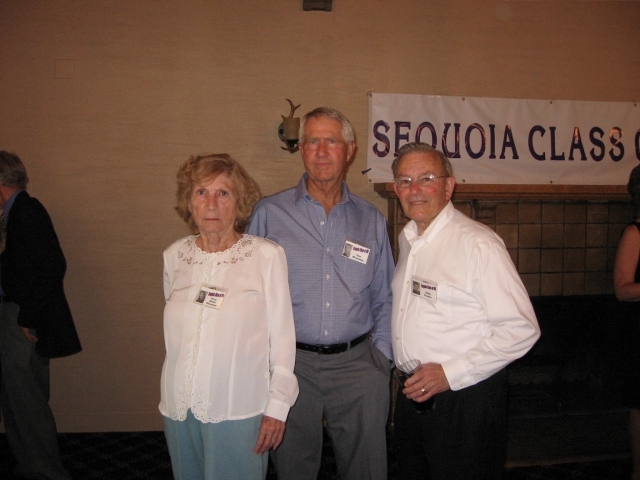 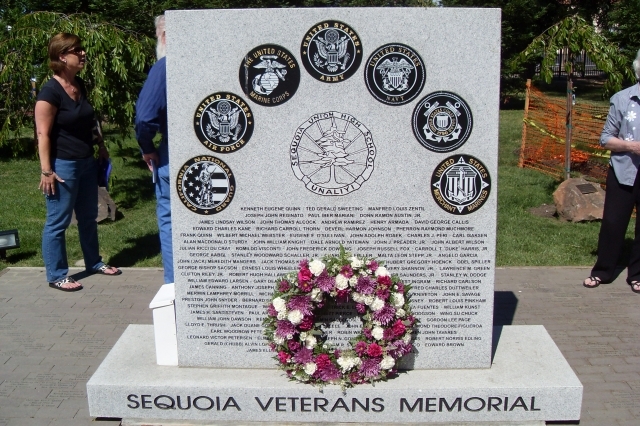 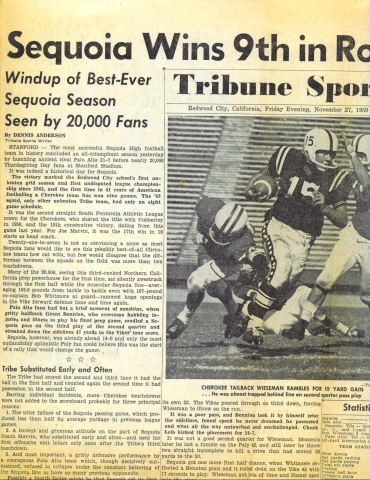 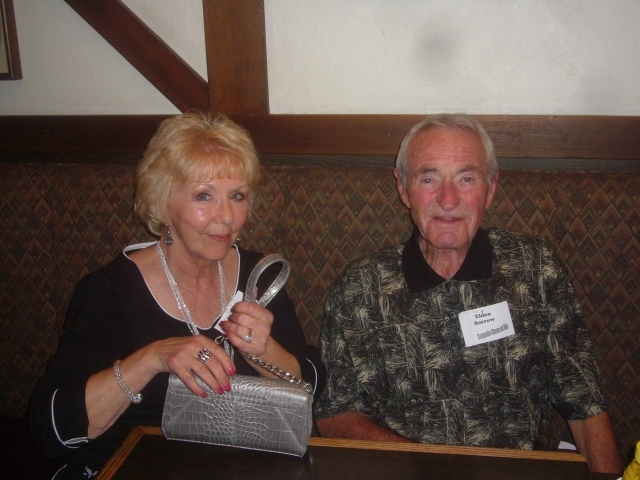 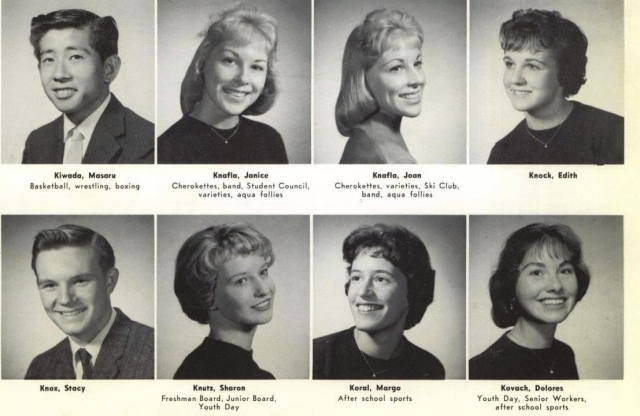 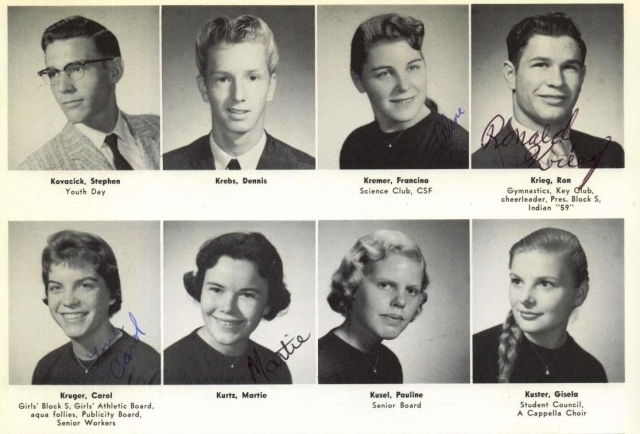 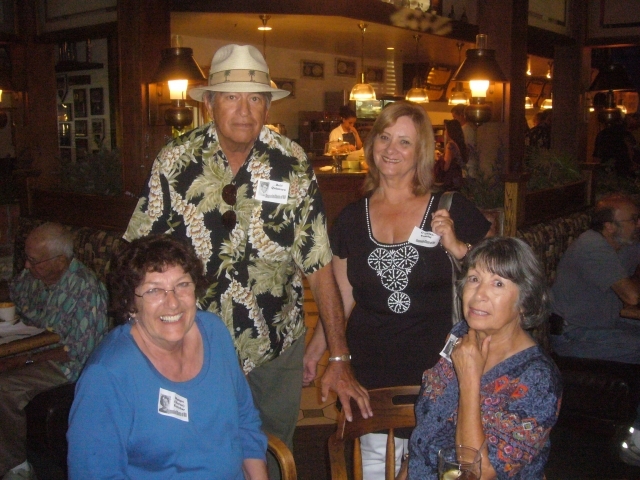 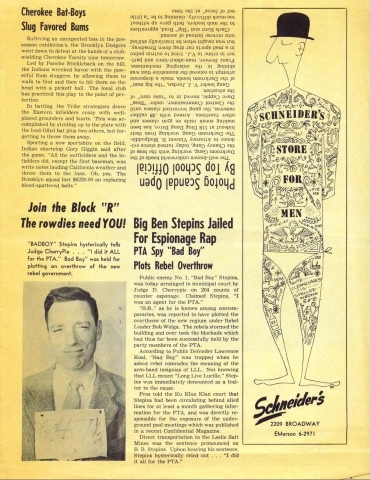 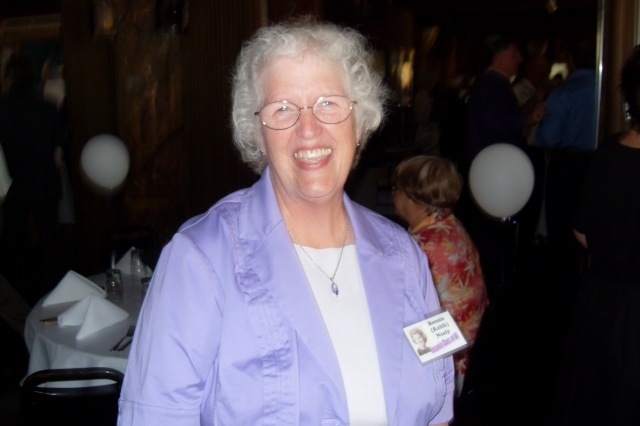 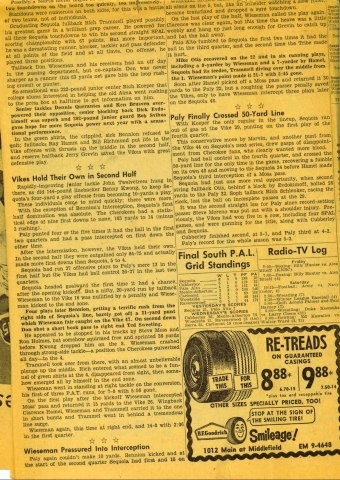 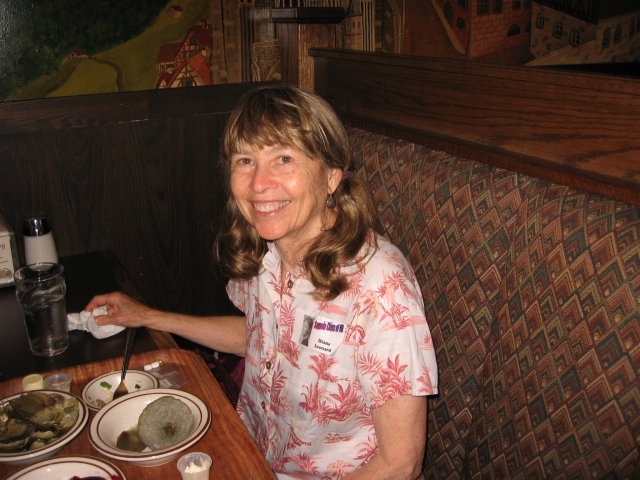 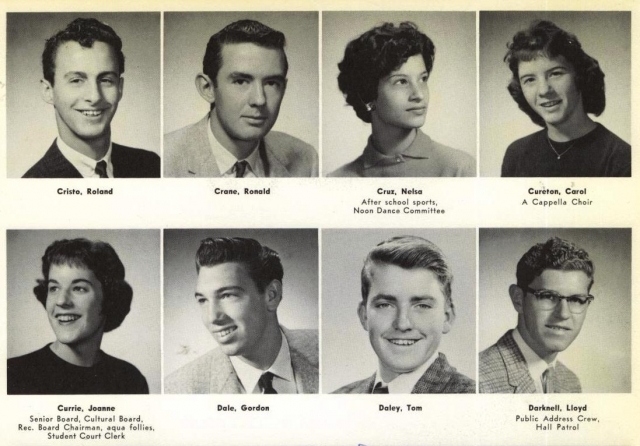 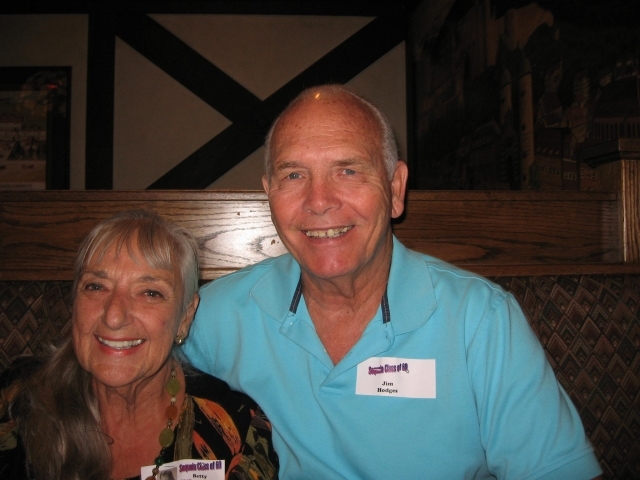 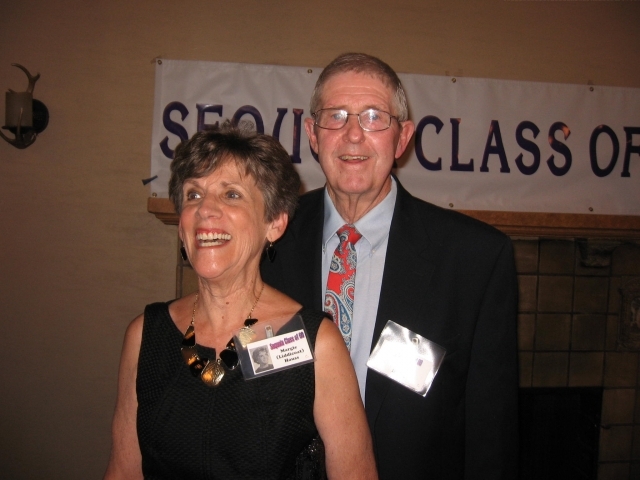 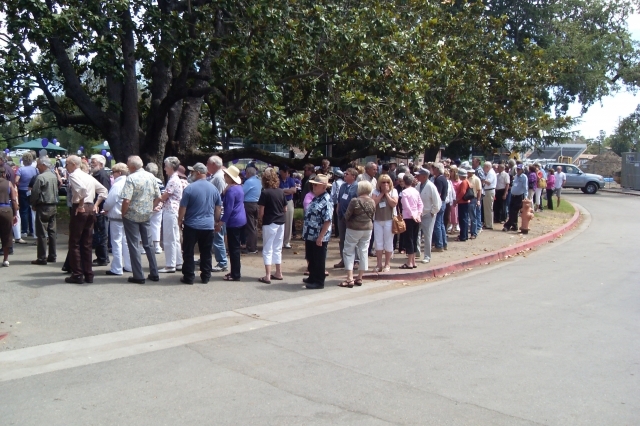 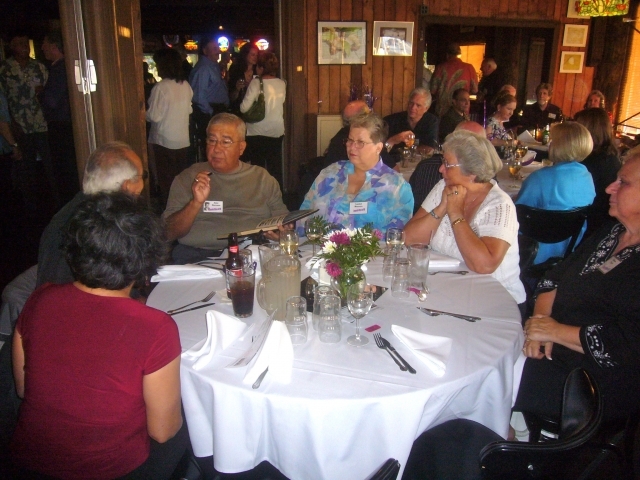 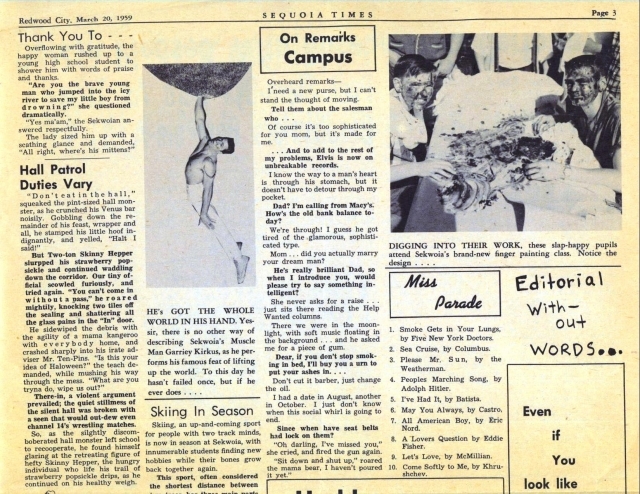 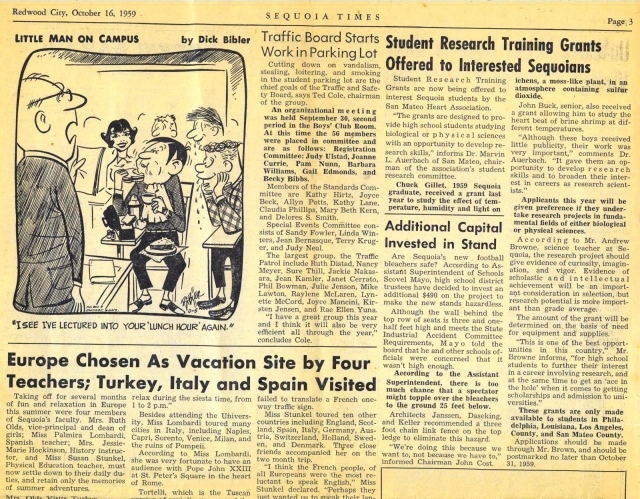 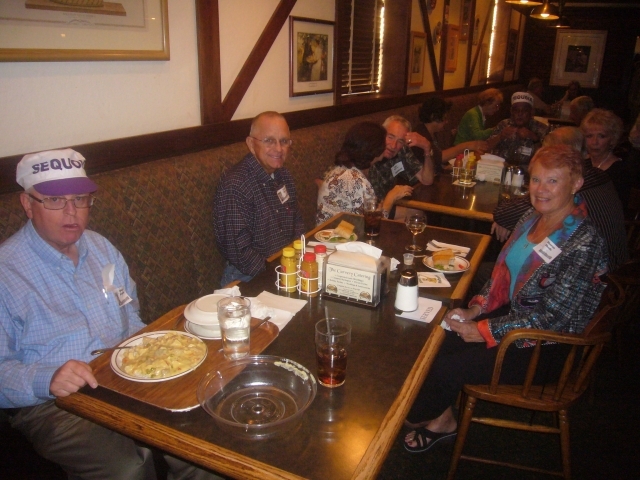 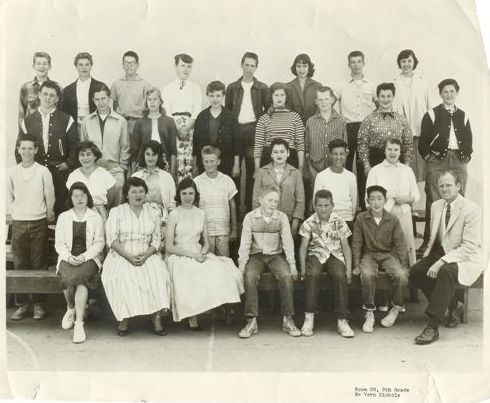 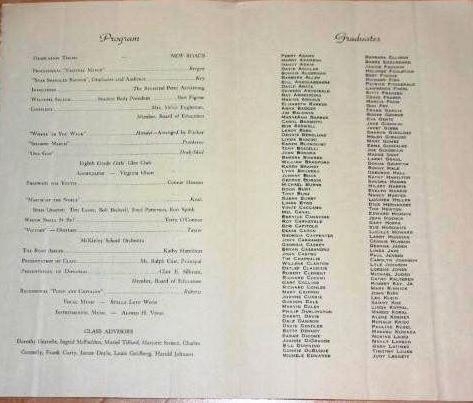 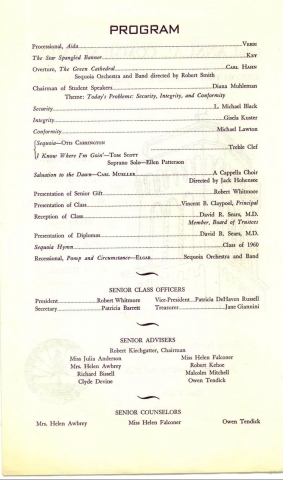 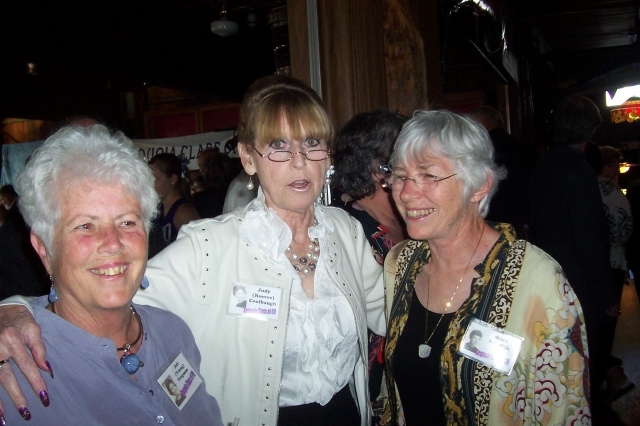 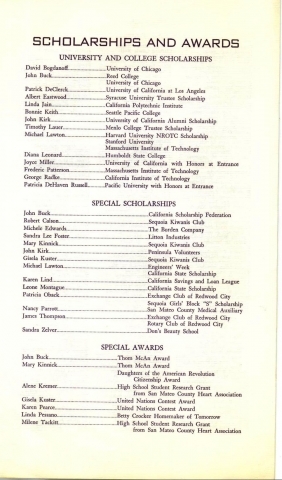 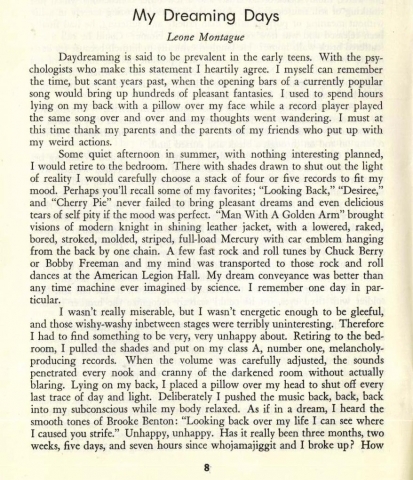 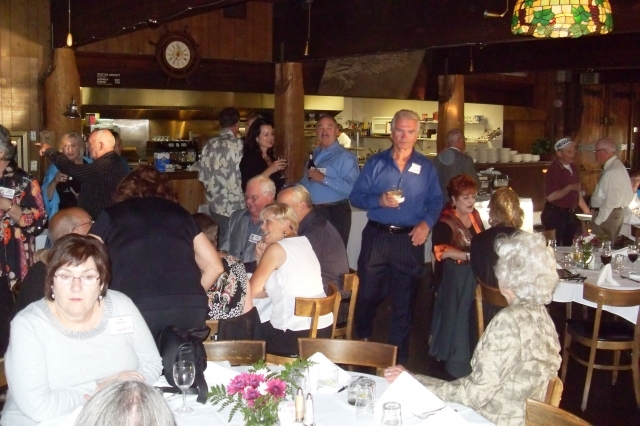 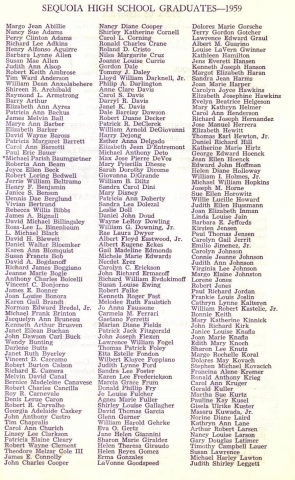 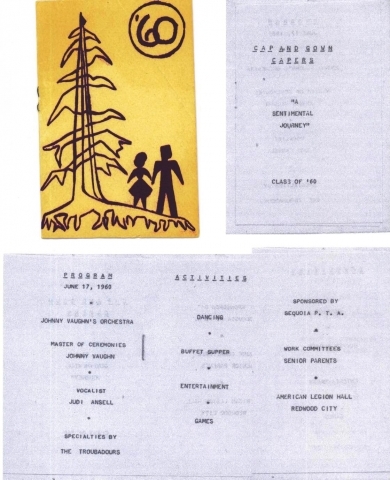 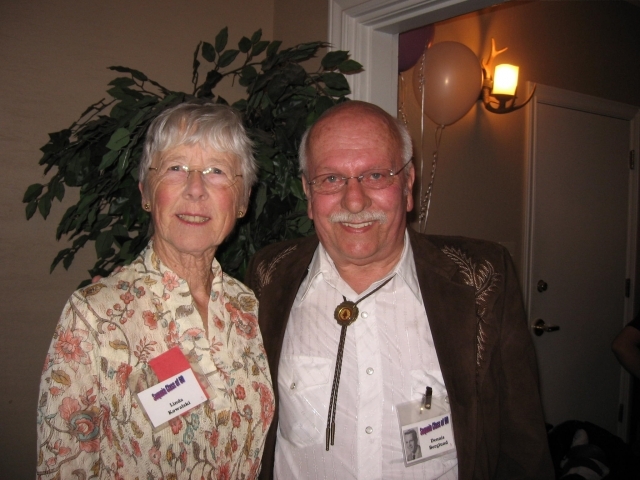 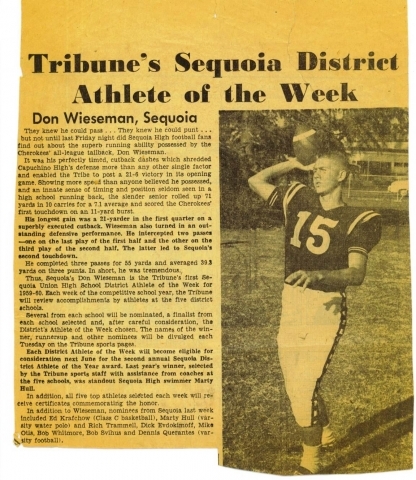 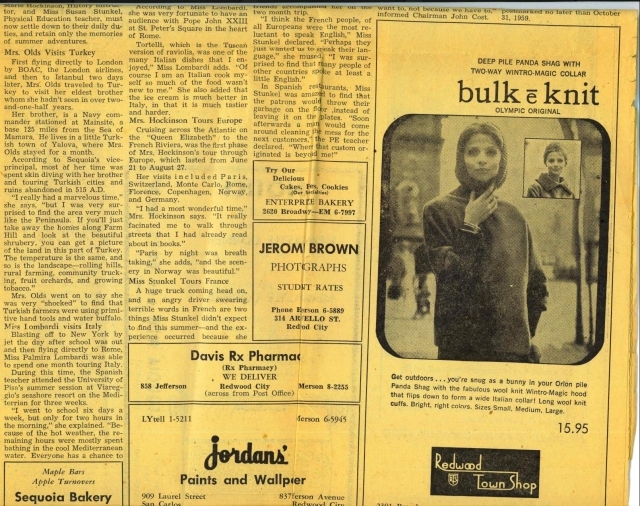 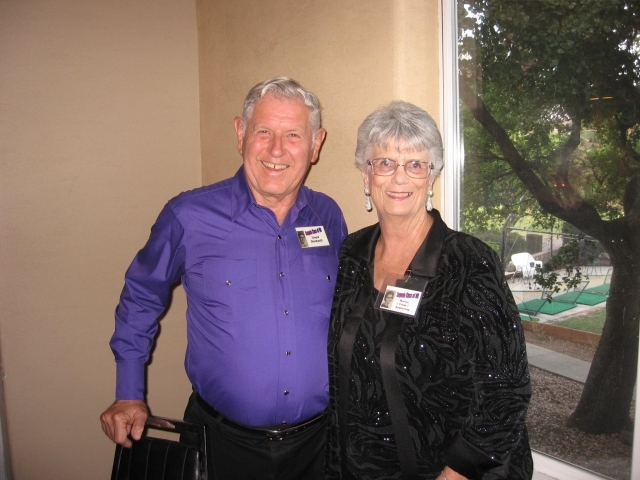 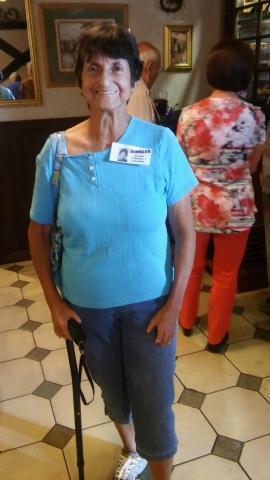 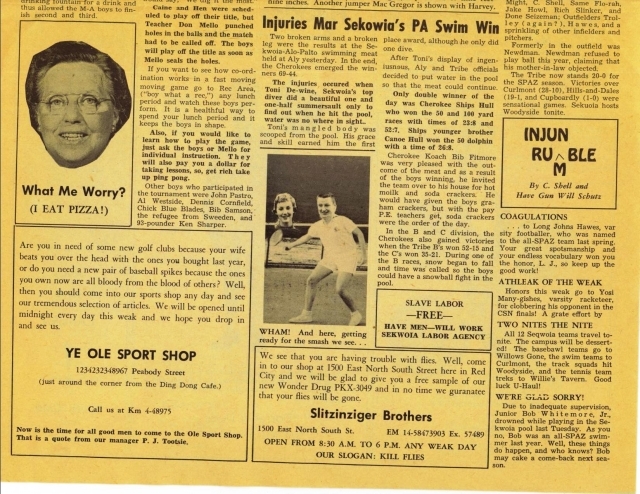 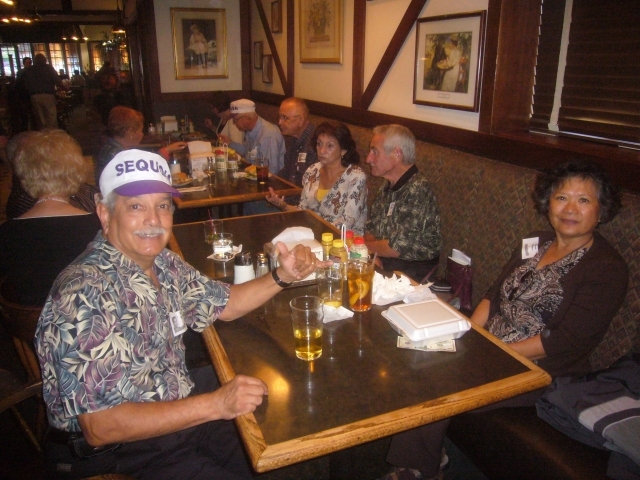 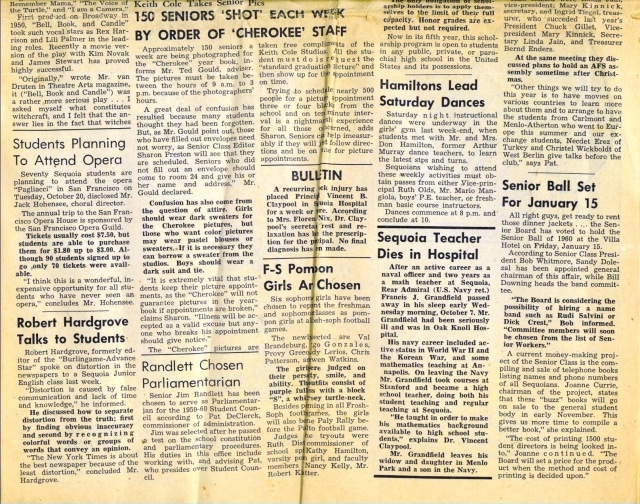 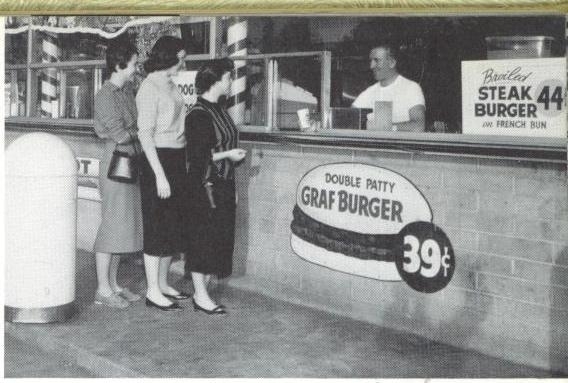 Every single person who was part of the Sequoia Class of 1960 is part of the "popular crowd" now. 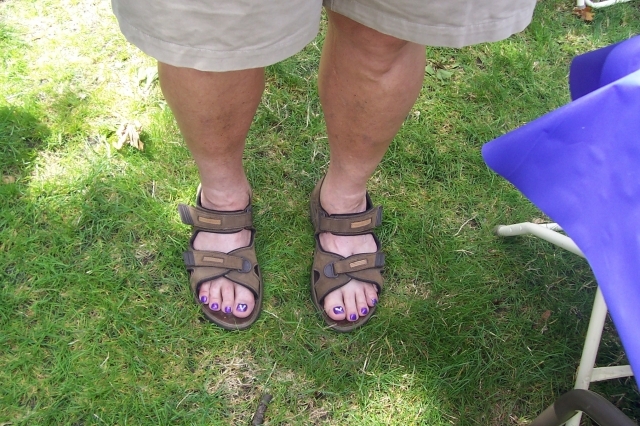 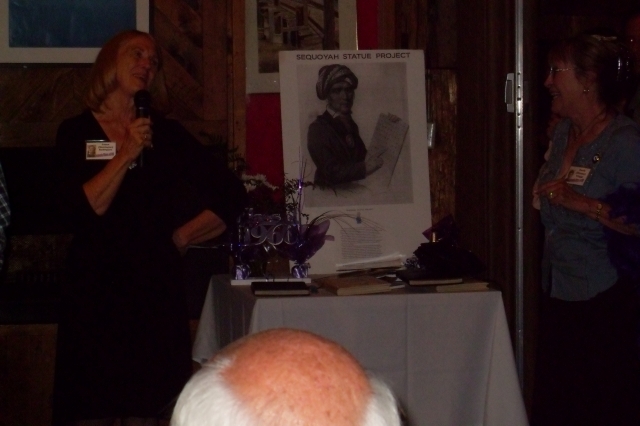 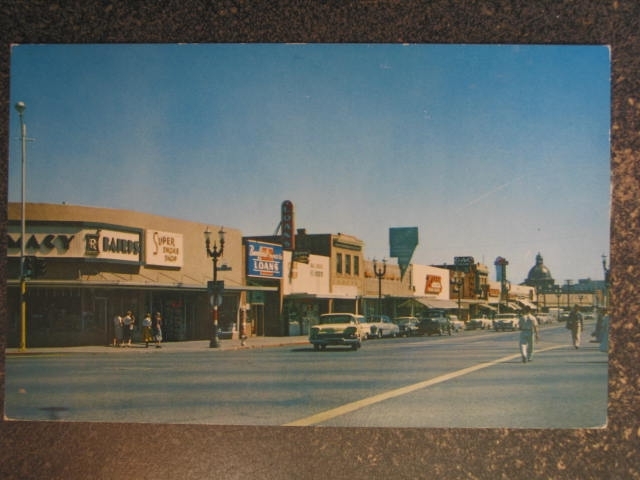 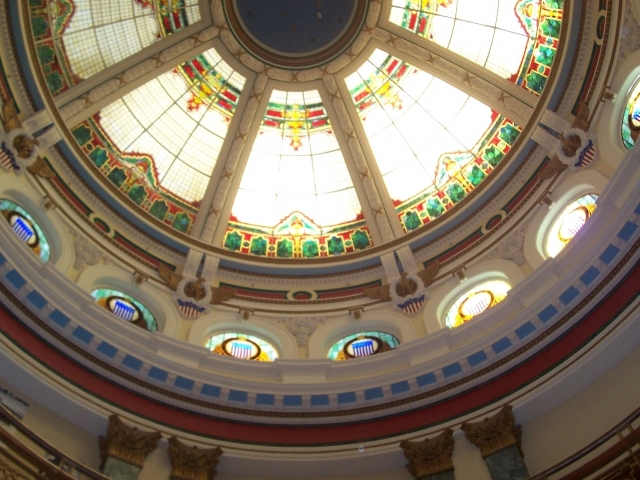 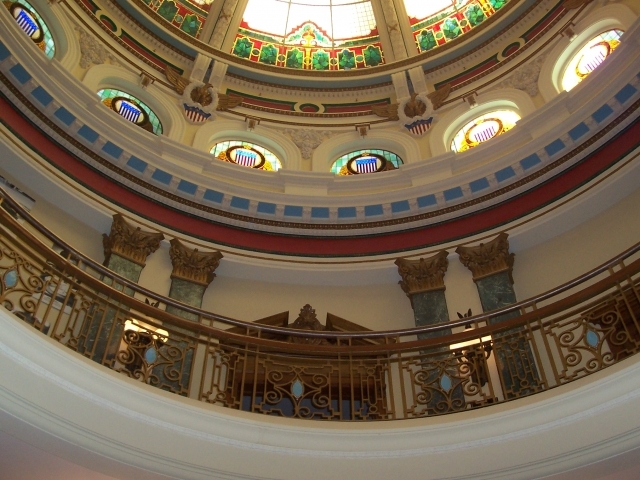 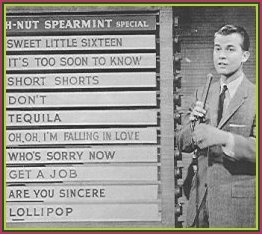 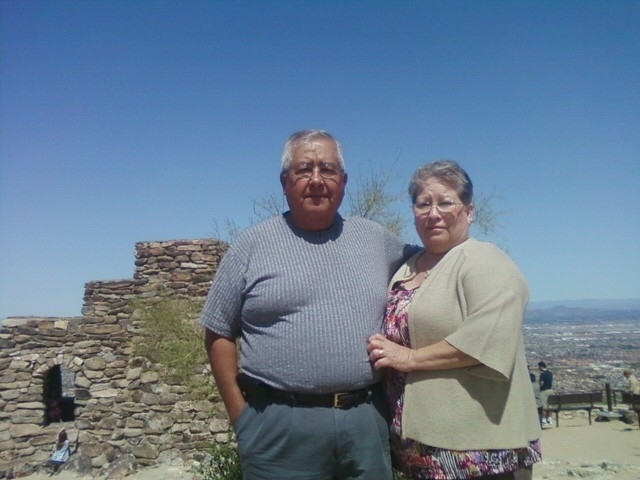 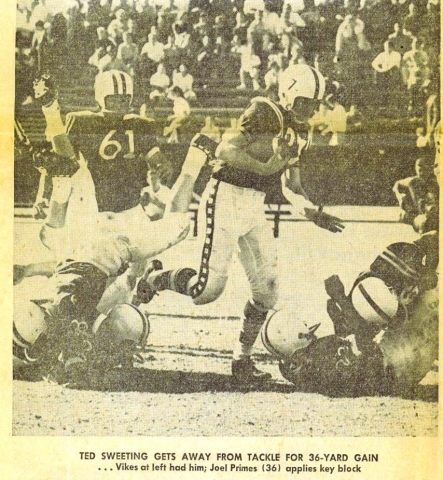 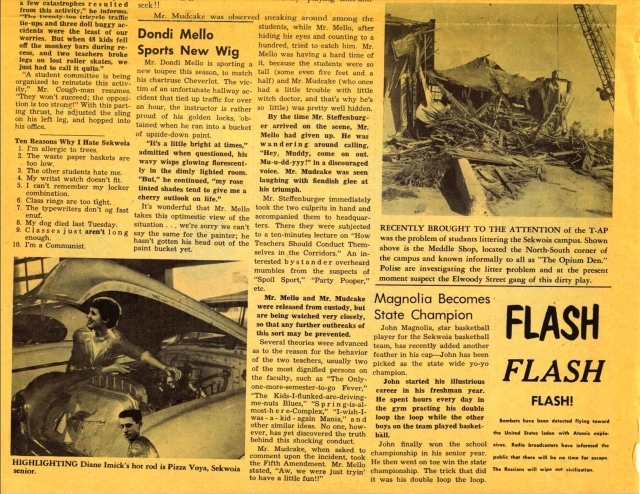 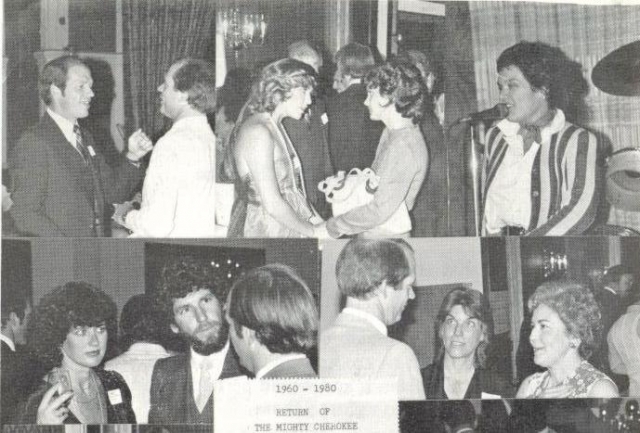 These are ome of the photos - I am hoping folks will send me more. 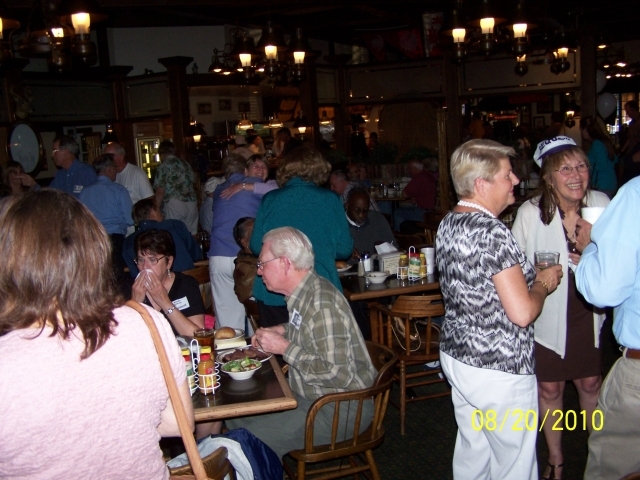 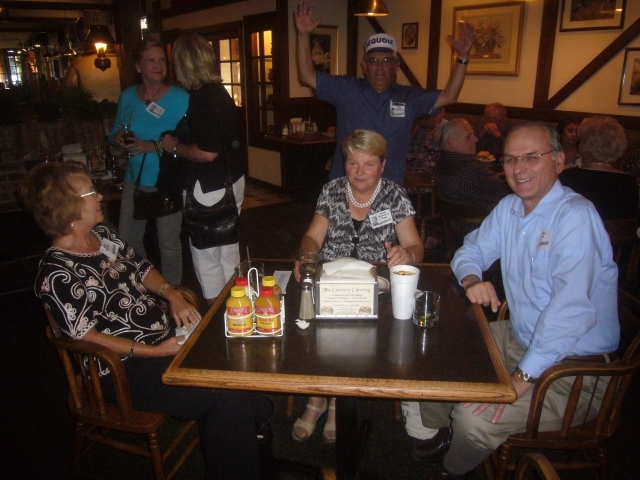 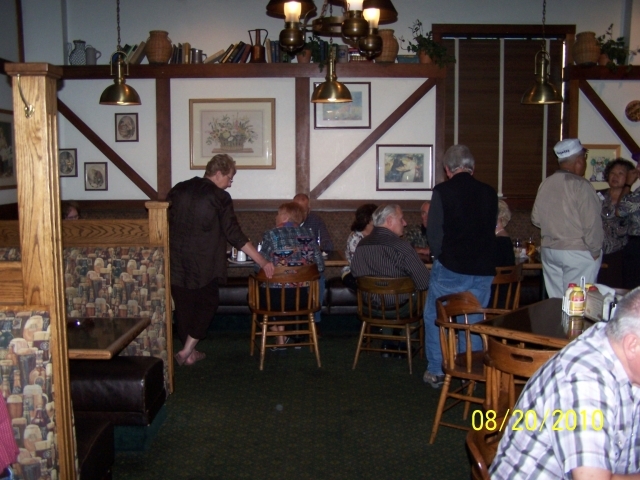 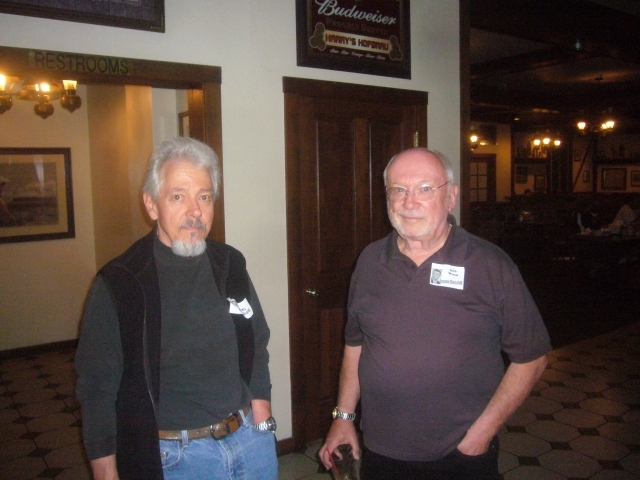 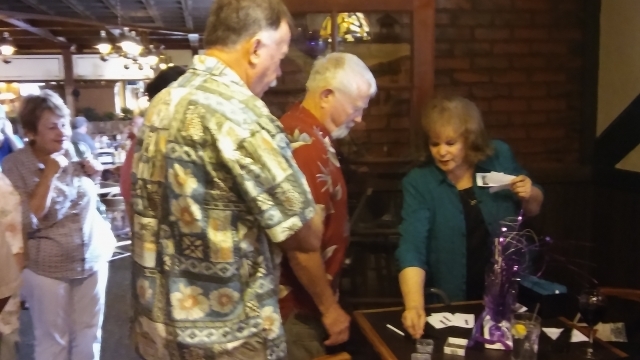 We started out Friday night at Harry's Hofbrau. 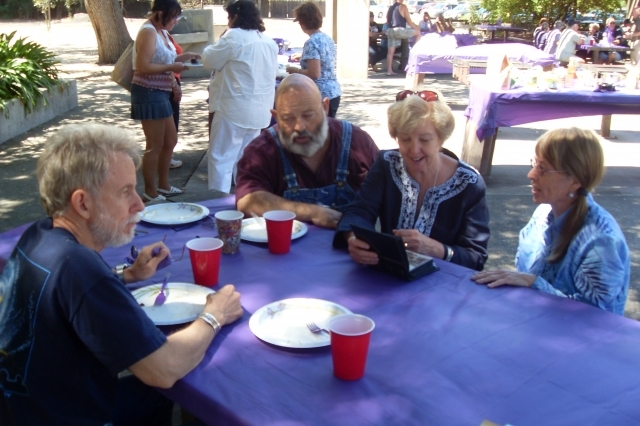 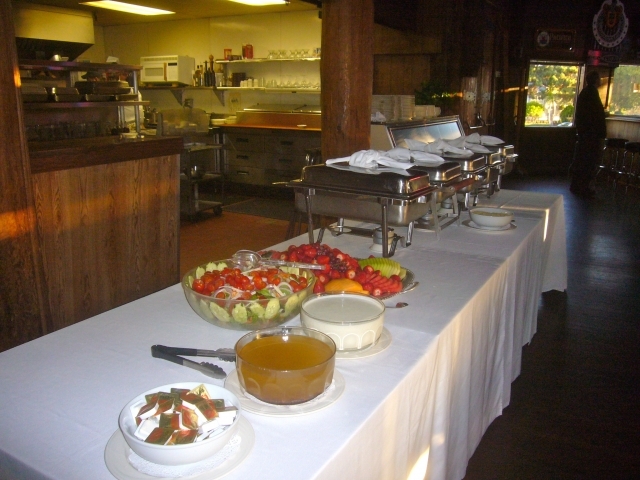 Some ate, some just chatted. 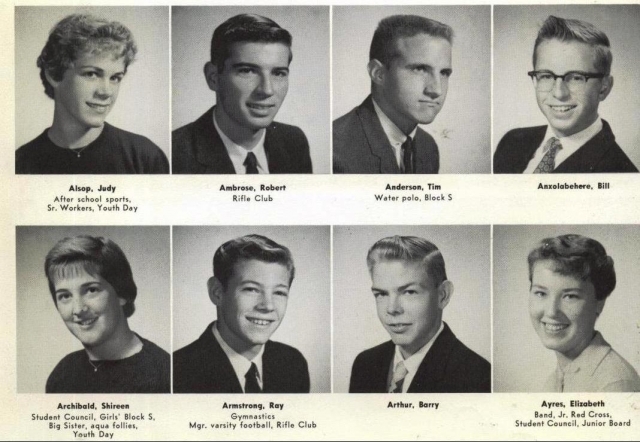 Everyone laughed and smiled. 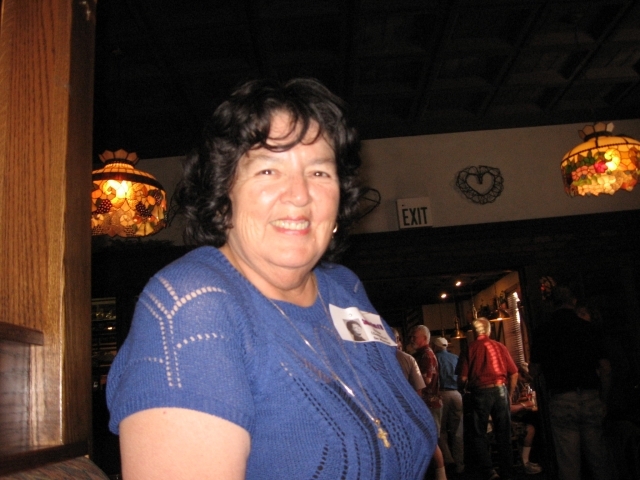 Our special guest was Mrs. Quinn,the mother of our Vietnam Vet Ken Quinn who died in 1967. 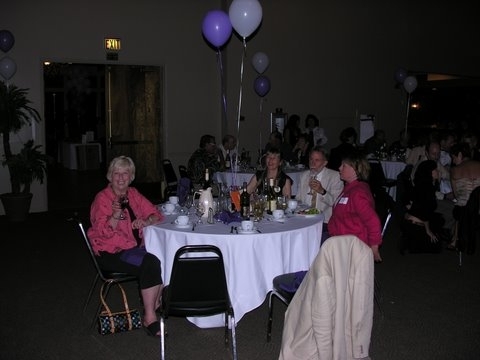 Saturday night was the Big event. 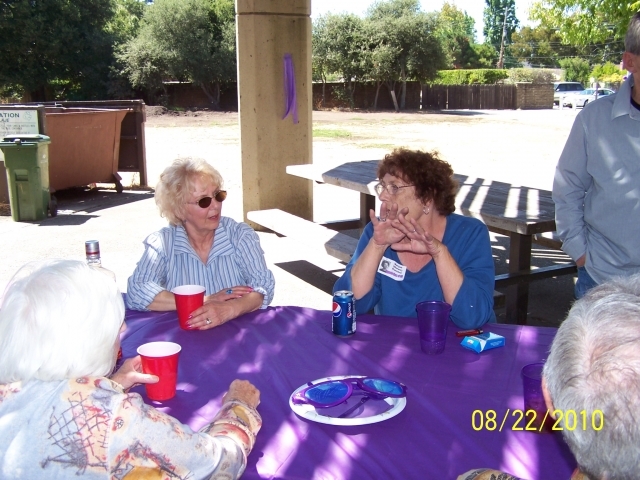 We started chatting in the parking lot and continued straight through until the very last minute. 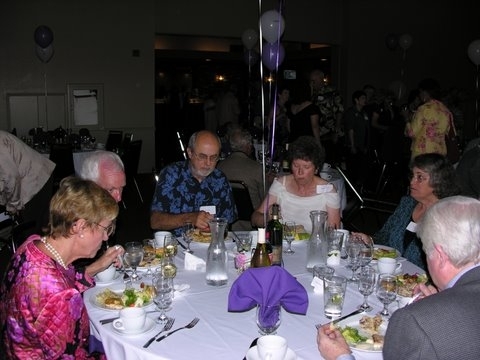 What a wonderful bunch of good people! 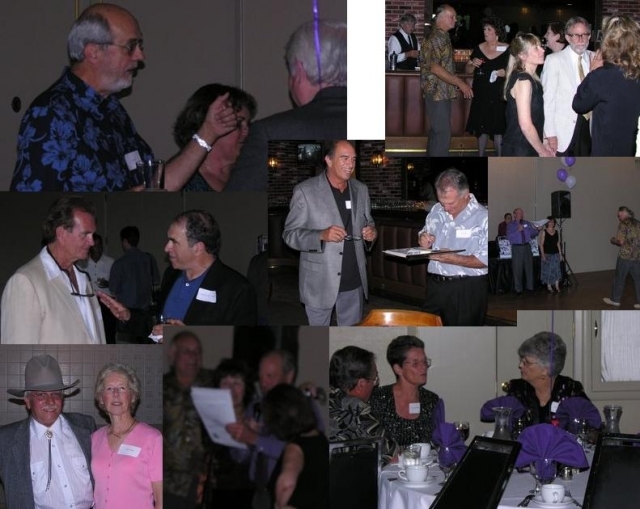 If you see a mislabeled picture, or if you recognize someone who is not mentioned, please let us know. 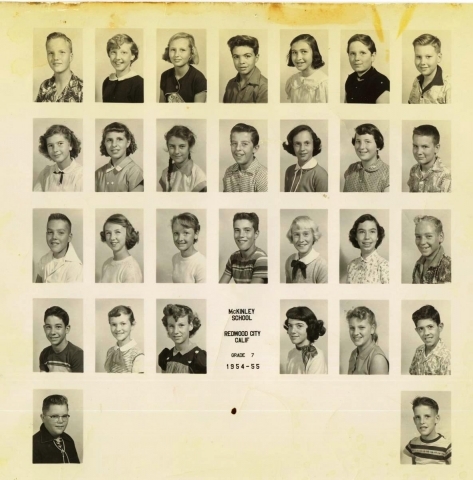 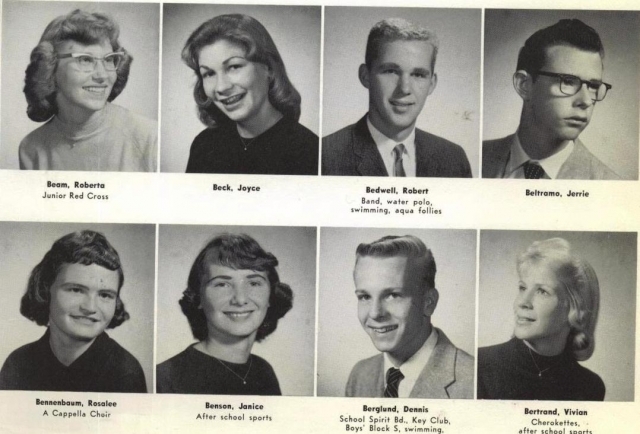 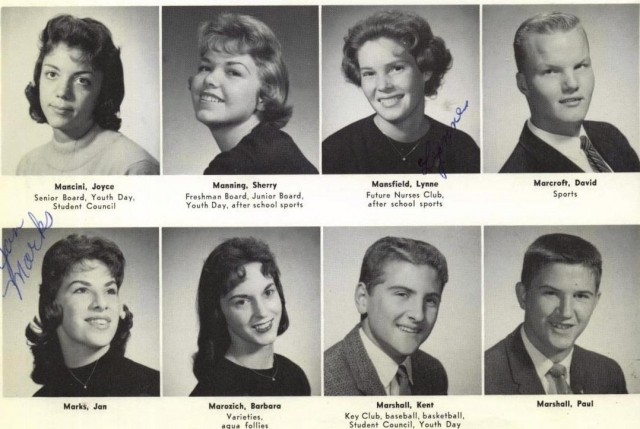 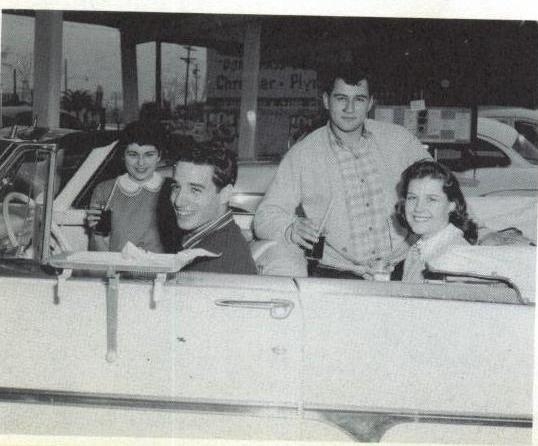 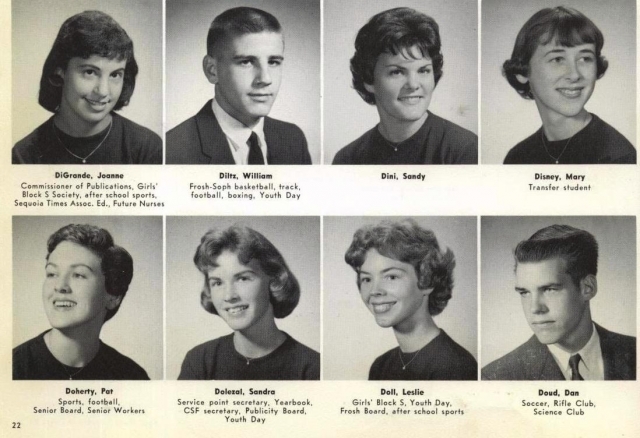 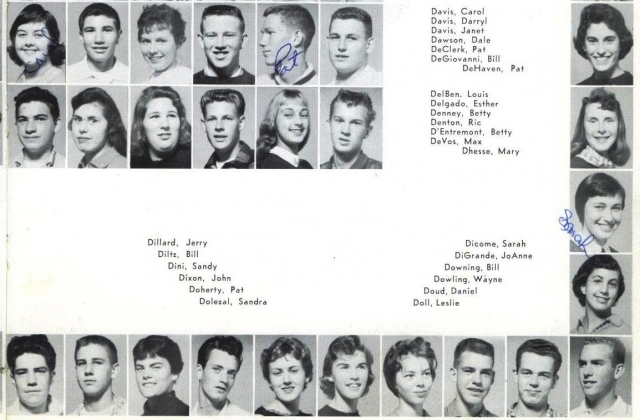 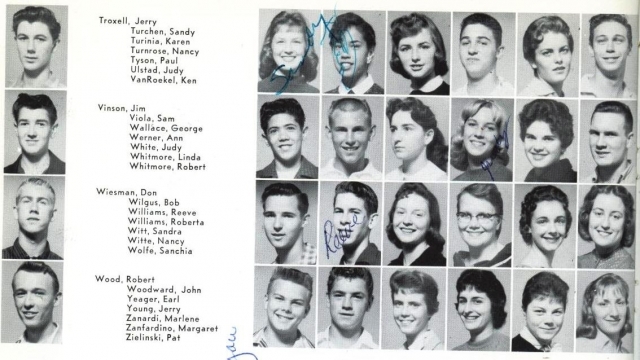 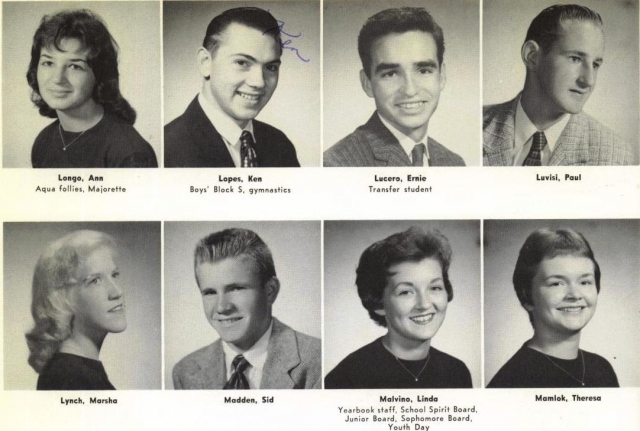 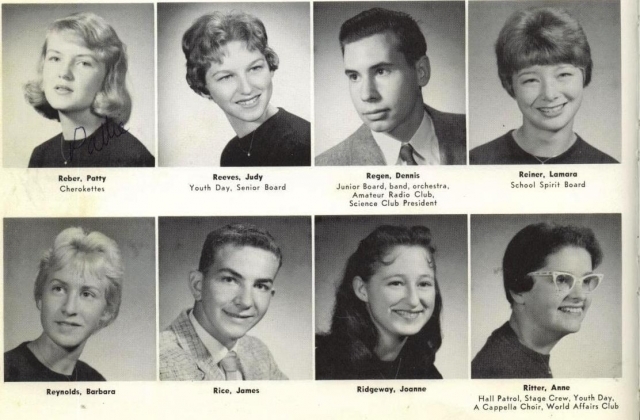 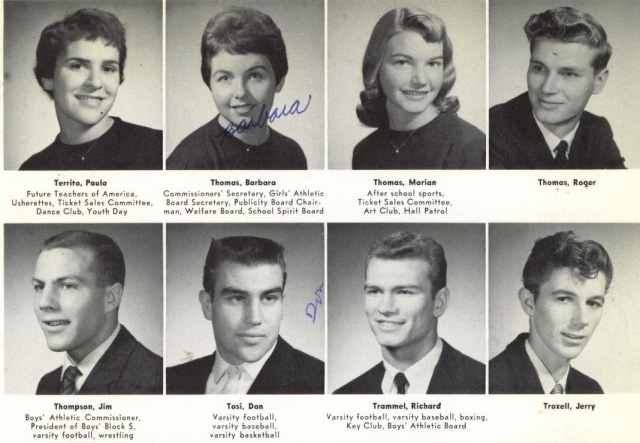 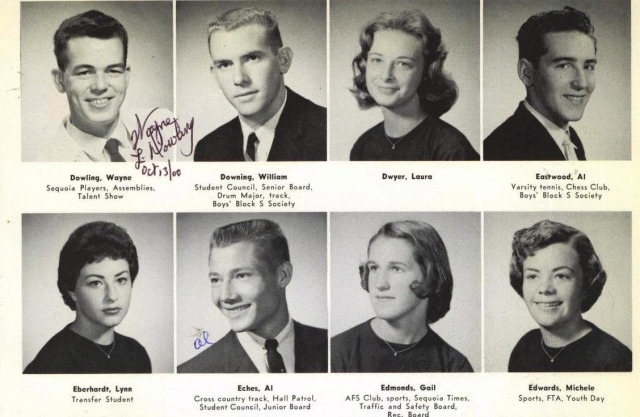 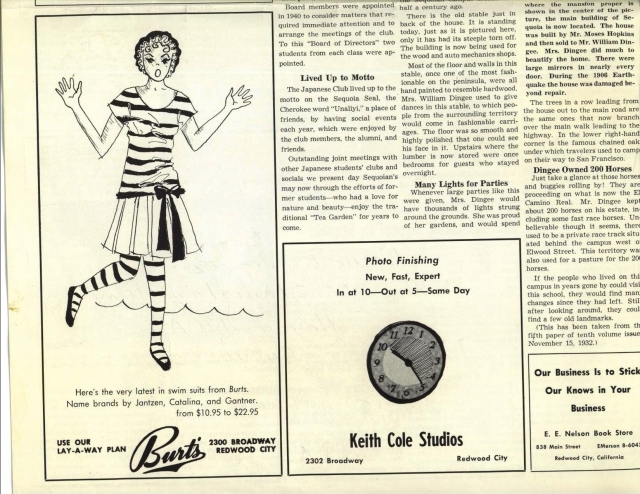 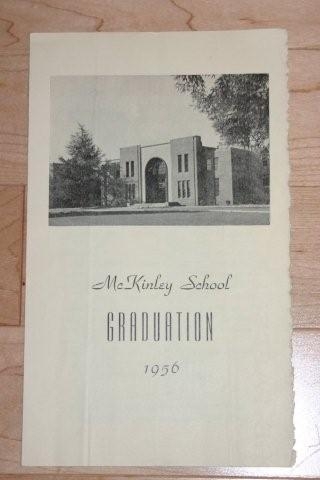 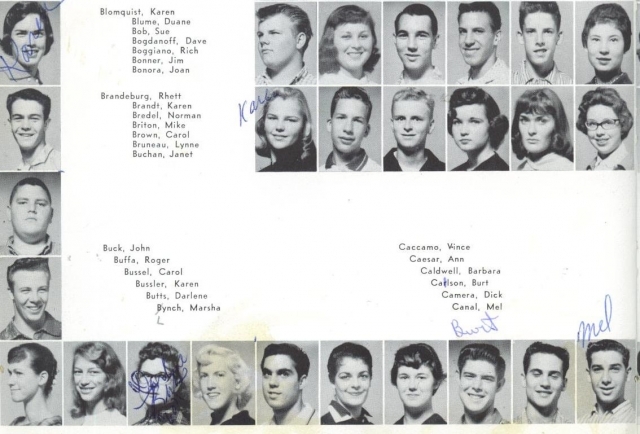 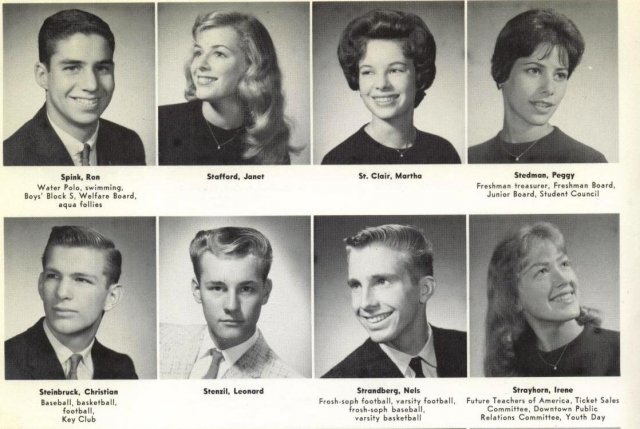 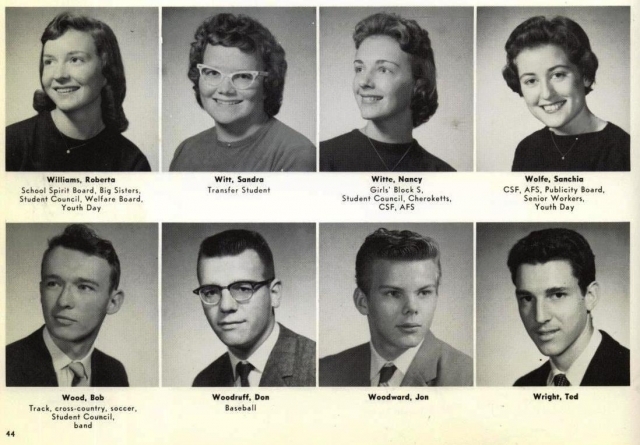 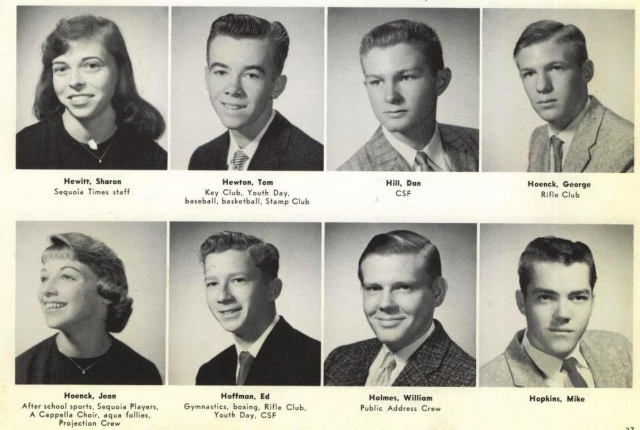 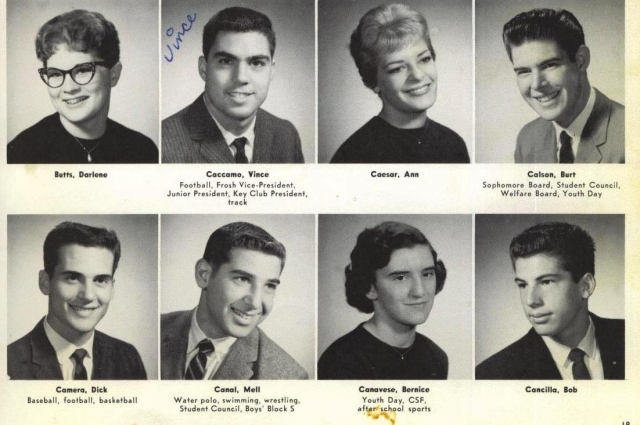 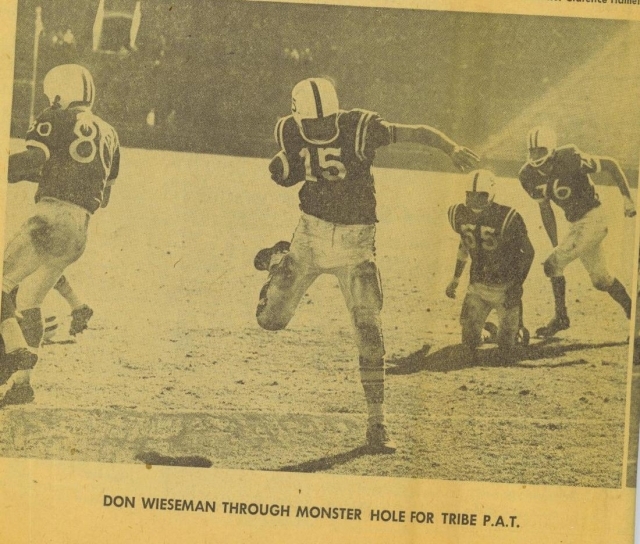 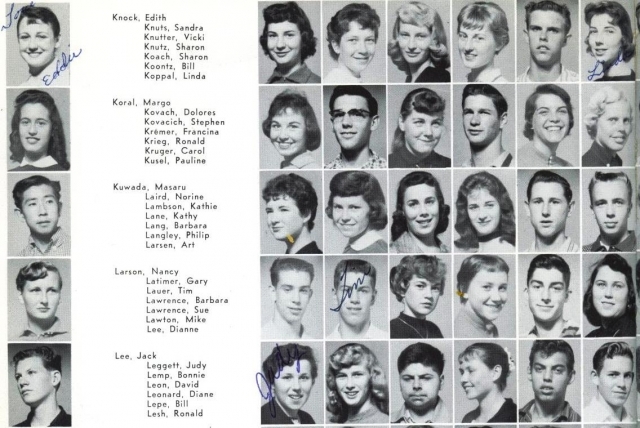 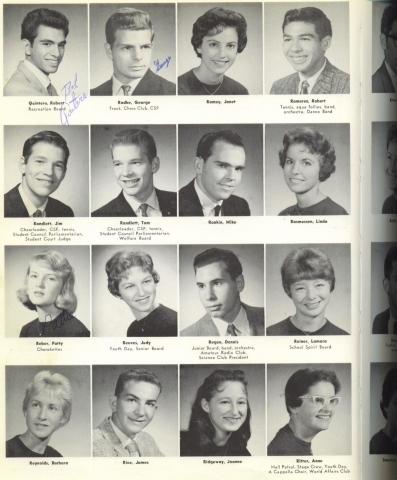 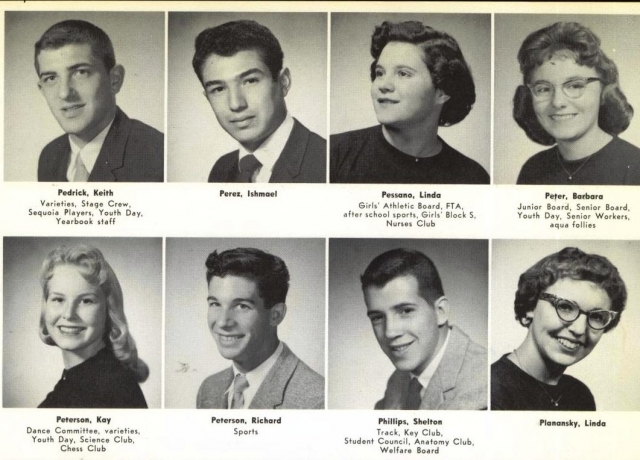 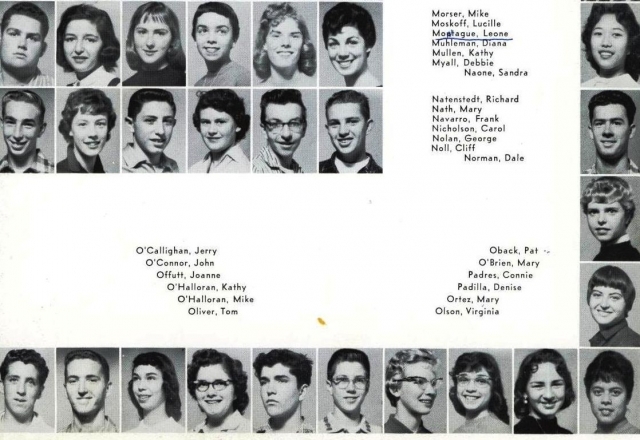 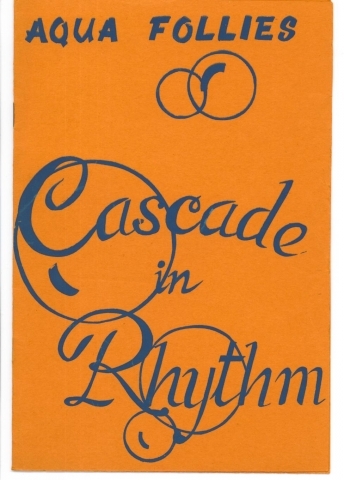 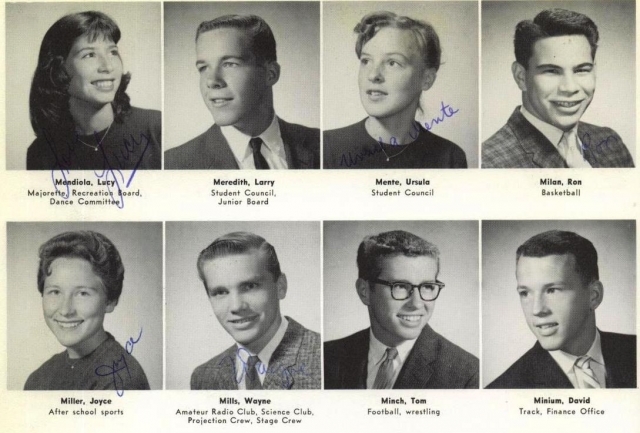 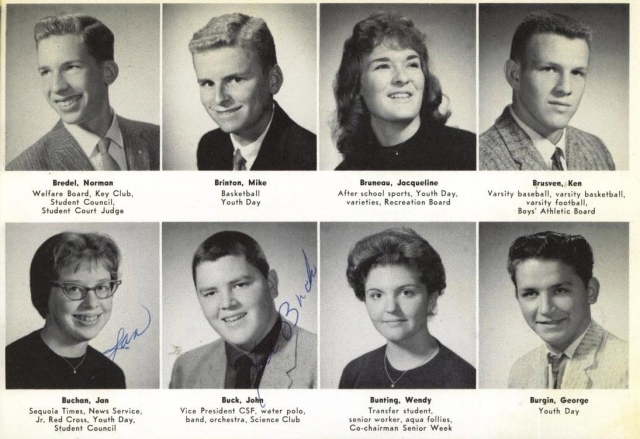 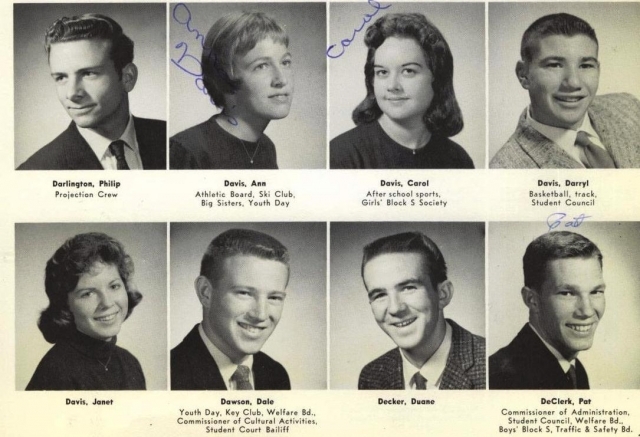 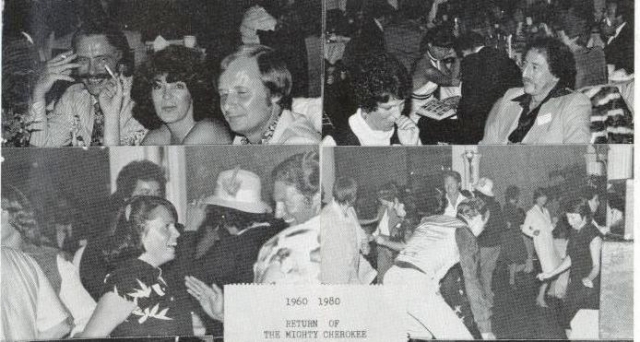 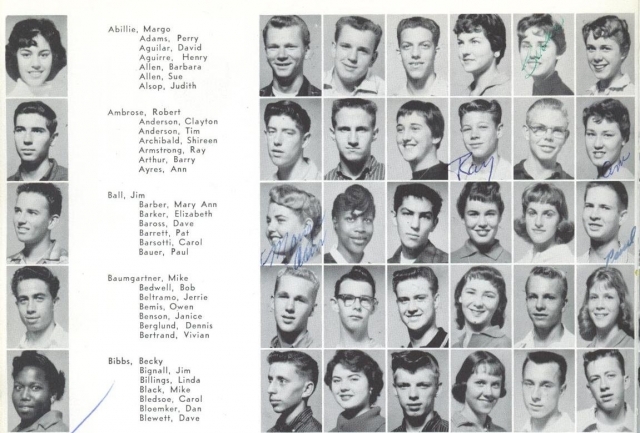 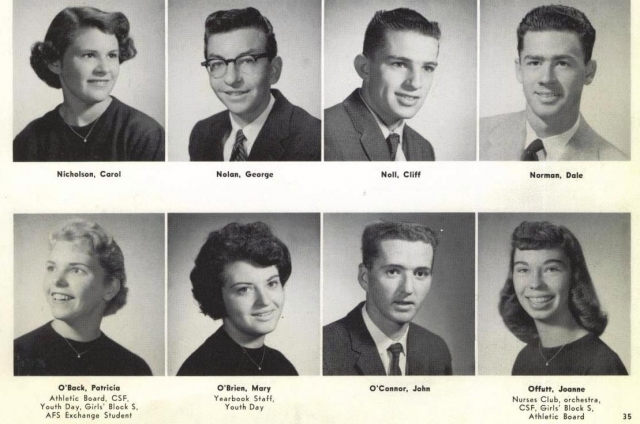 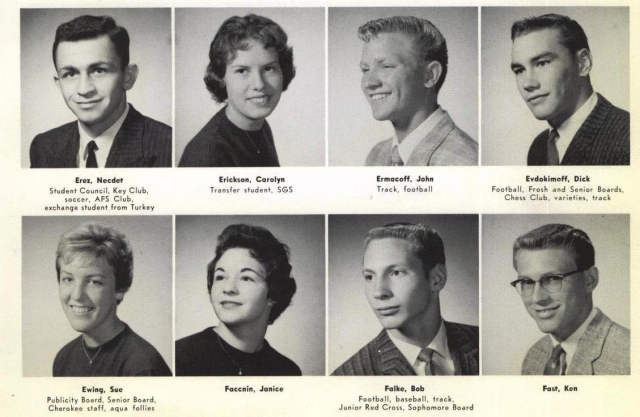 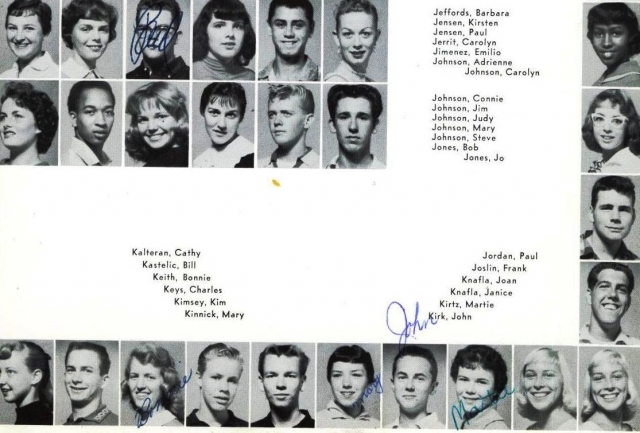 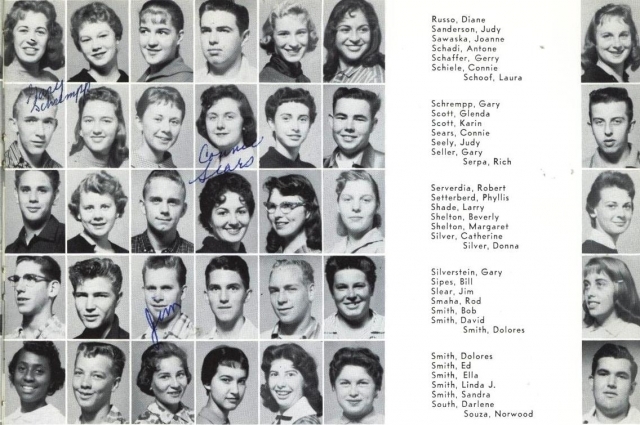 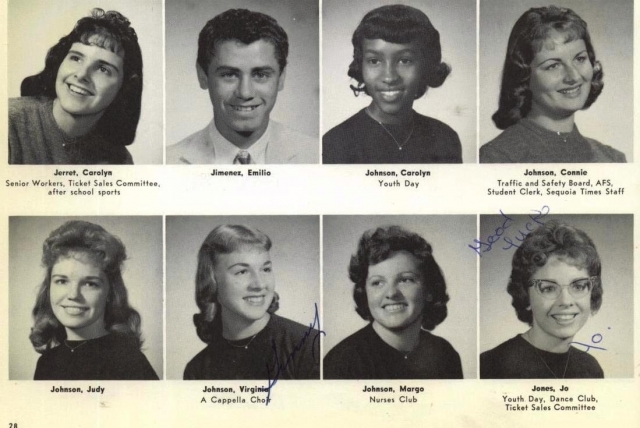 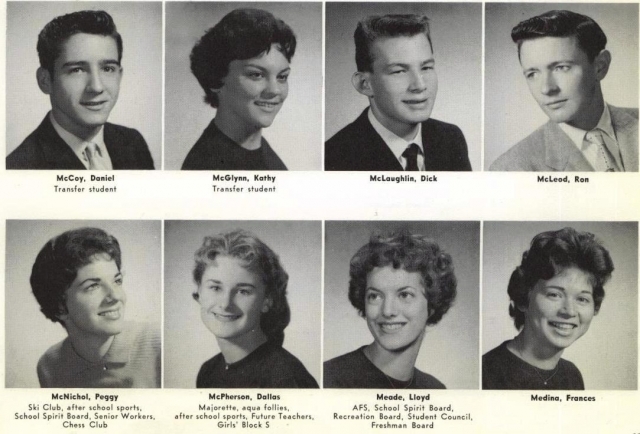 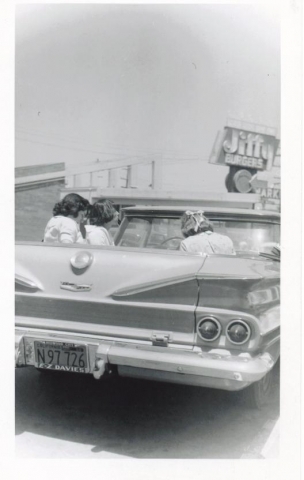 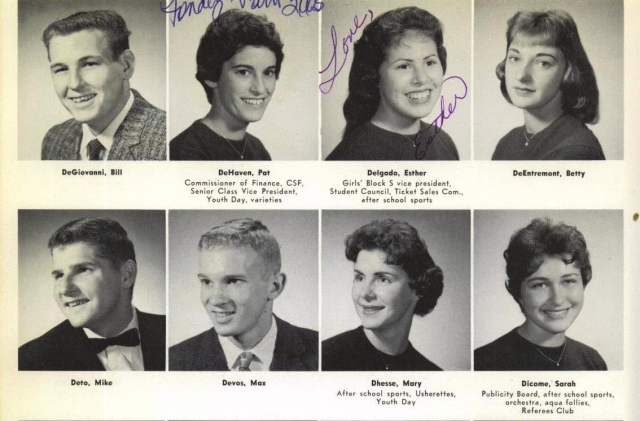 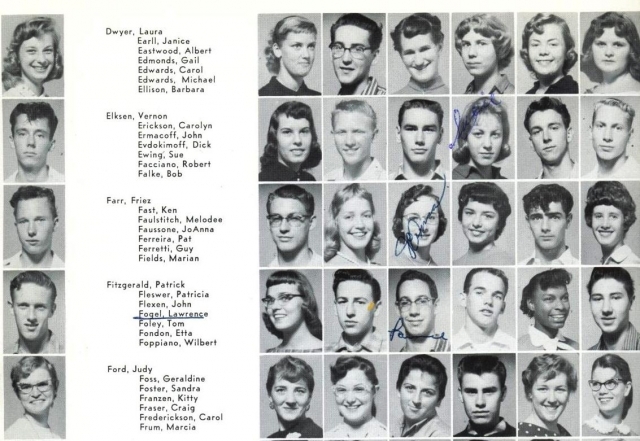 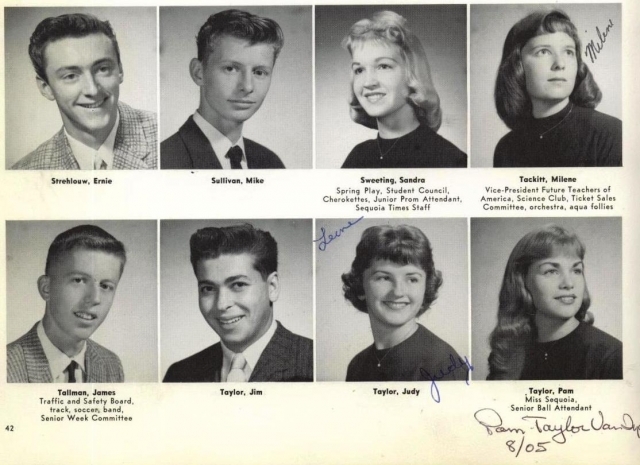 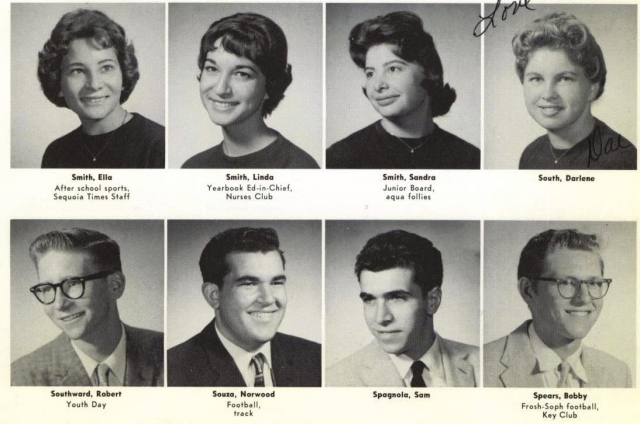 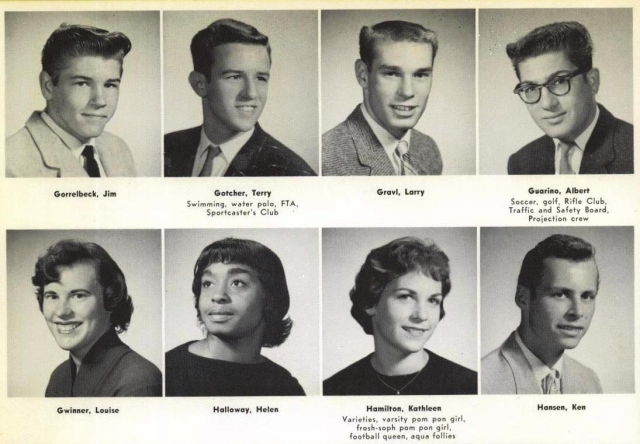 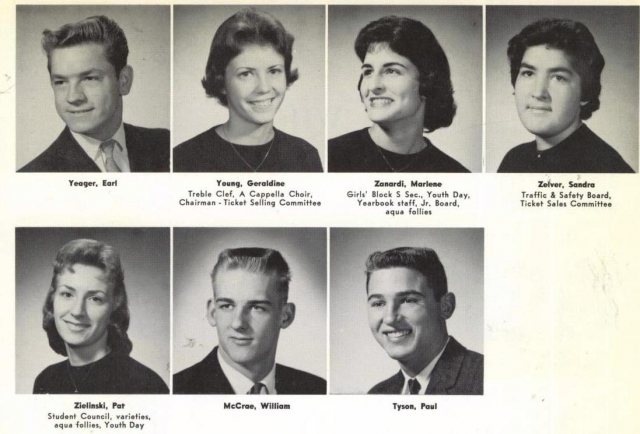 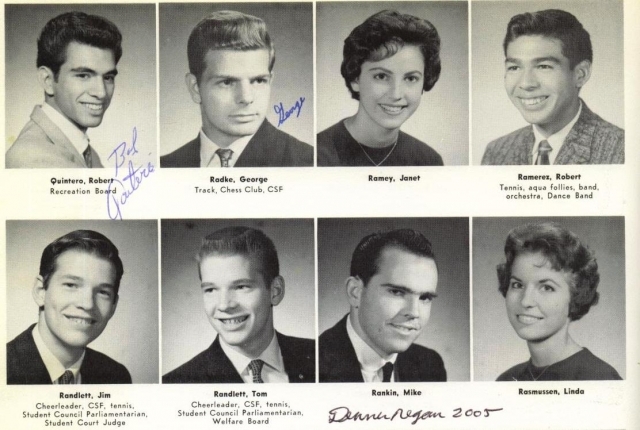 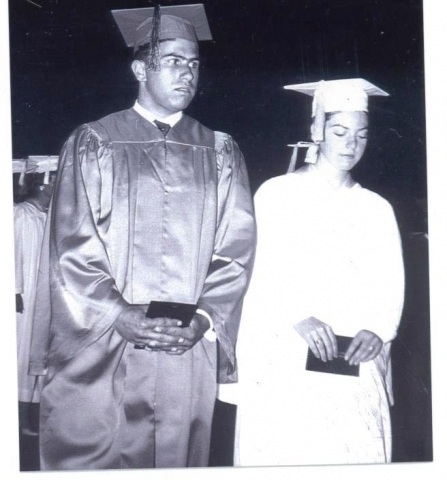 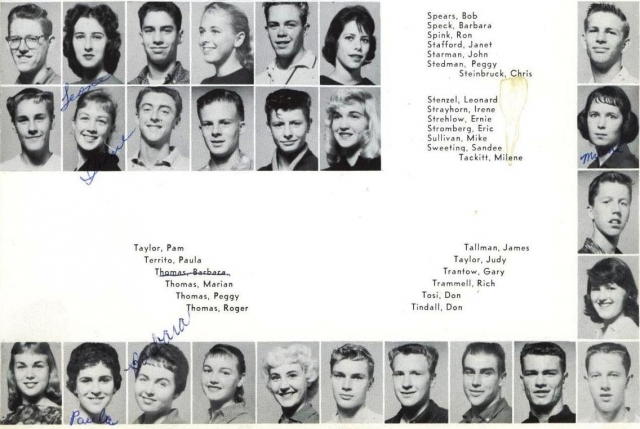 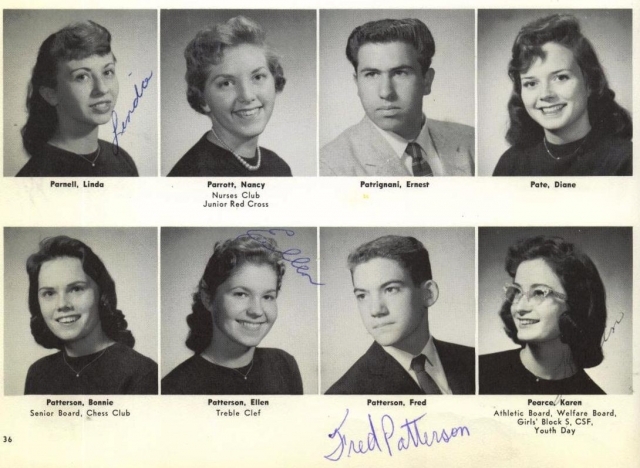 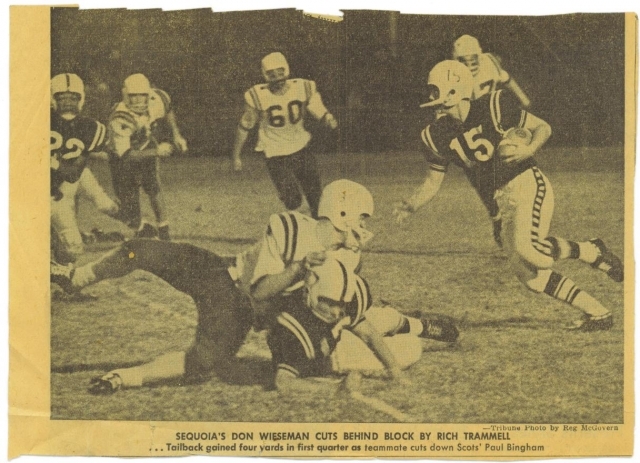 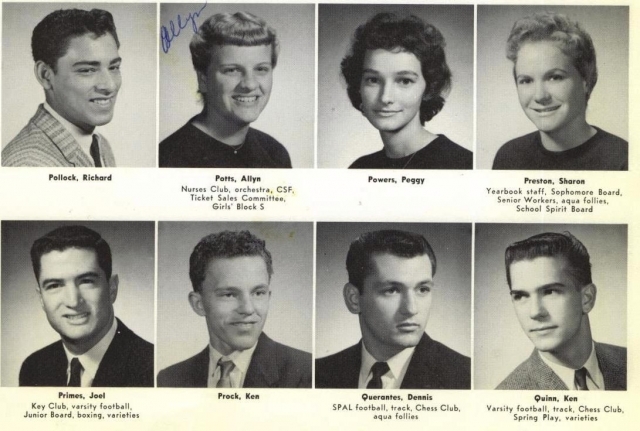 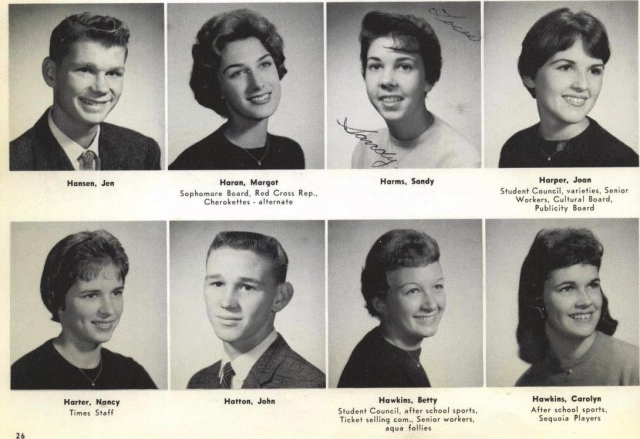 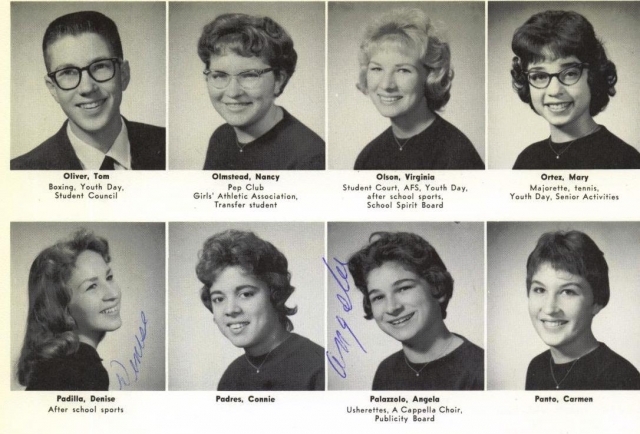 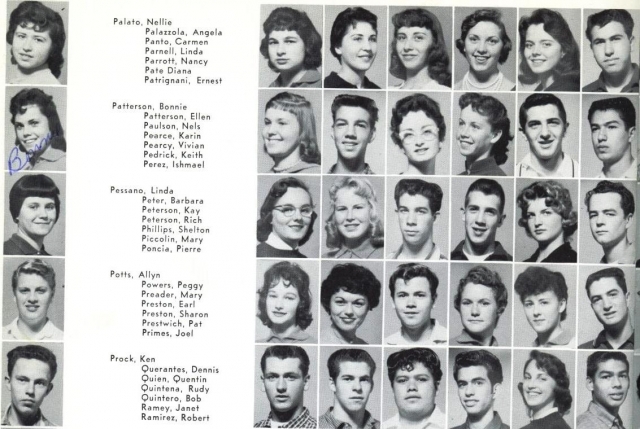 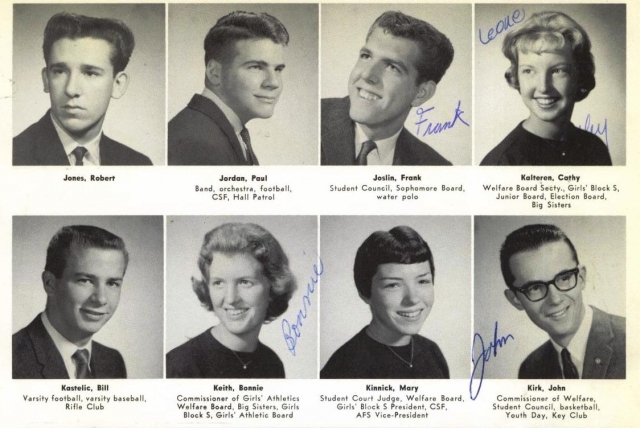 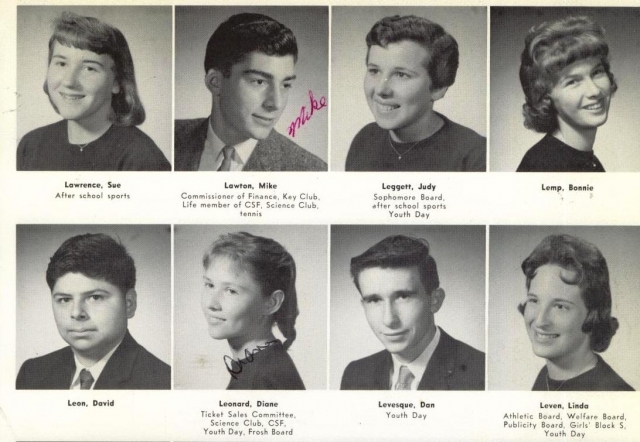 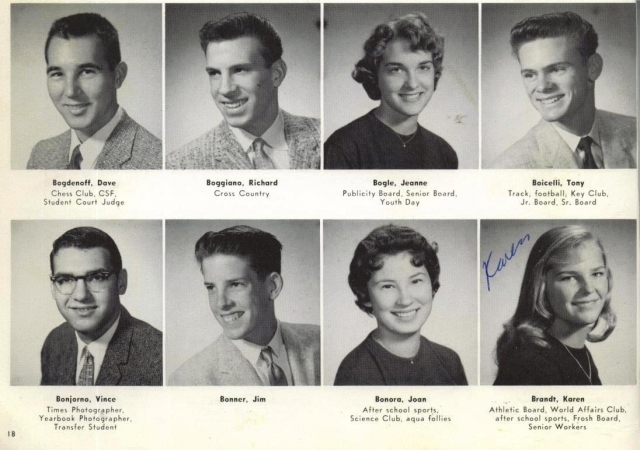 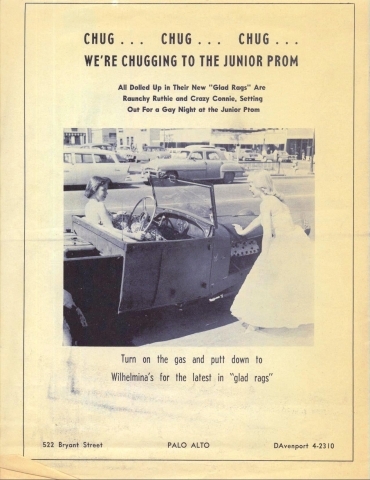 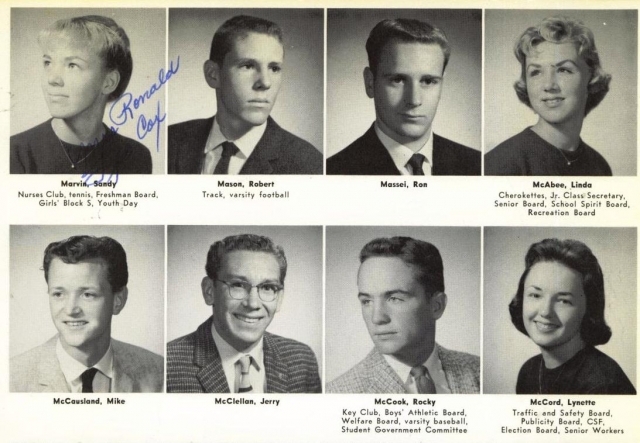 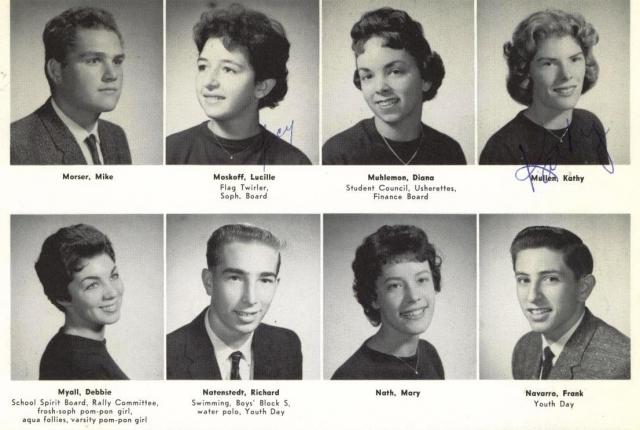 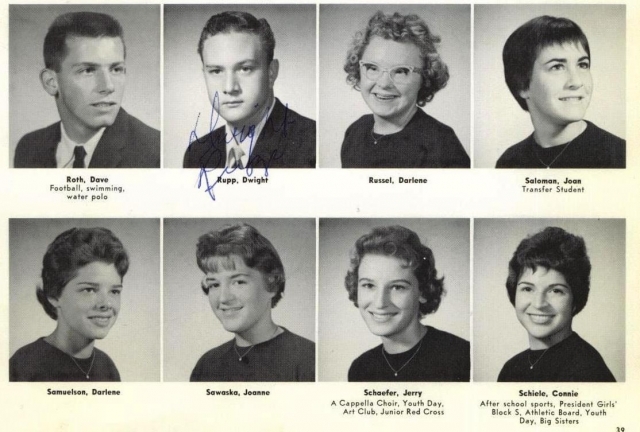 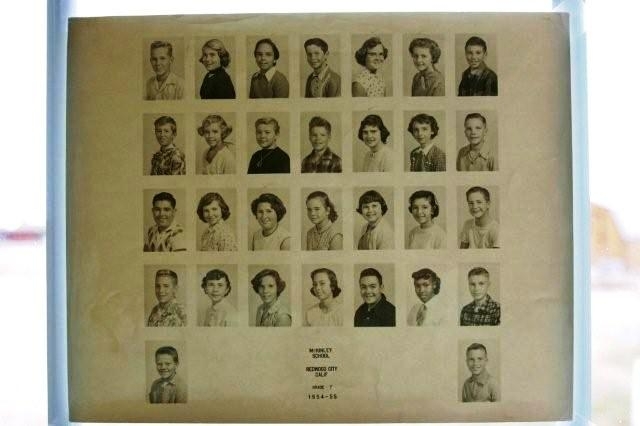 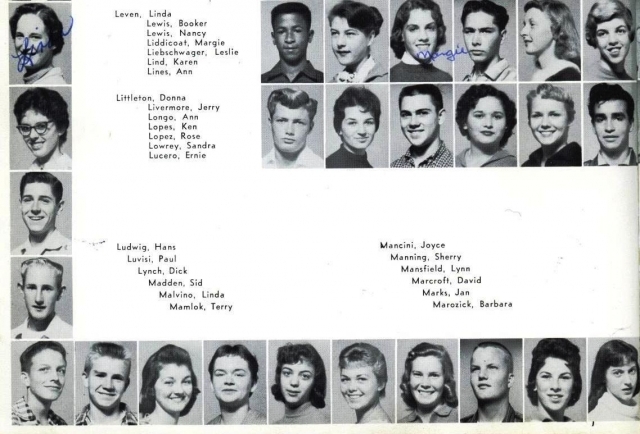 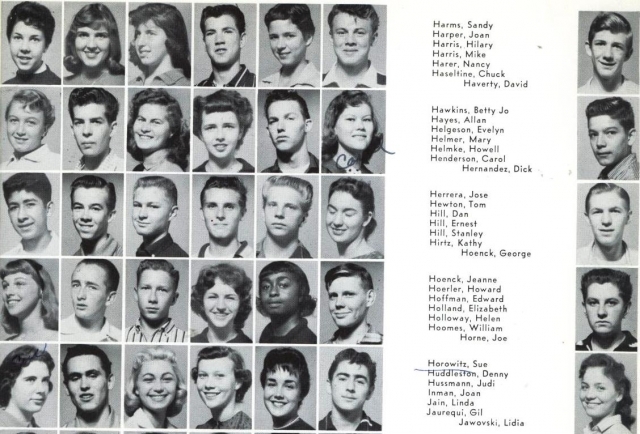 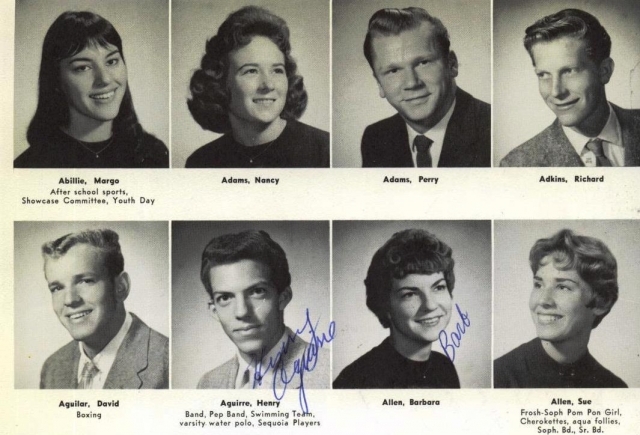 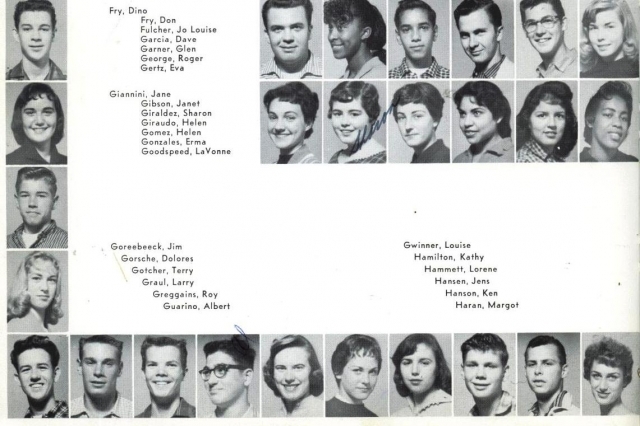 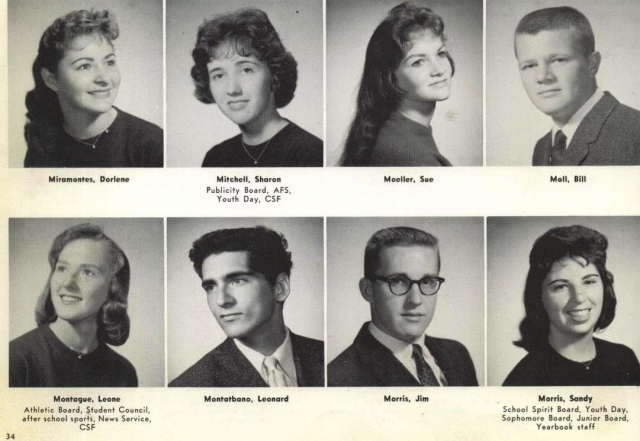 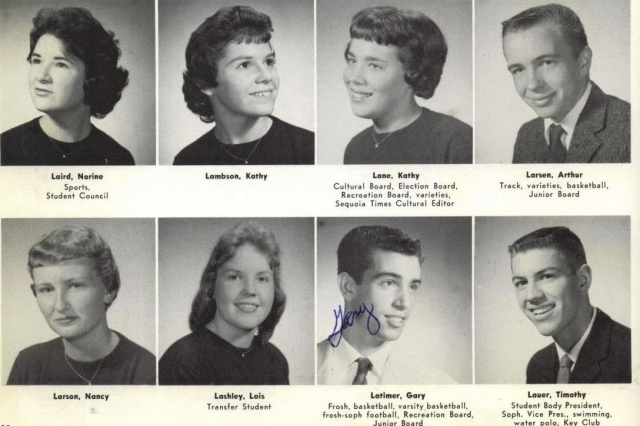 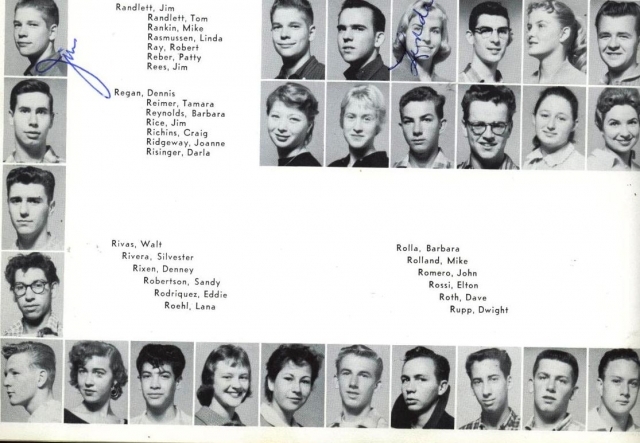 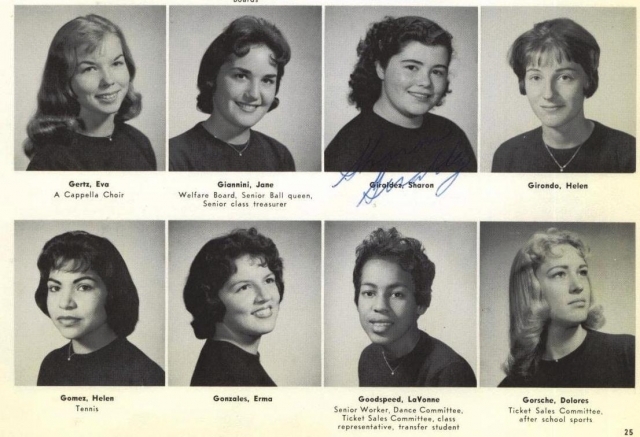 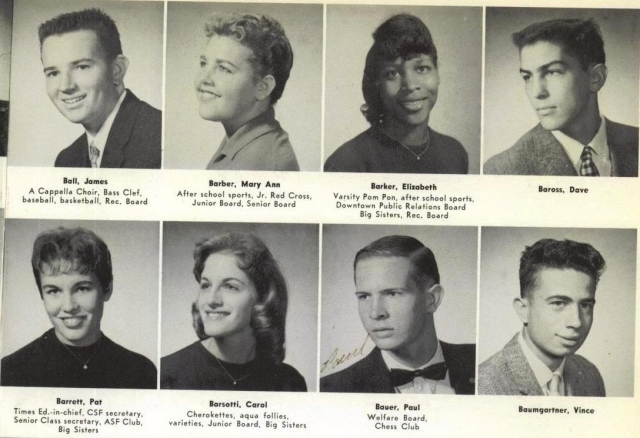 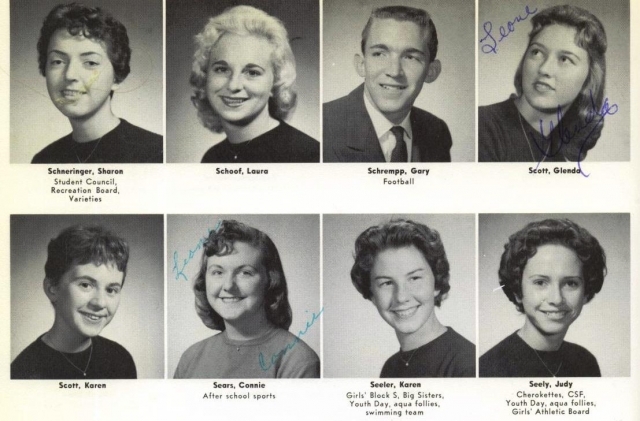 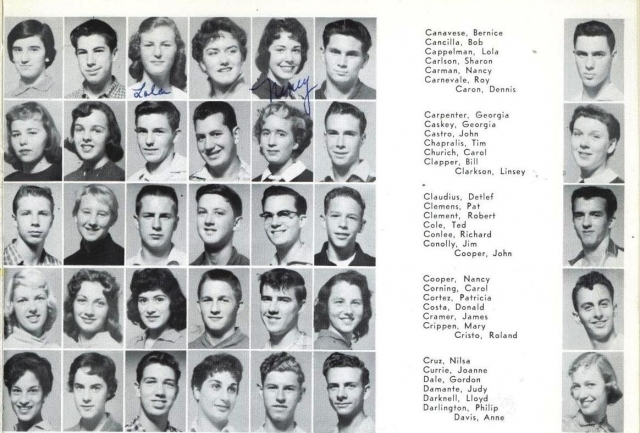 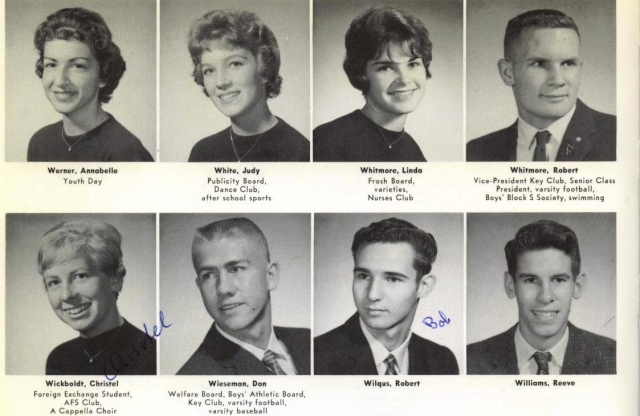 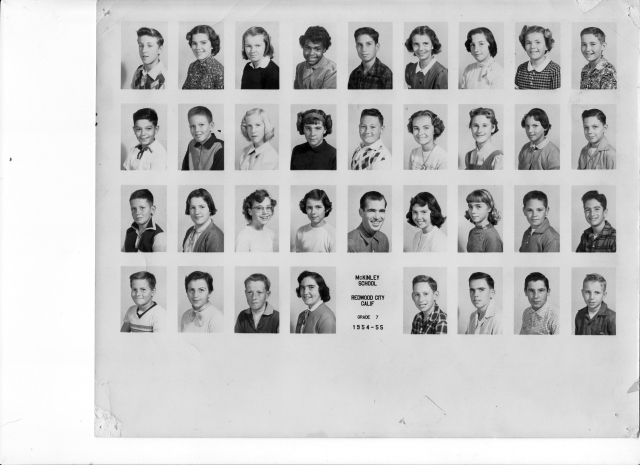 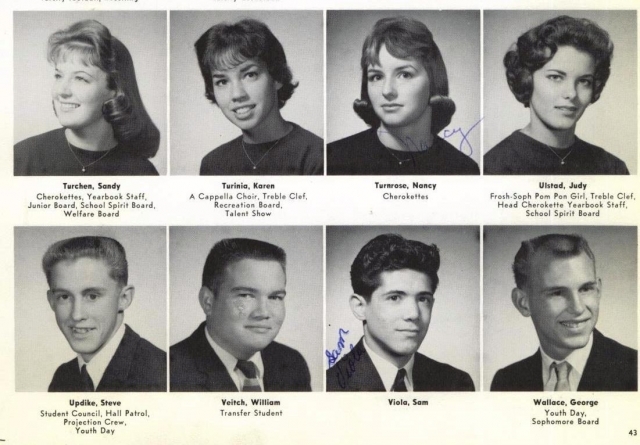 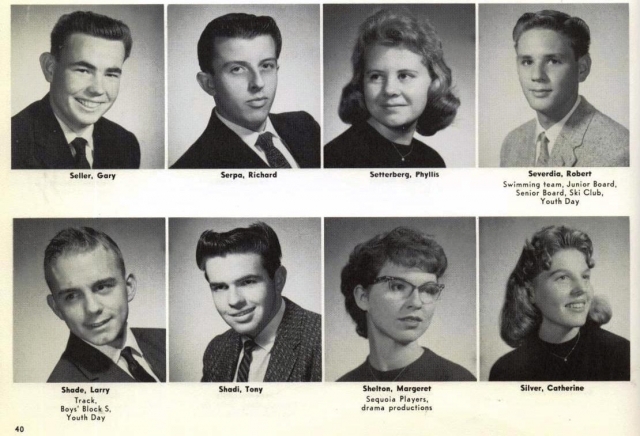 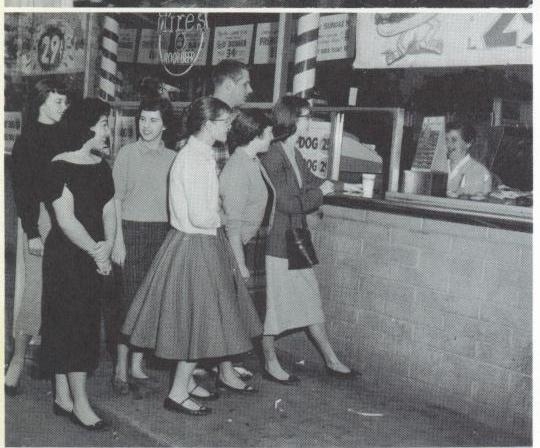 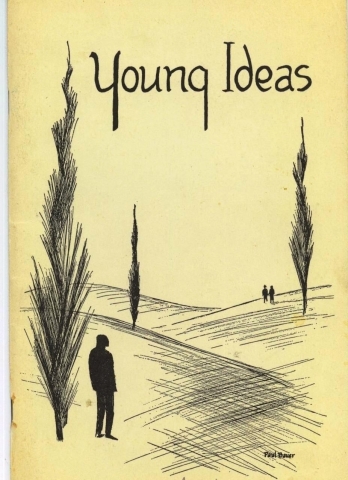 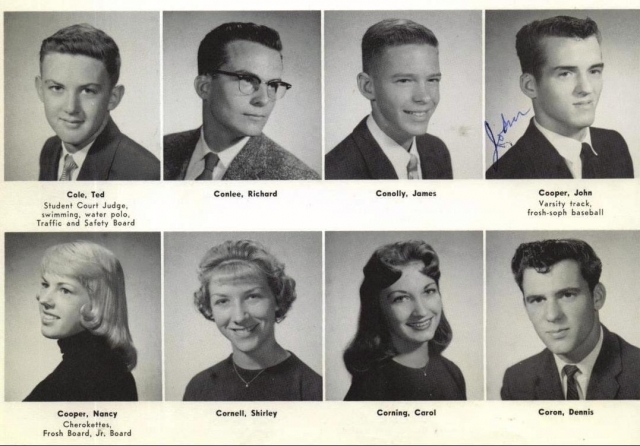 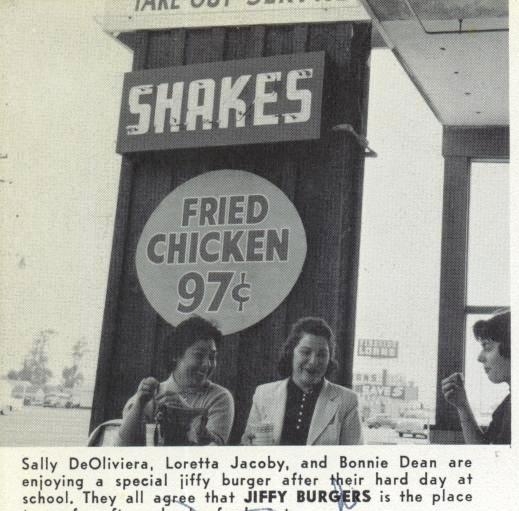 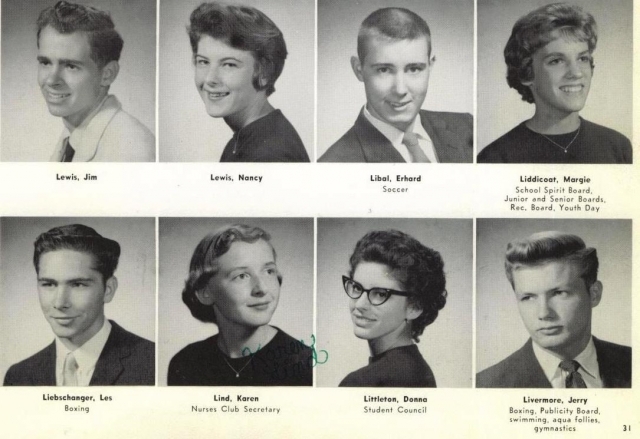 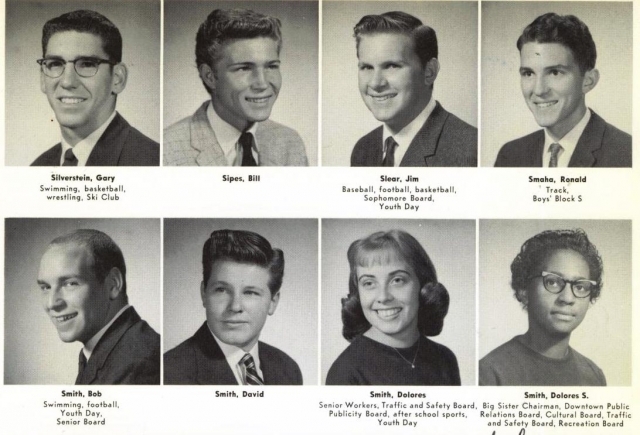 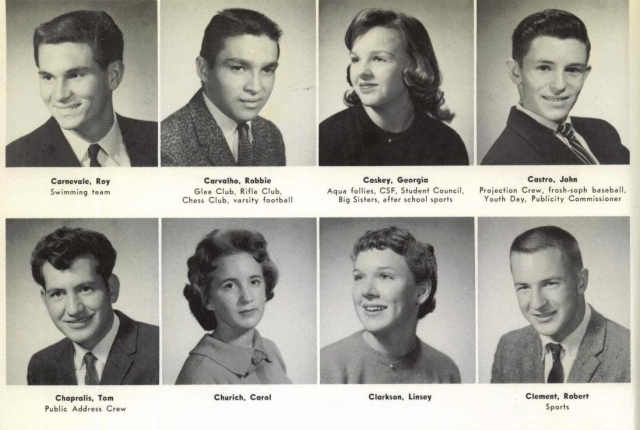 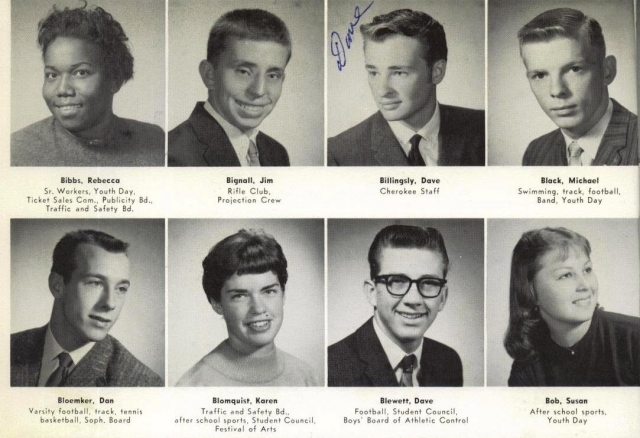 This album includes all the senior year and junior photos from our 1960 and 1959 yearbooks. 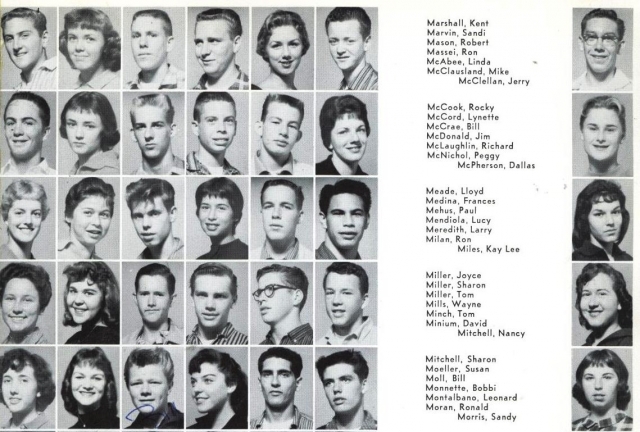 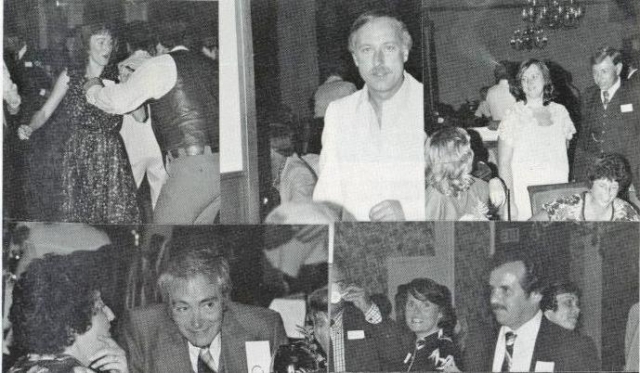 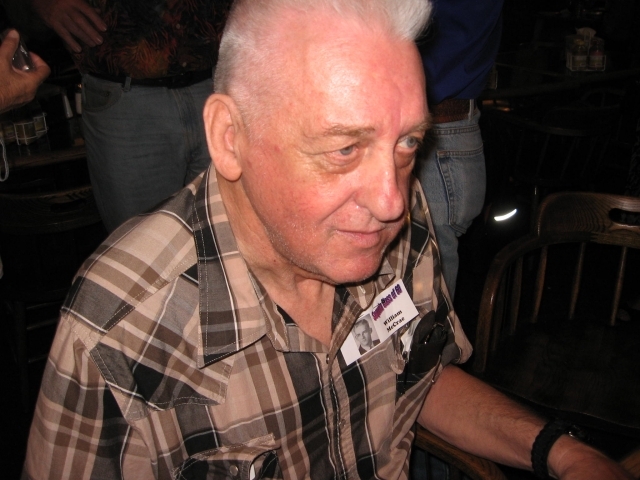 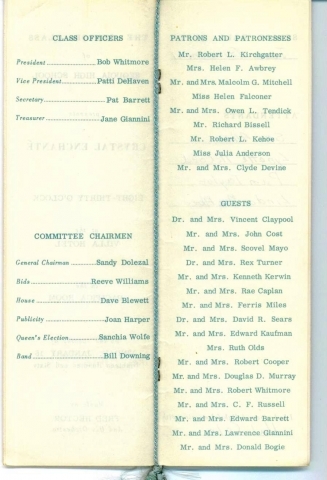 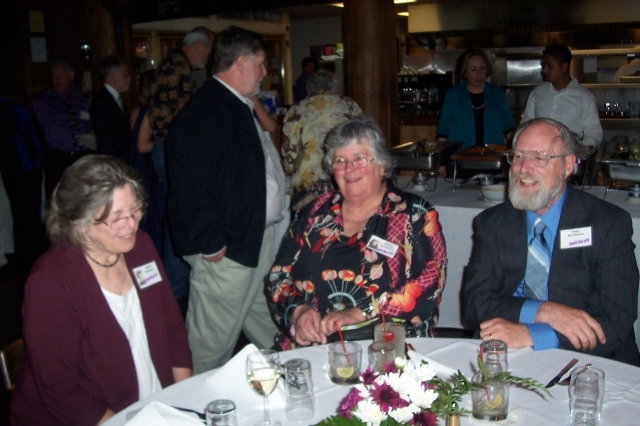 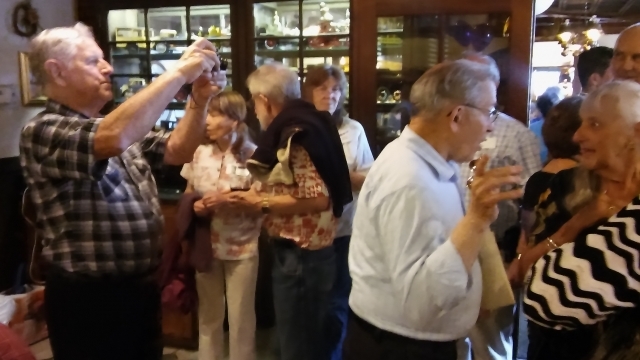 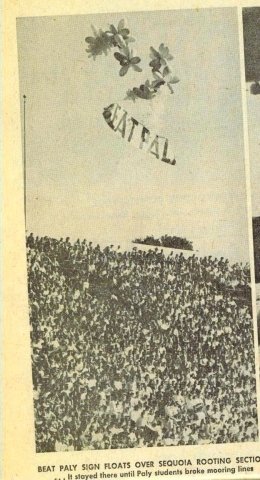 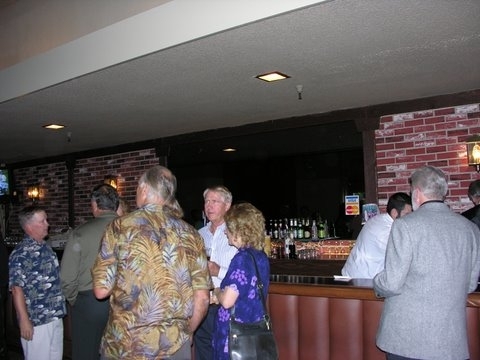 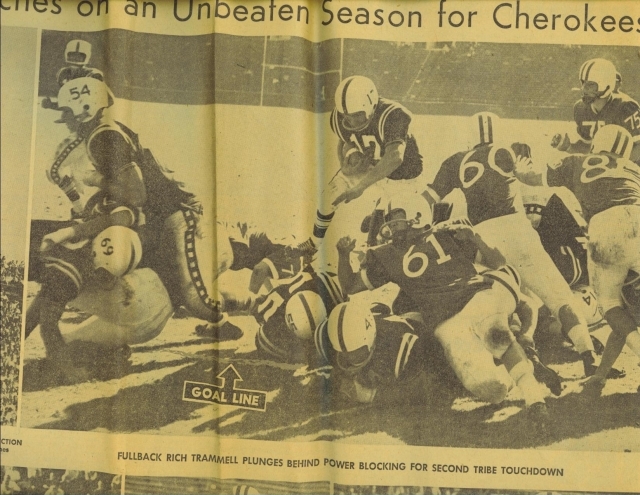 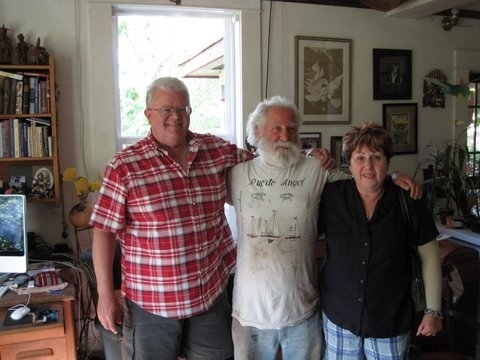 Of course, a few of us were among those for whom a picture wasn't available in one of those years. 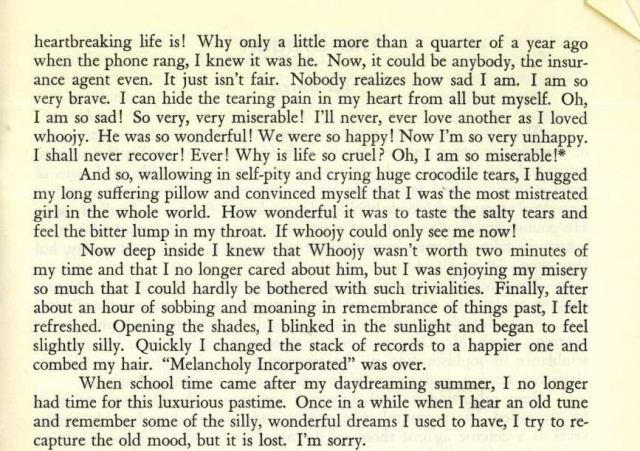 But hopefully you'll find yourself here. 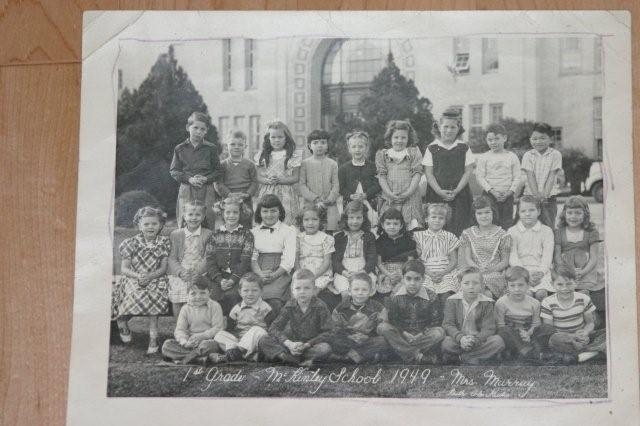 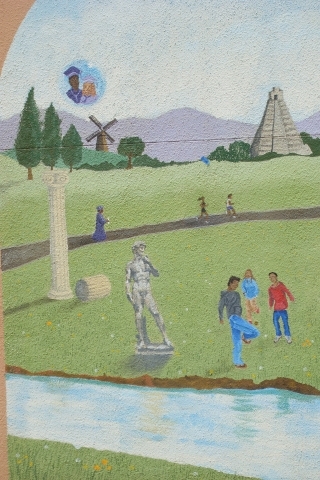 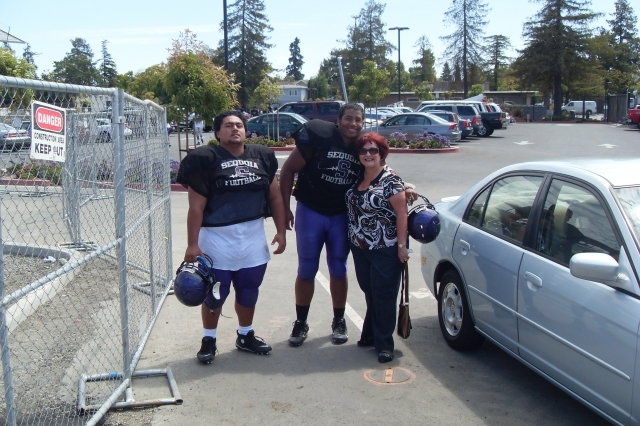 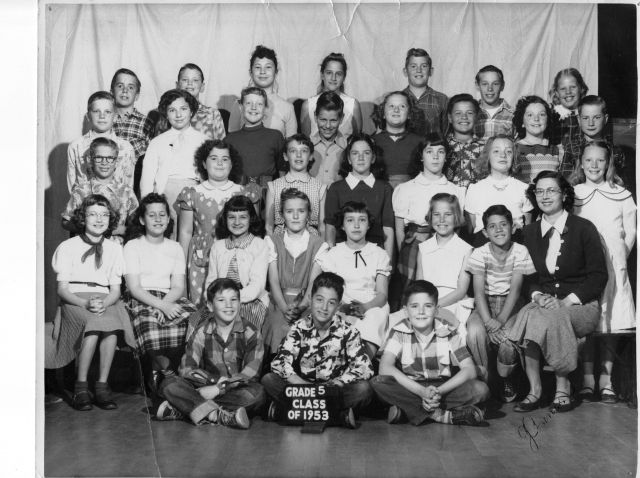 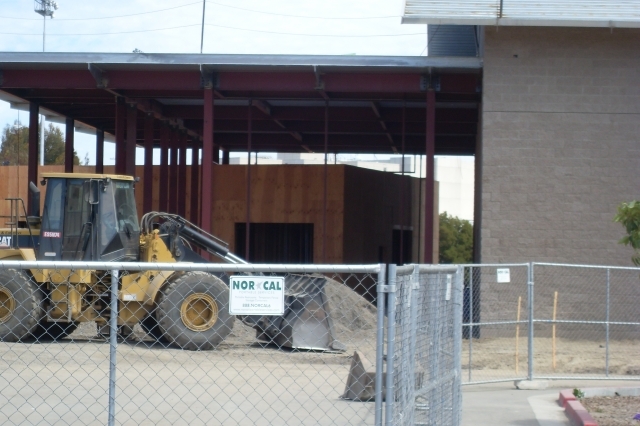 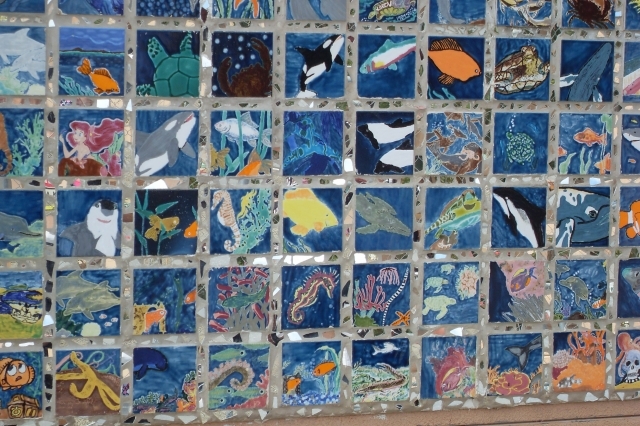 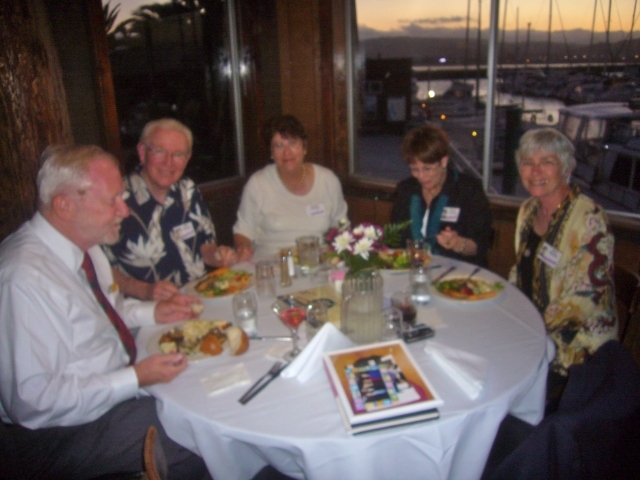 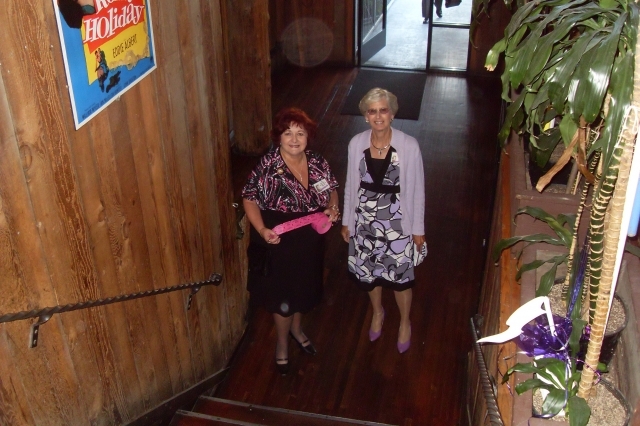 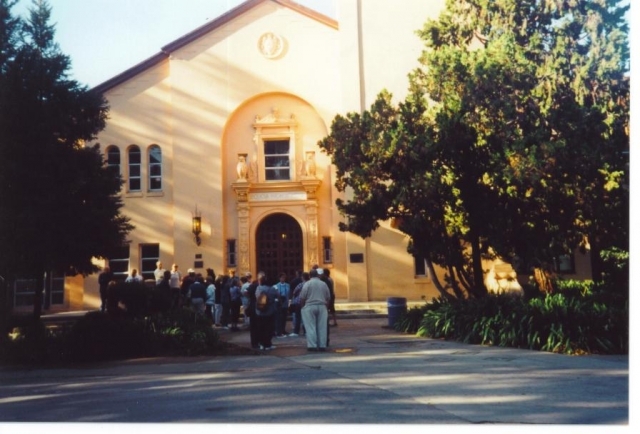 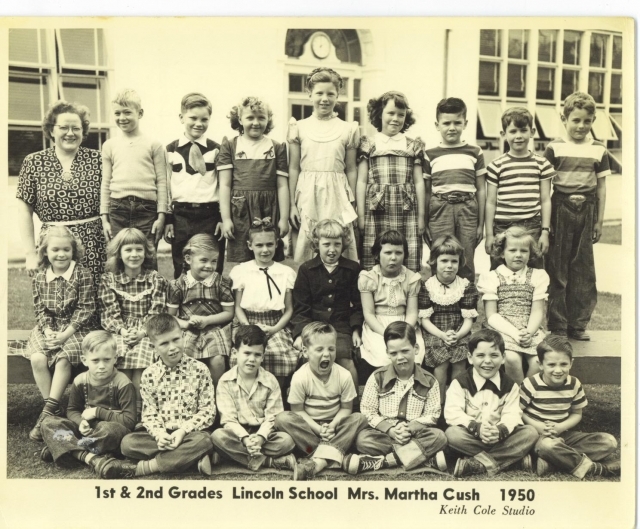 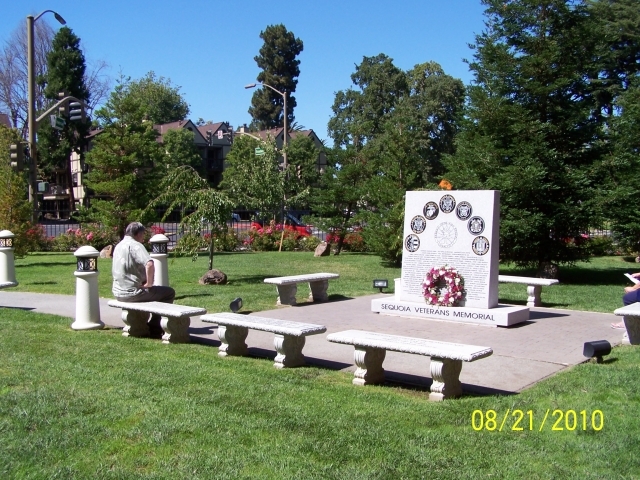 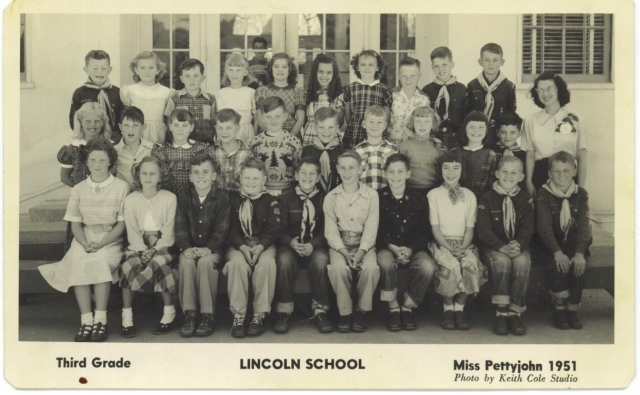 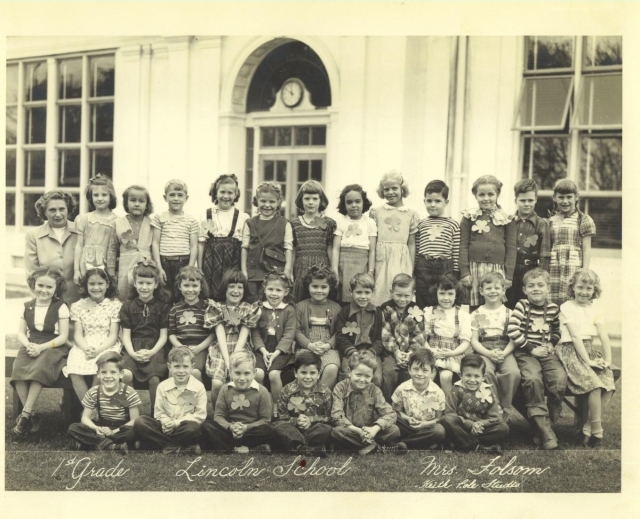 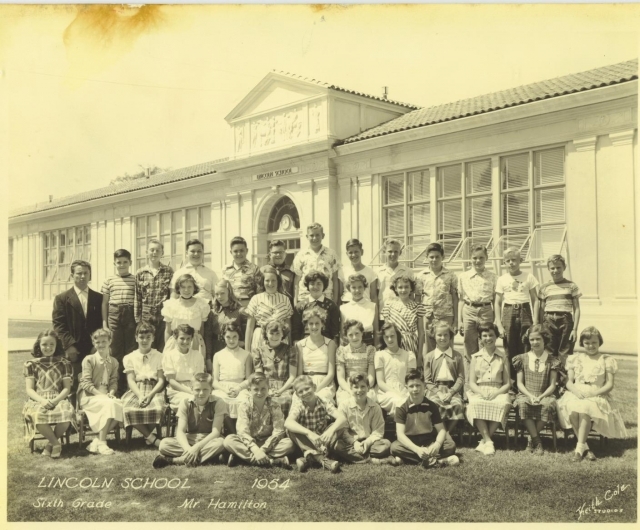 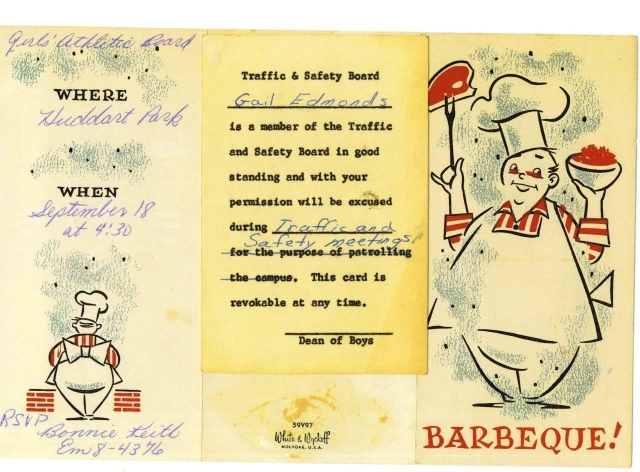 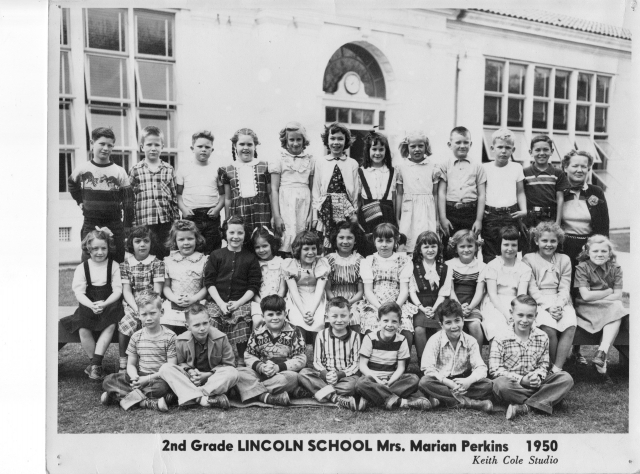 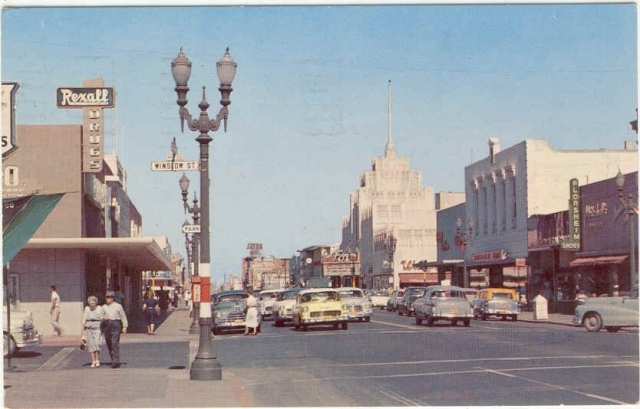 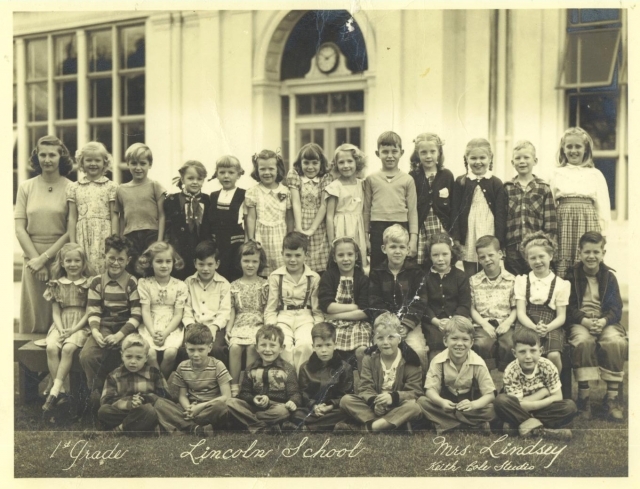 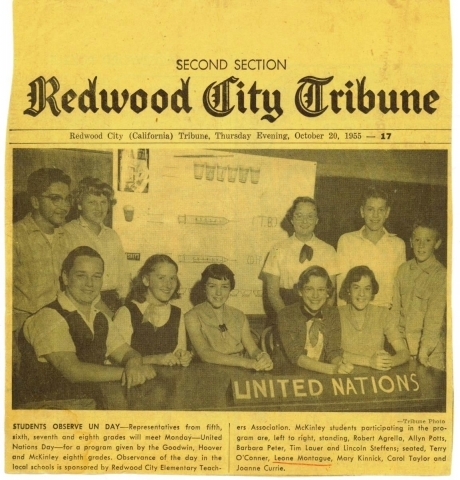 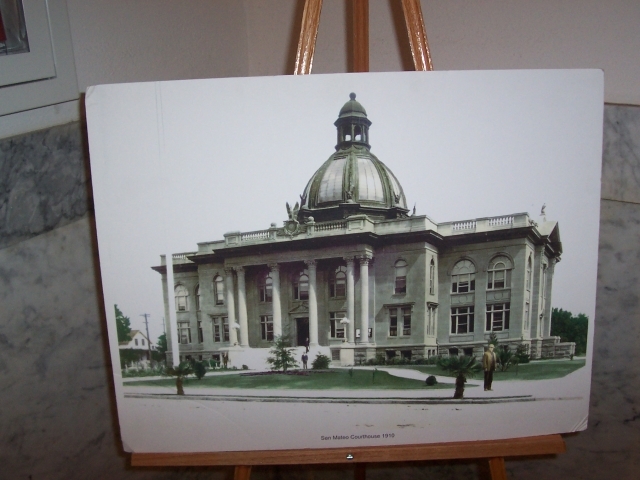 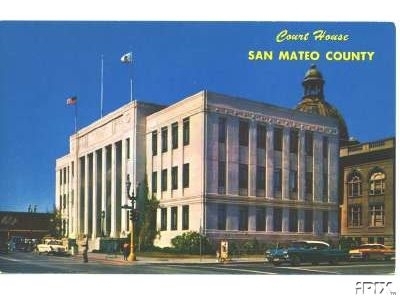 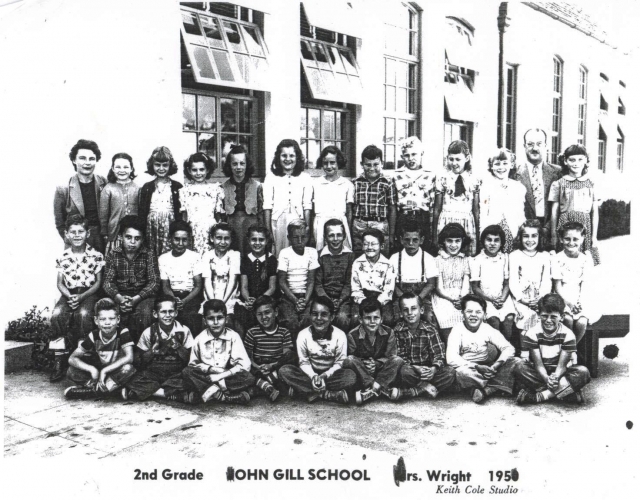 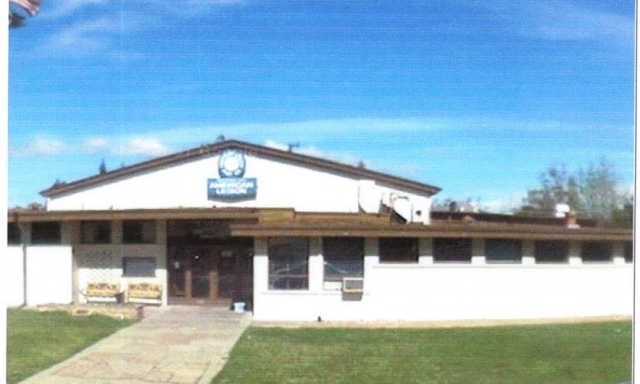 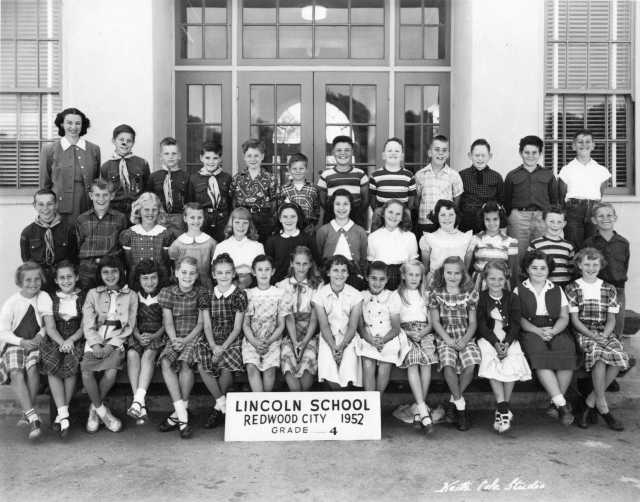 Many of us started in kindergarten or first grade in Redwood City. 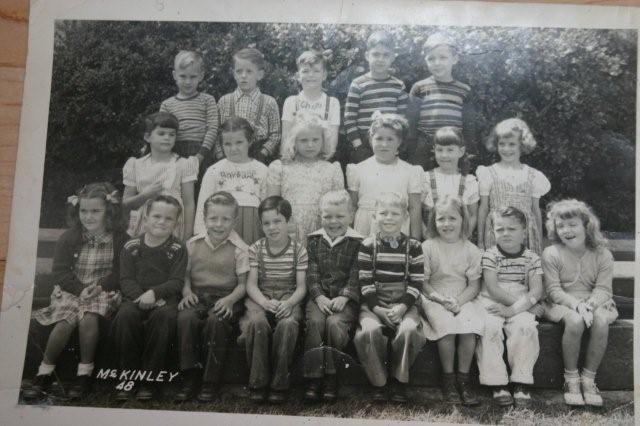 We were adorable then. 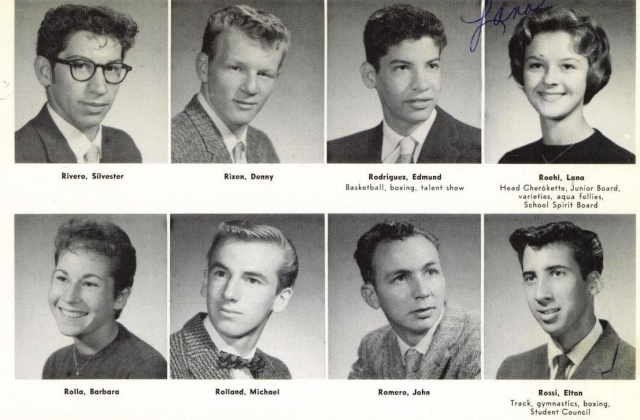 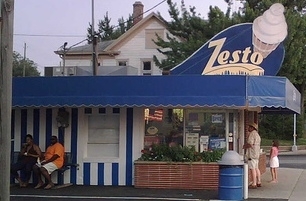 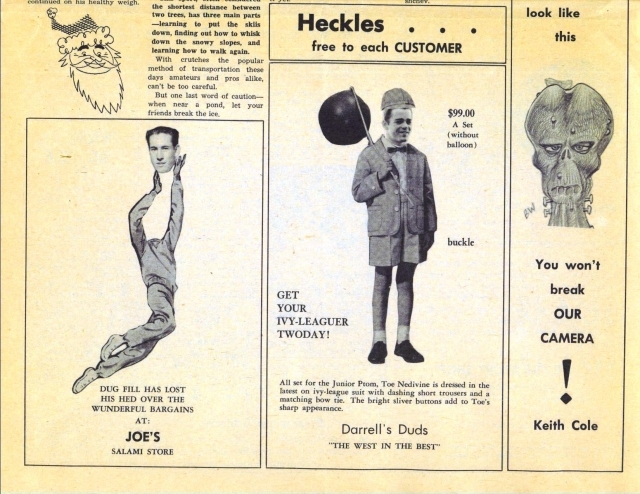 (And we're darned good looking now.) 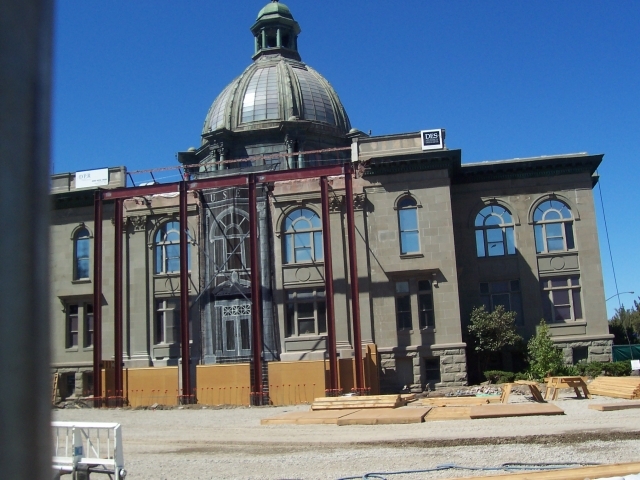 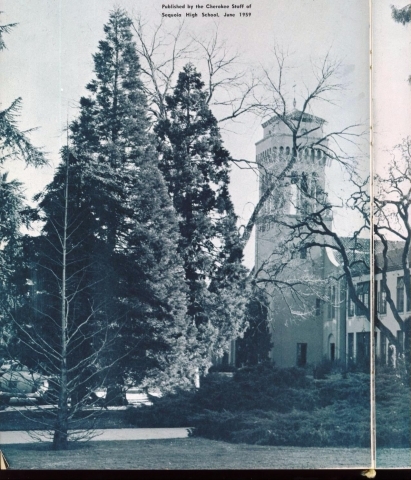 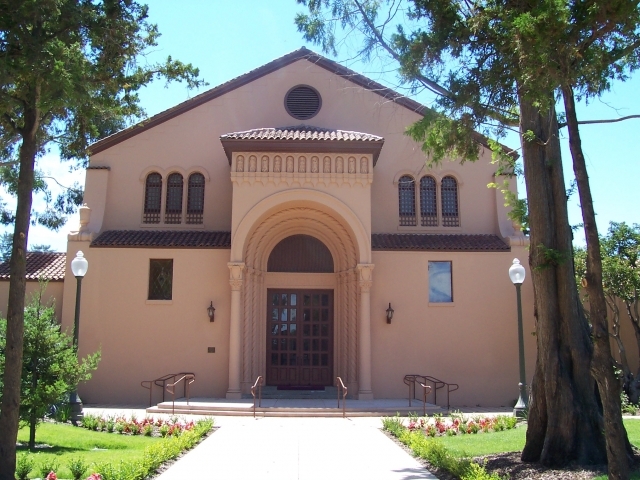 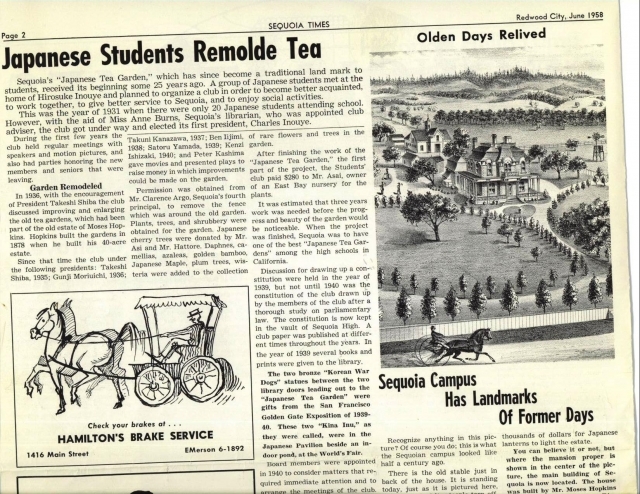 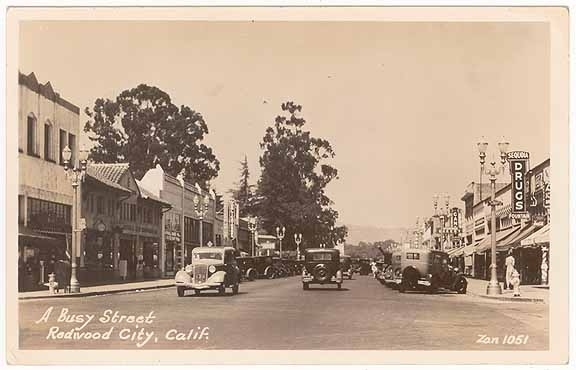 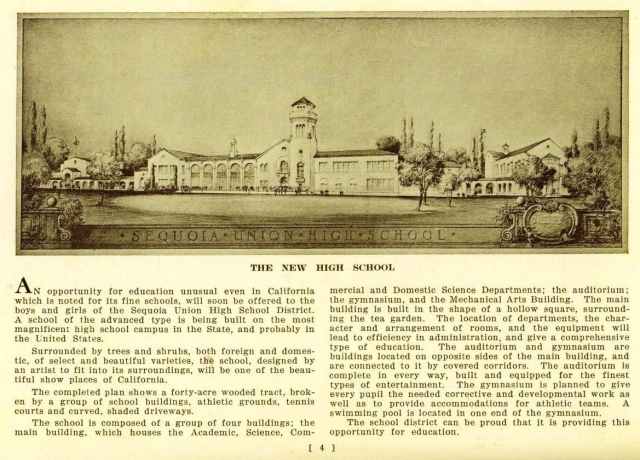 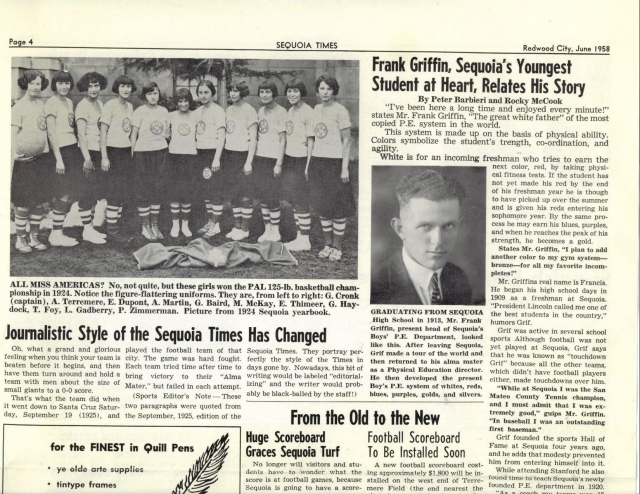 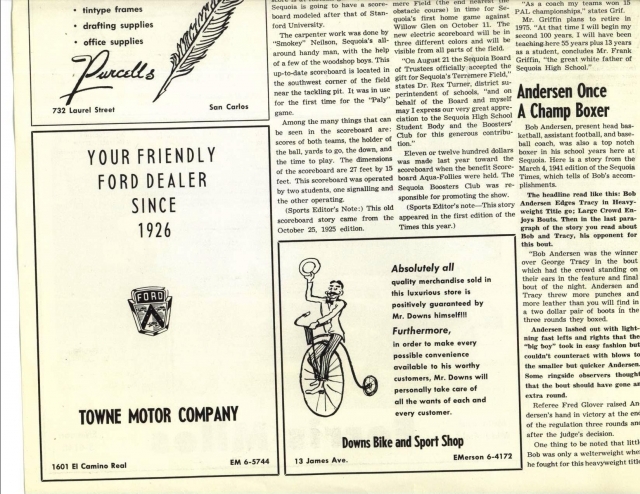 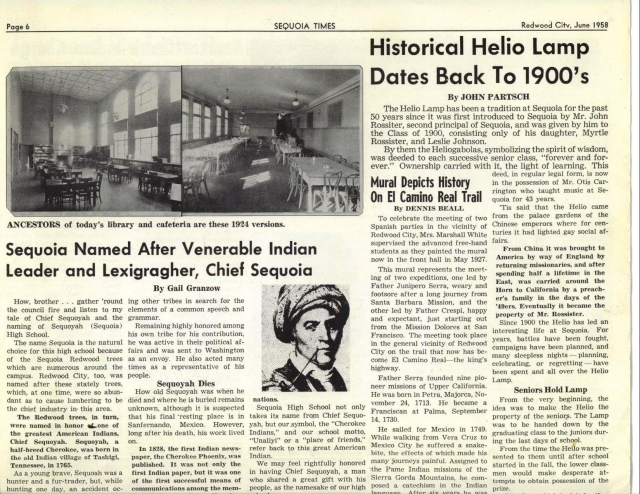 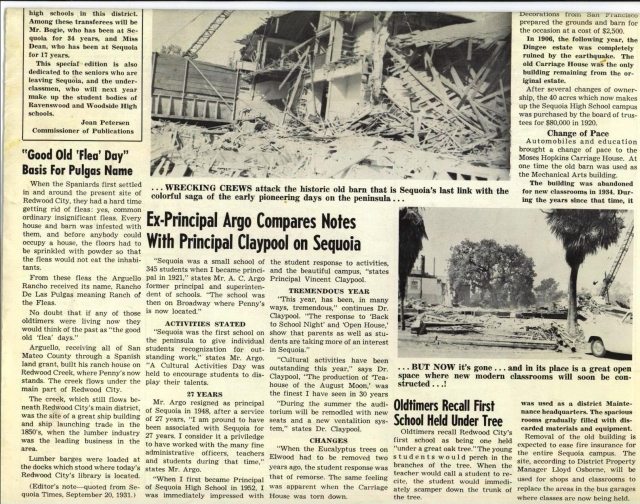 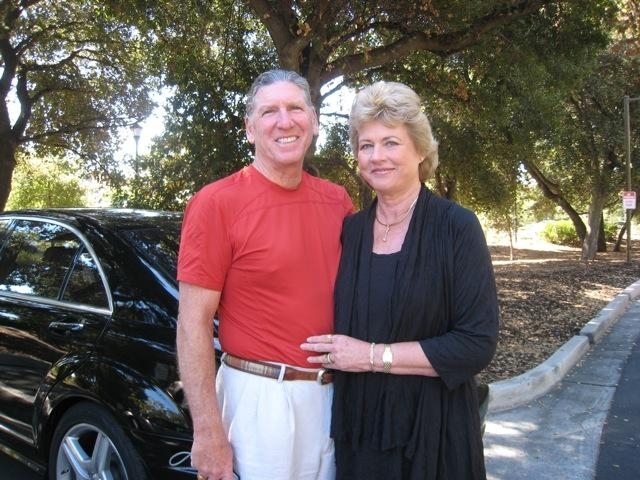 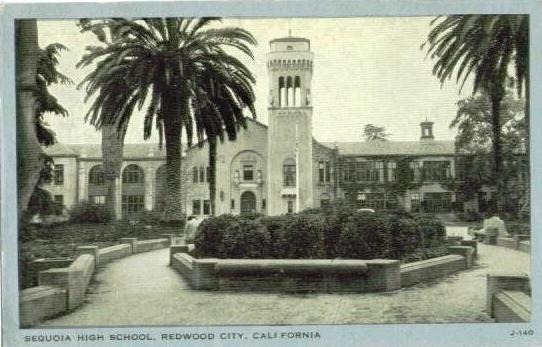 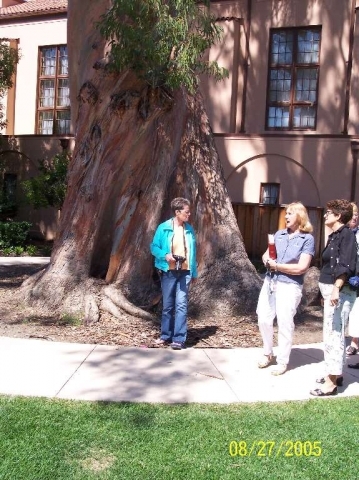 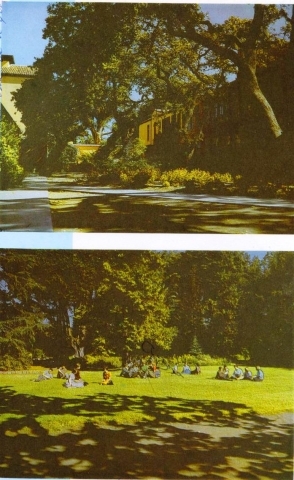 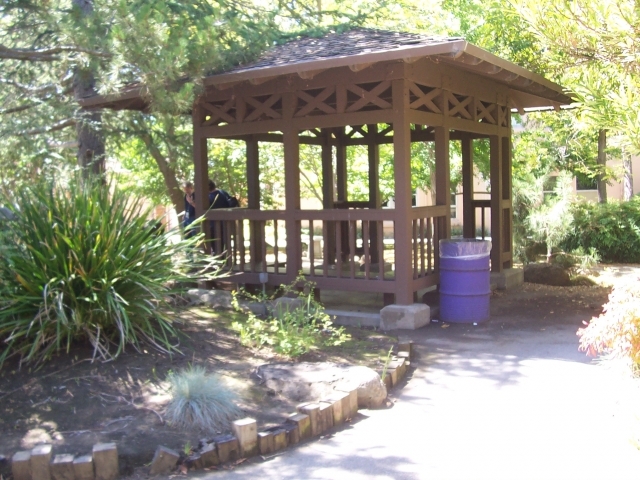 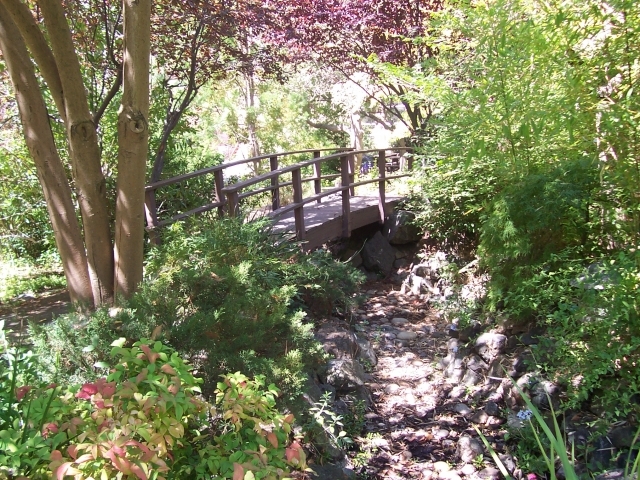 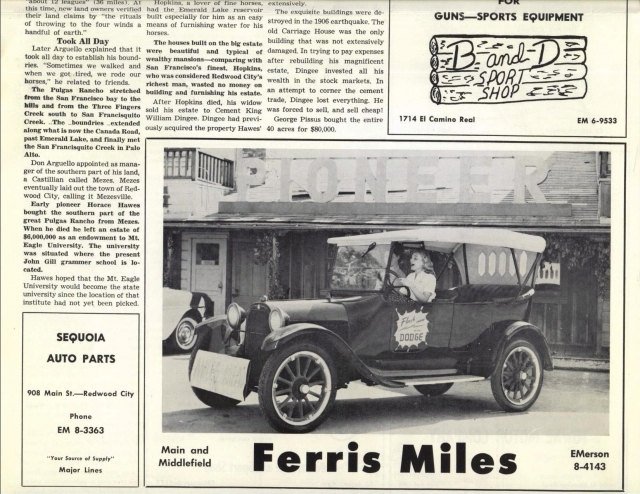 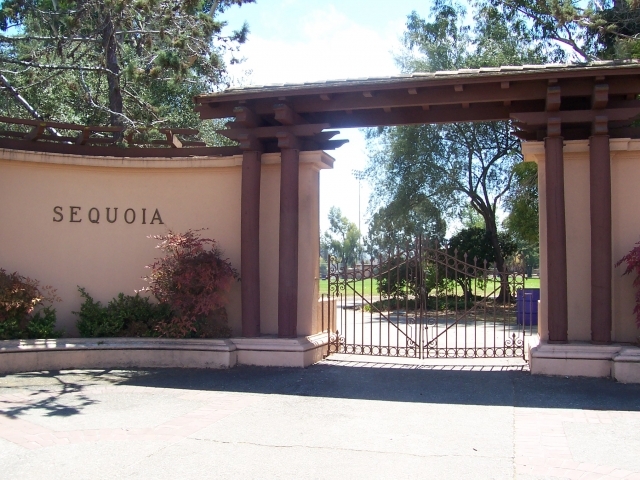 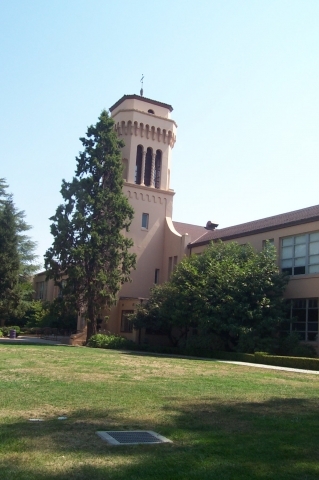 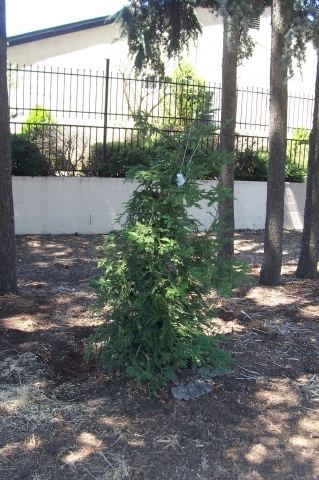 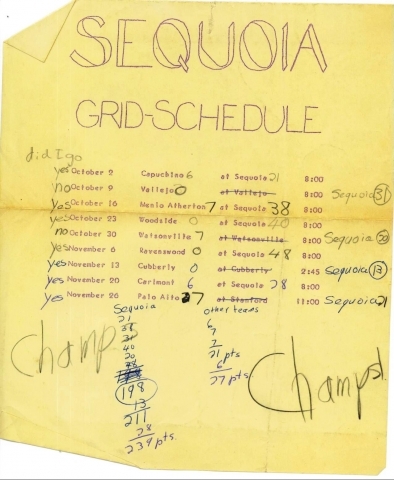 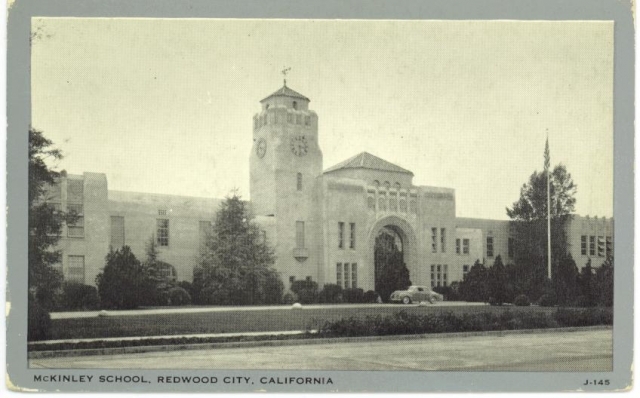 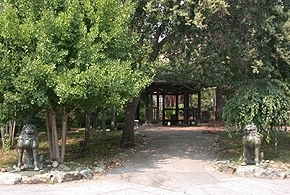 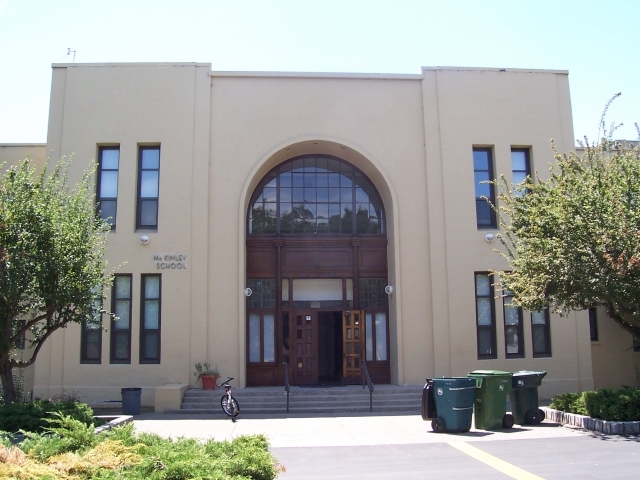 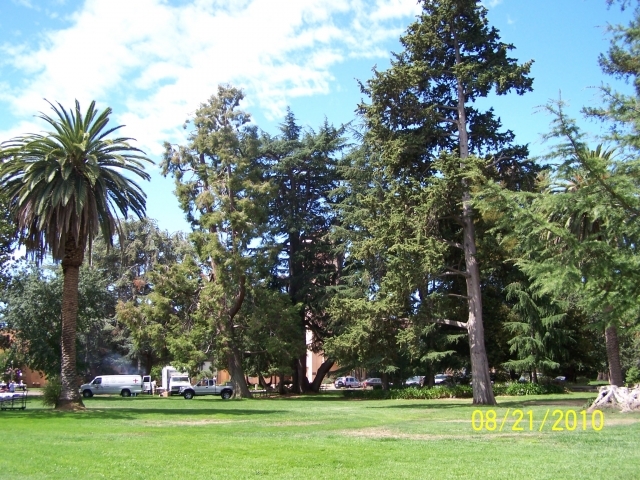 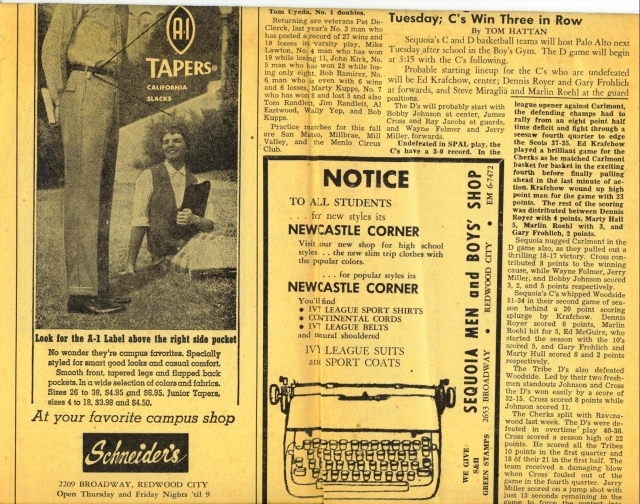 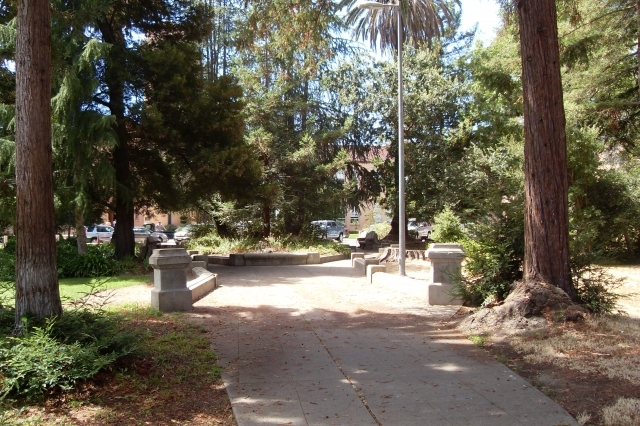 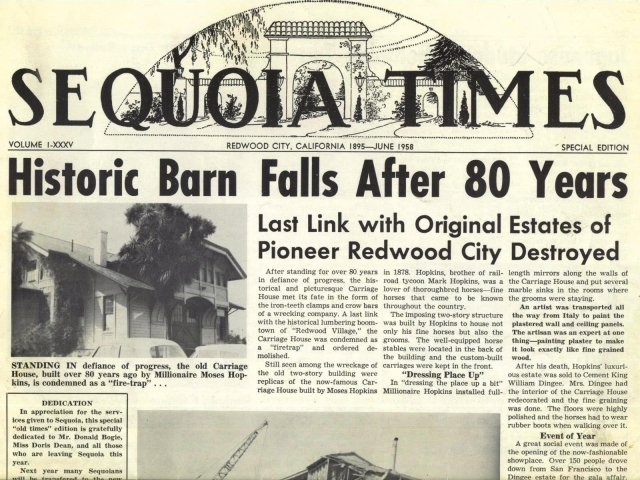 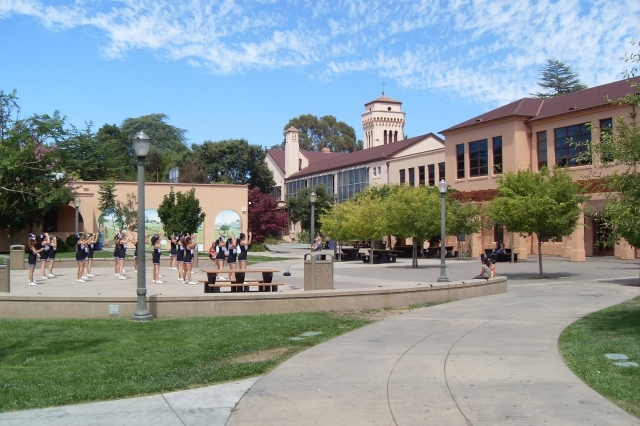 We have changed, and Redwood City has changed, and Sequoia is still the most beautiful campus one could find! 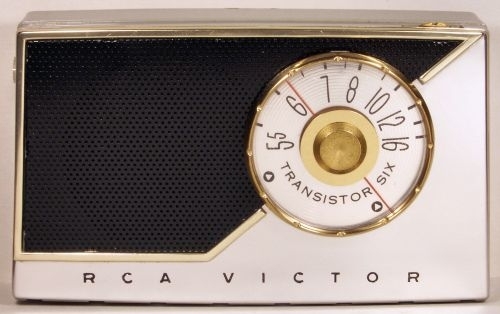 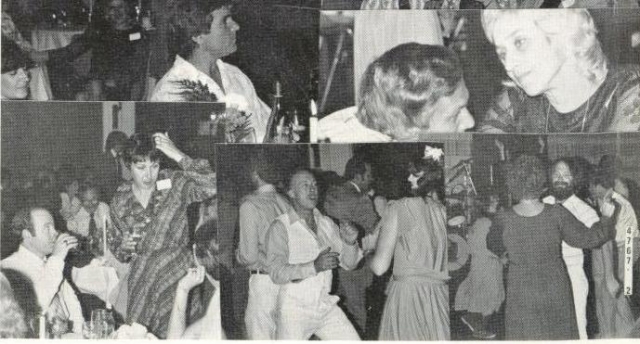 Here are some photos of the way we all were. 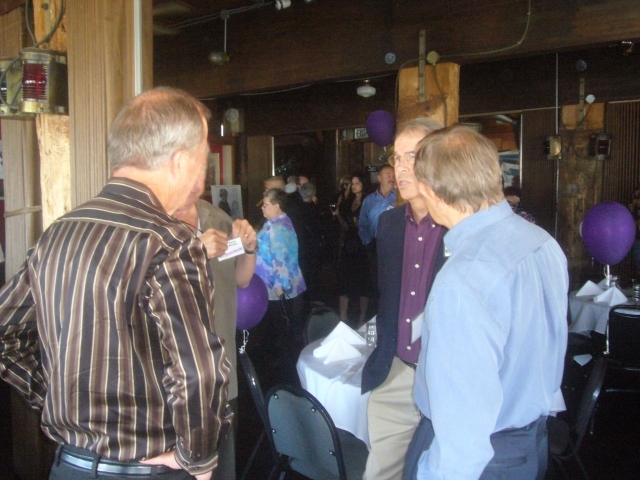 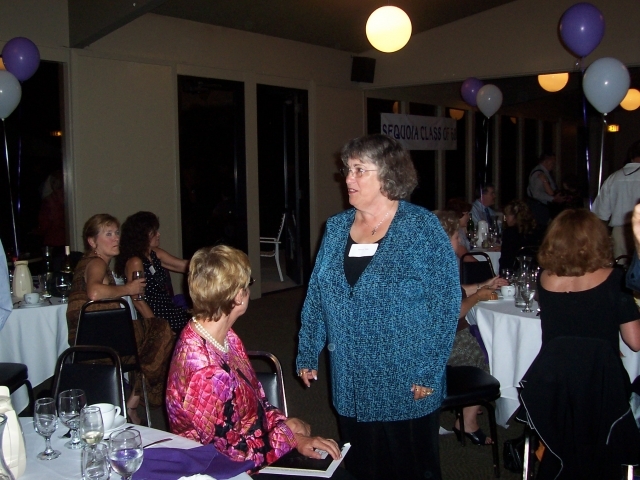 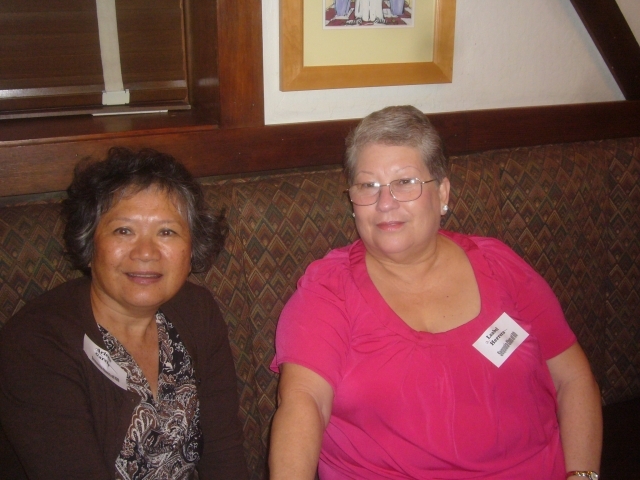 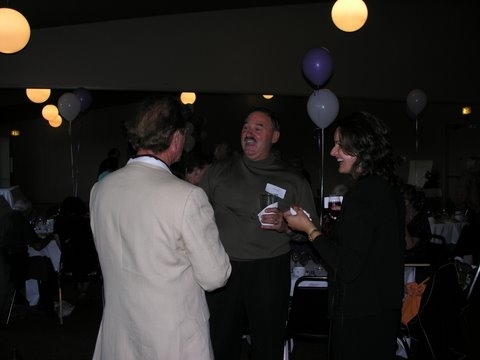 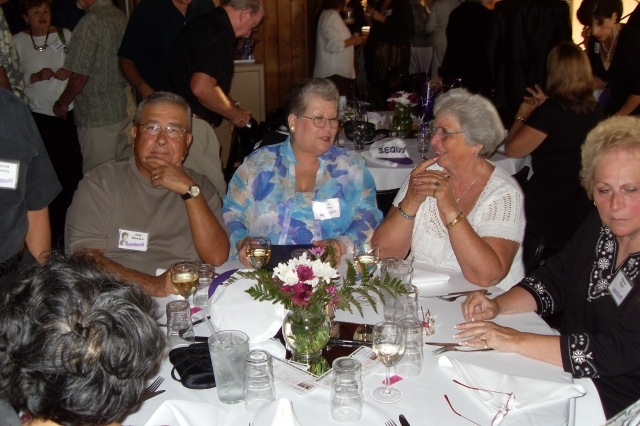 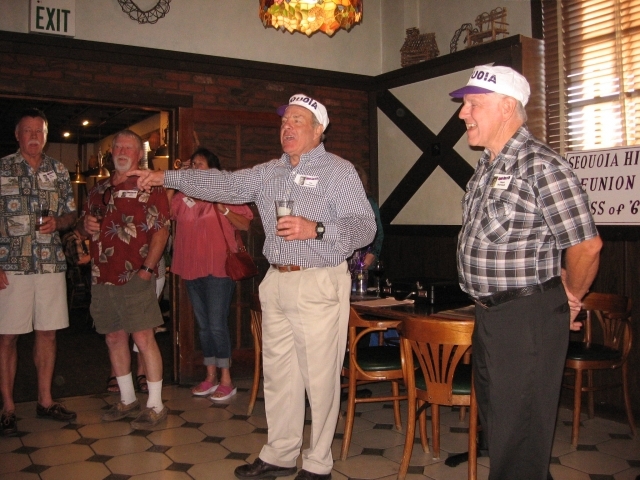 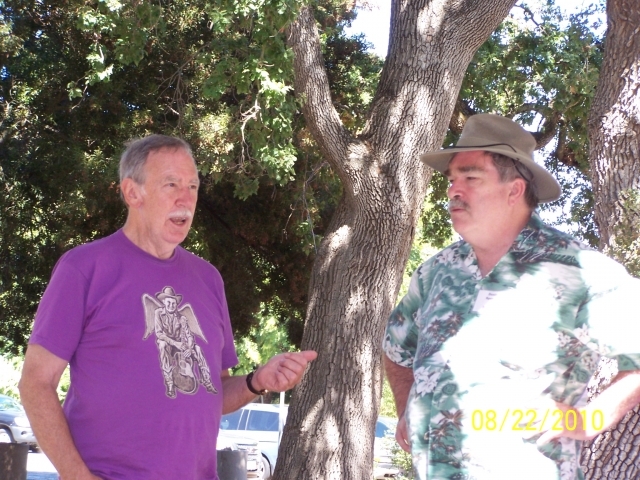 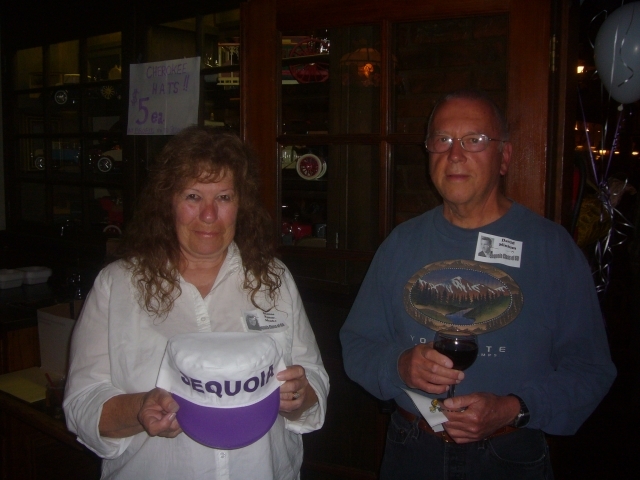 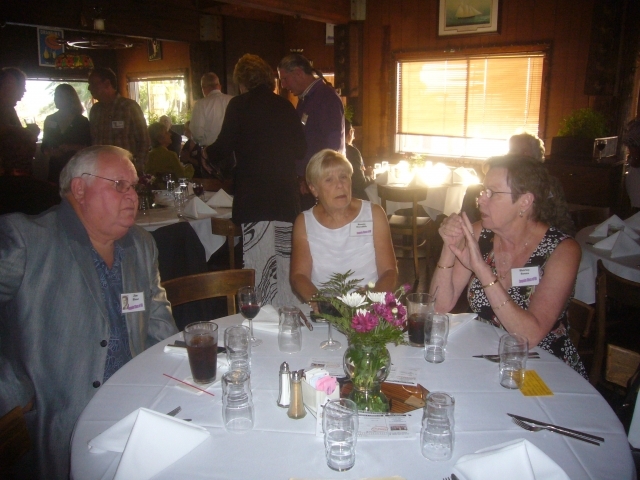 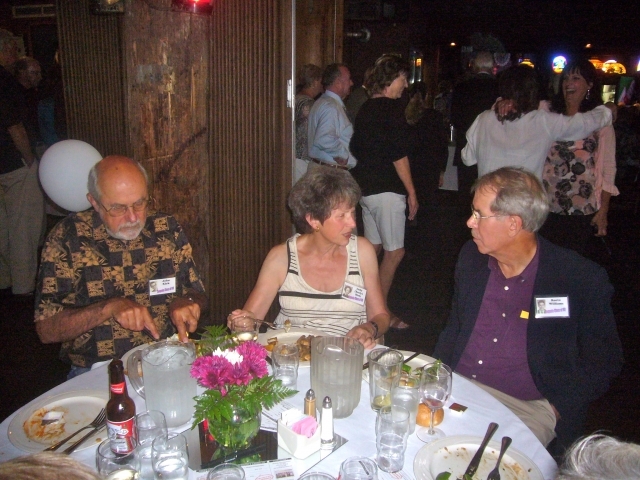 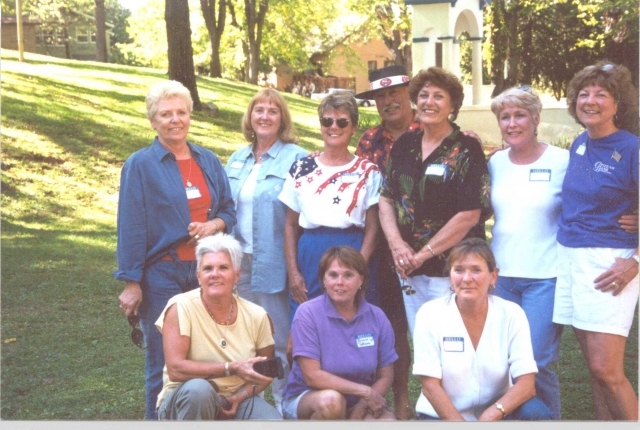 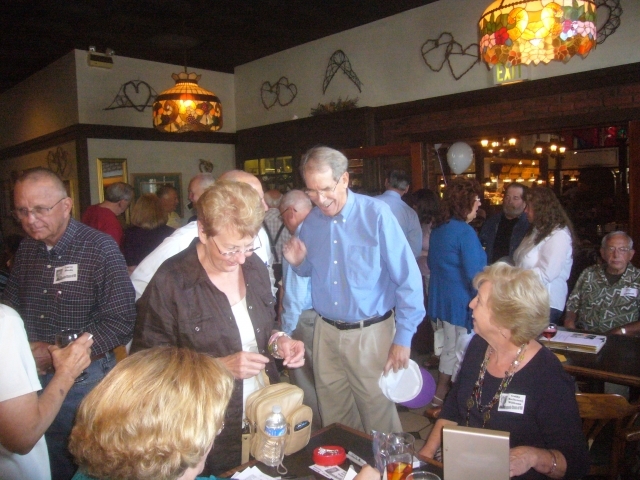 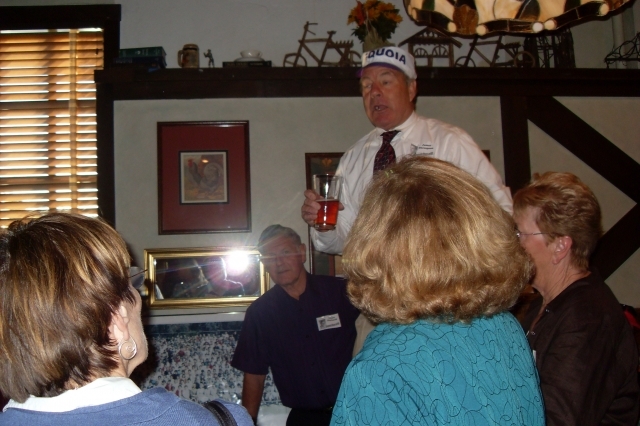 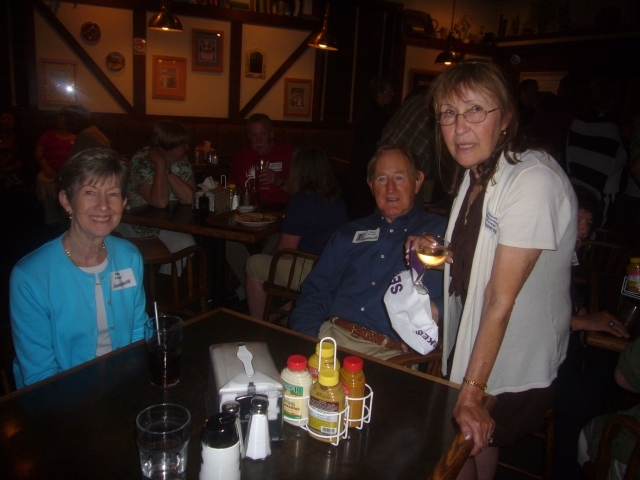 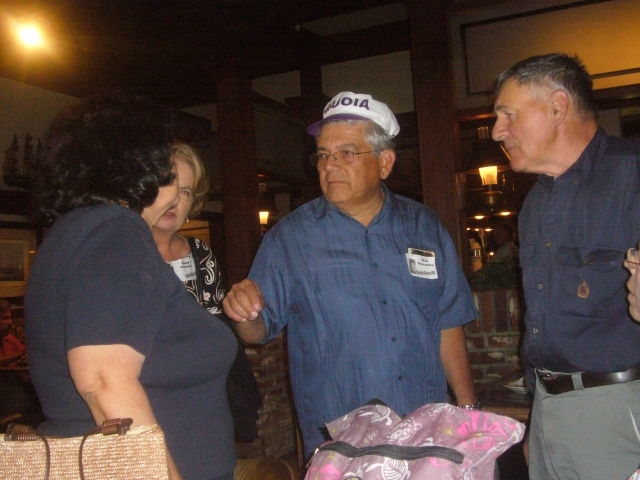 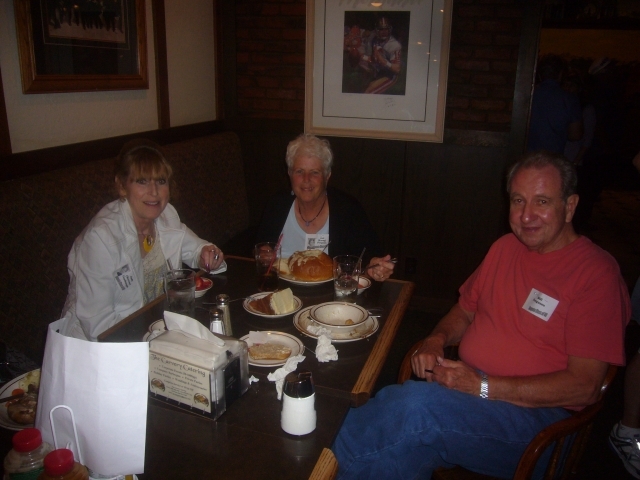 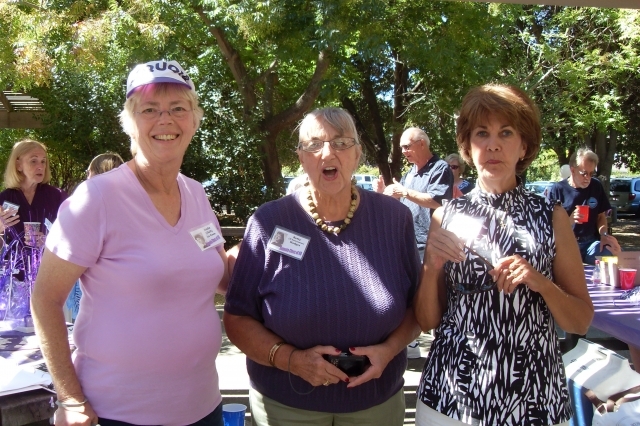 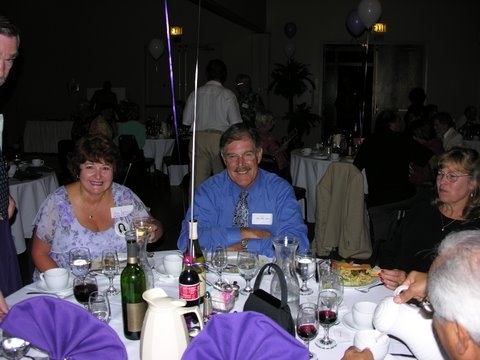 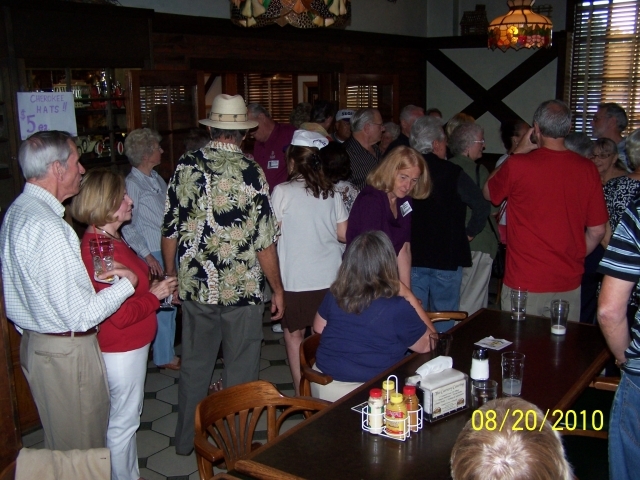 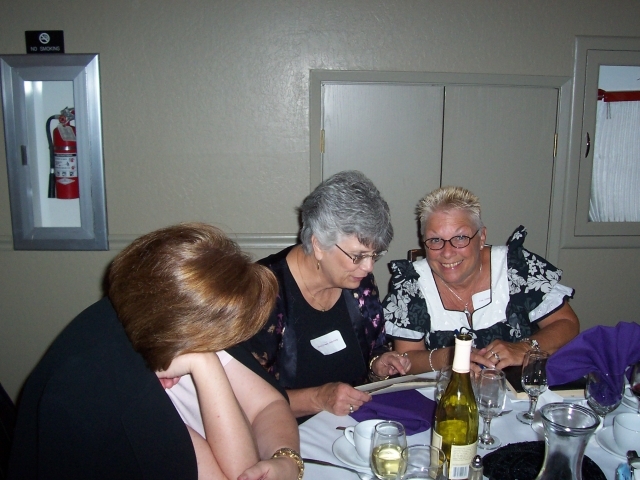 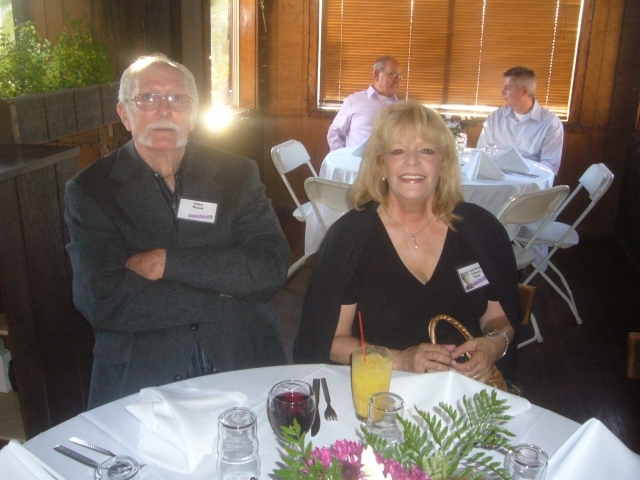 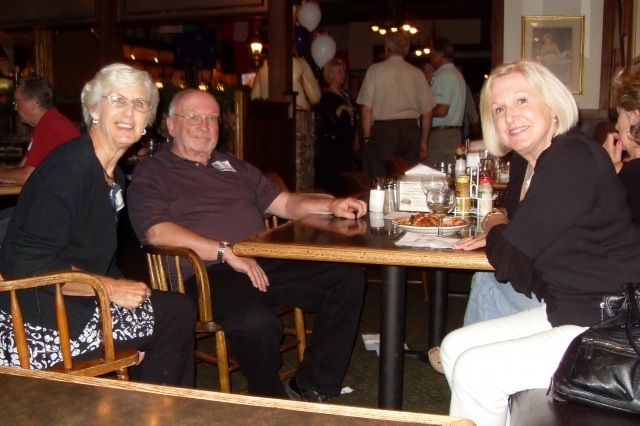 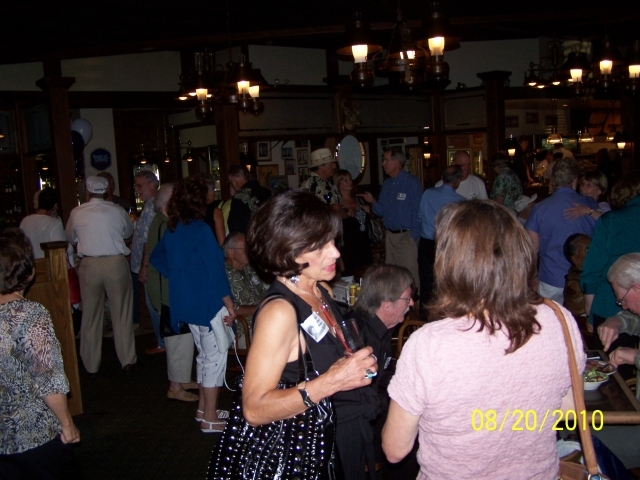 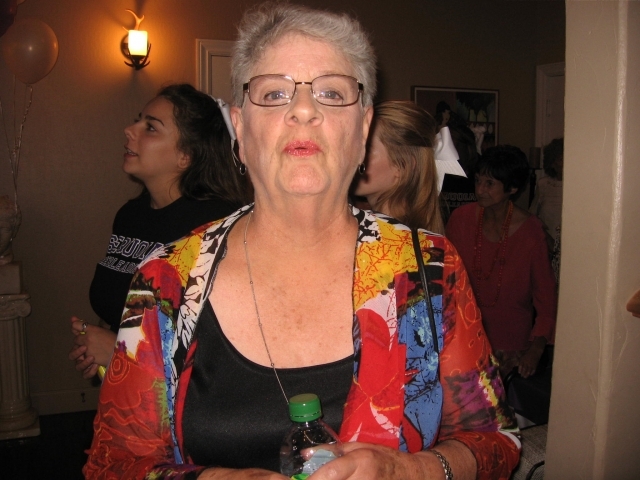 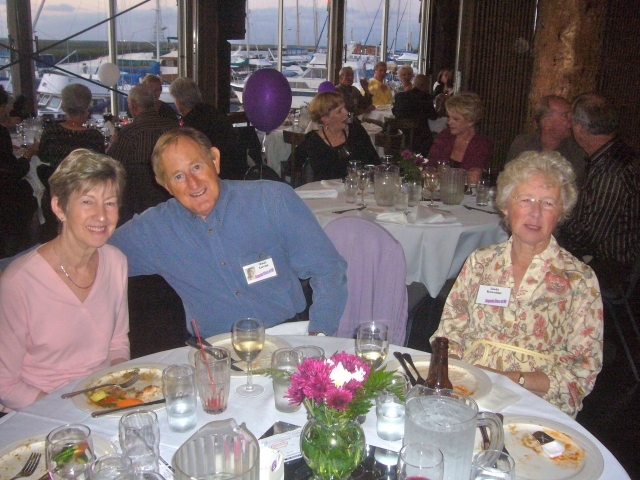 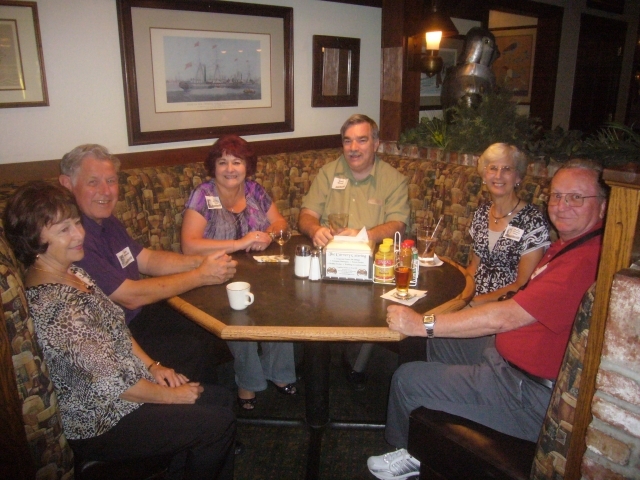 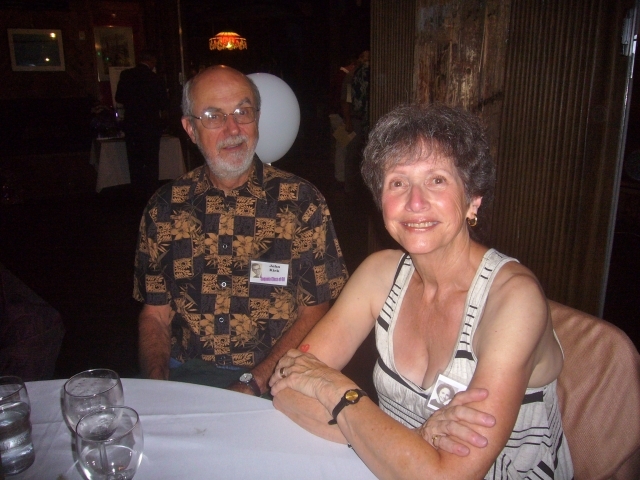 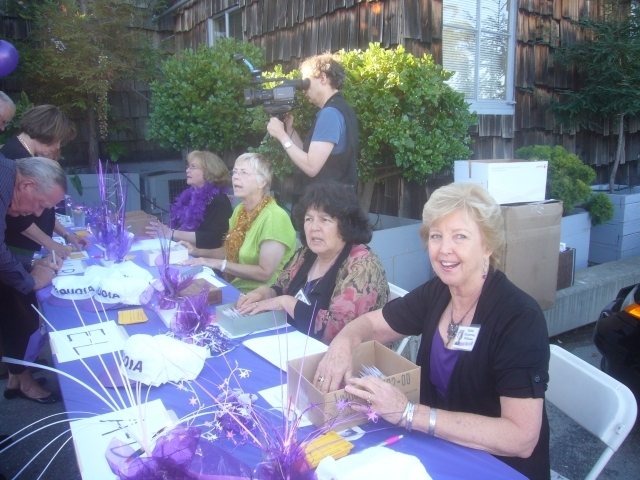 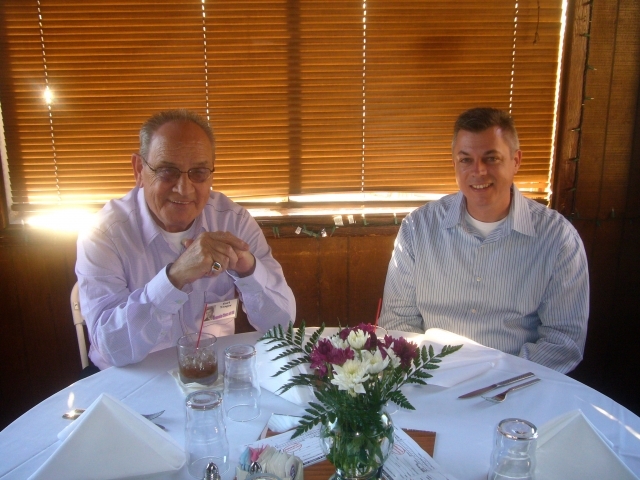 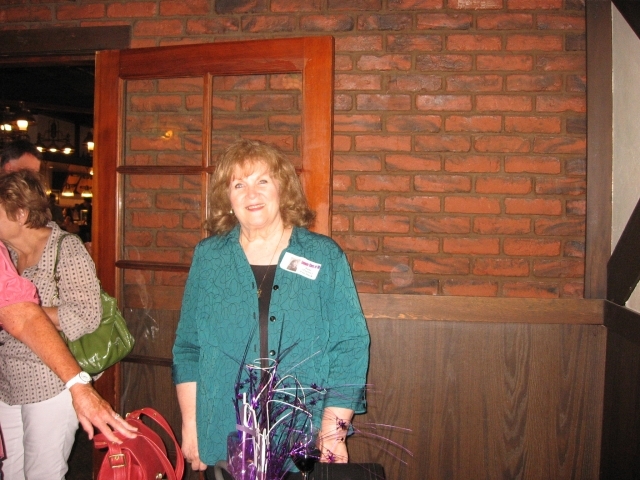 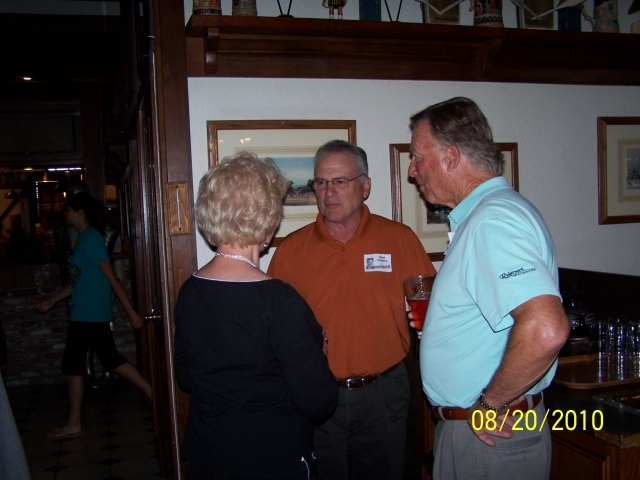 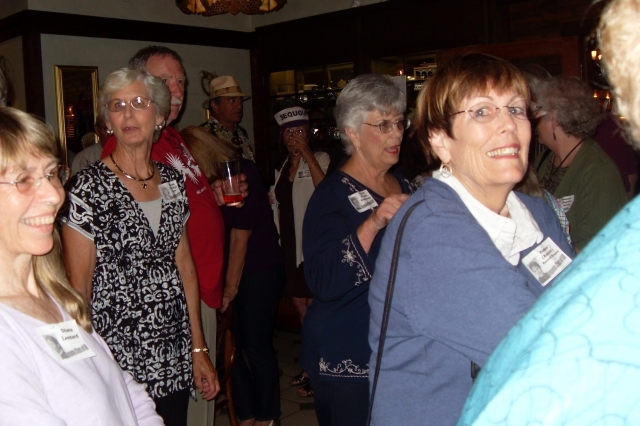 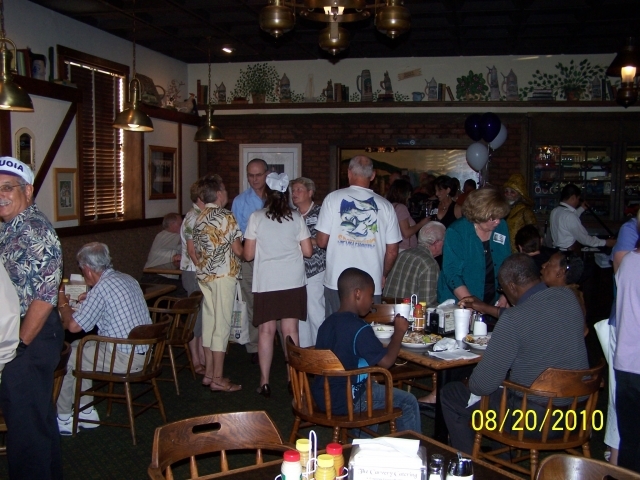 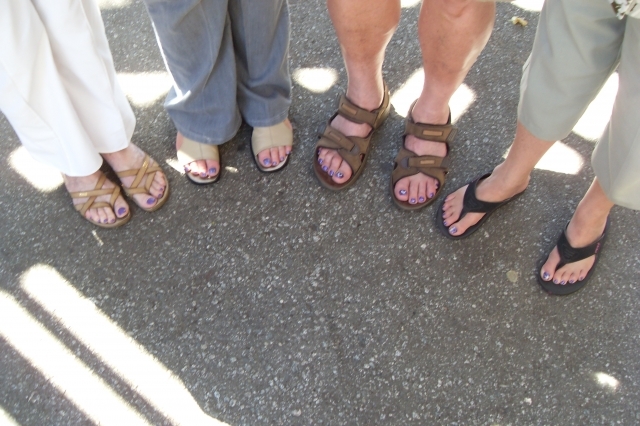 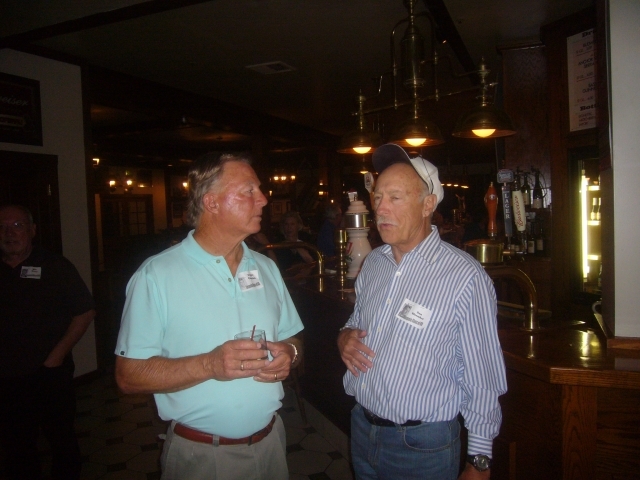 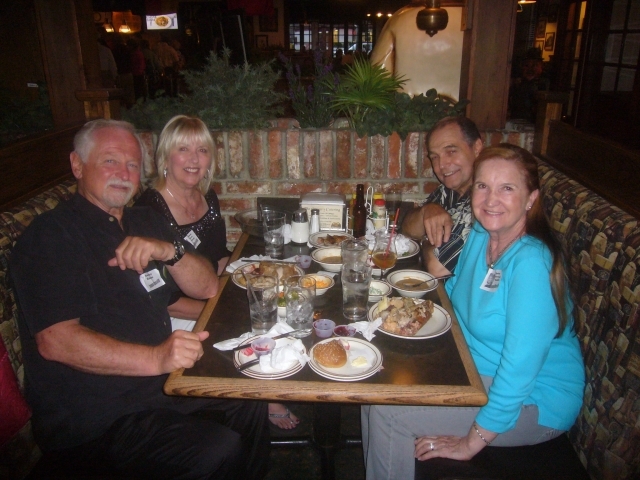 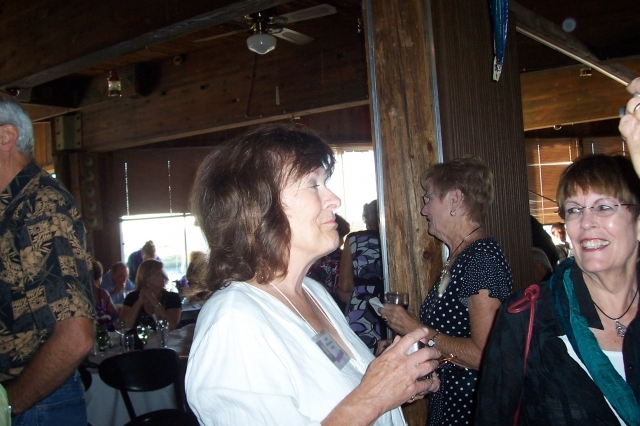 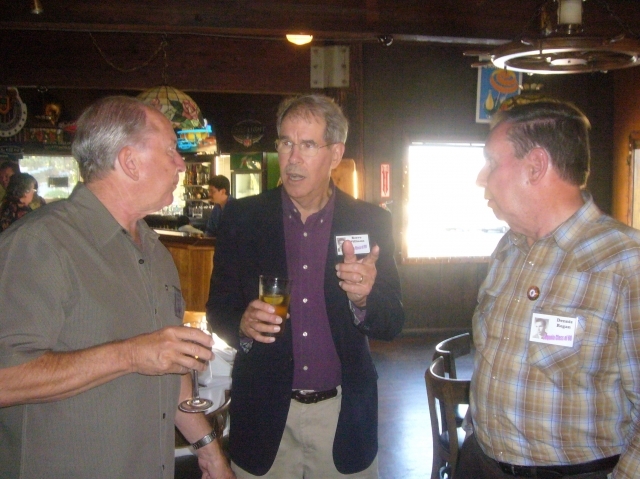 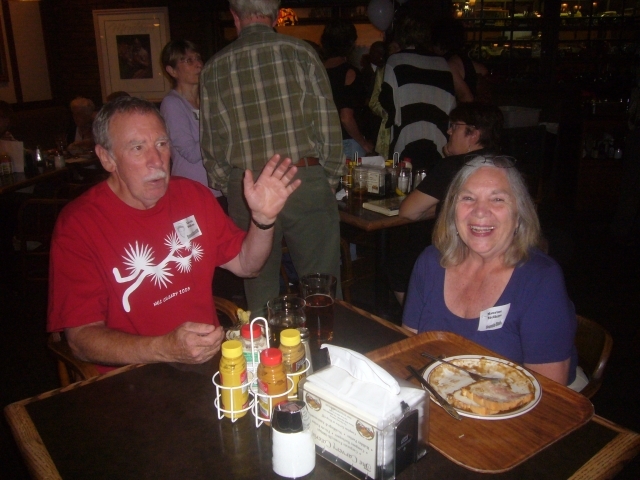 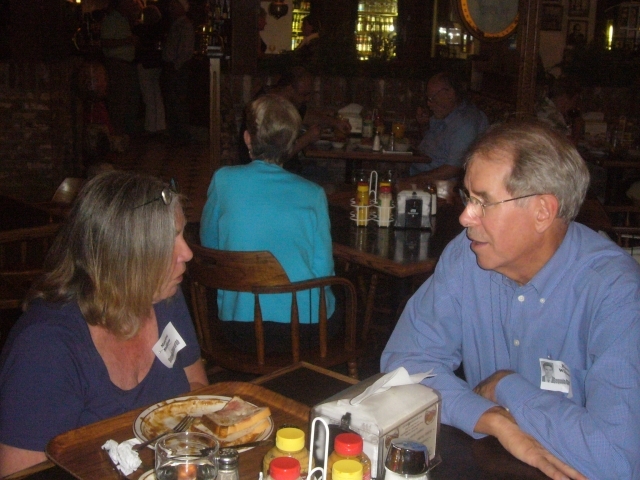 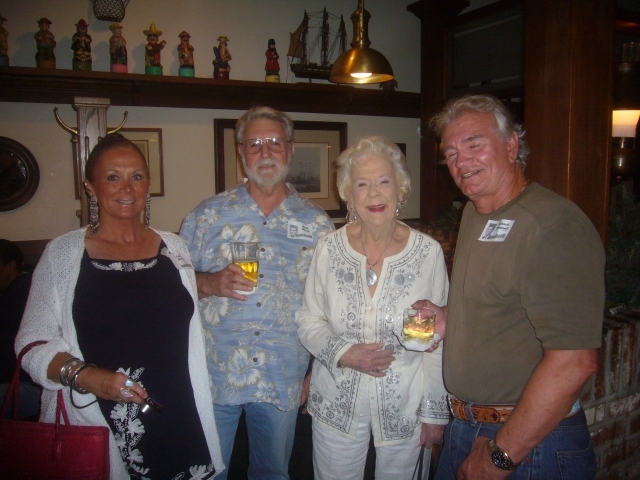 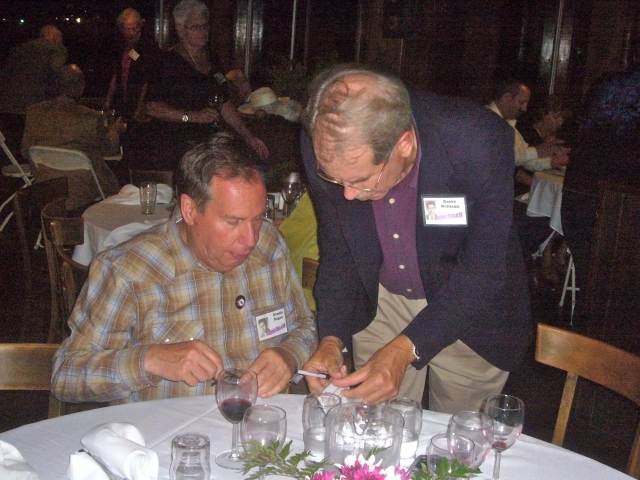 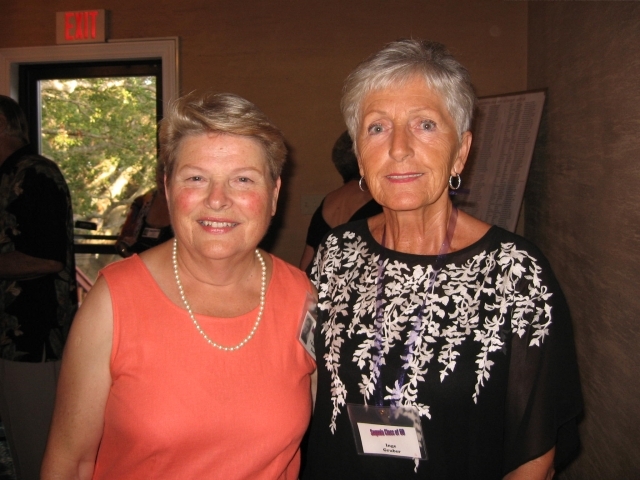 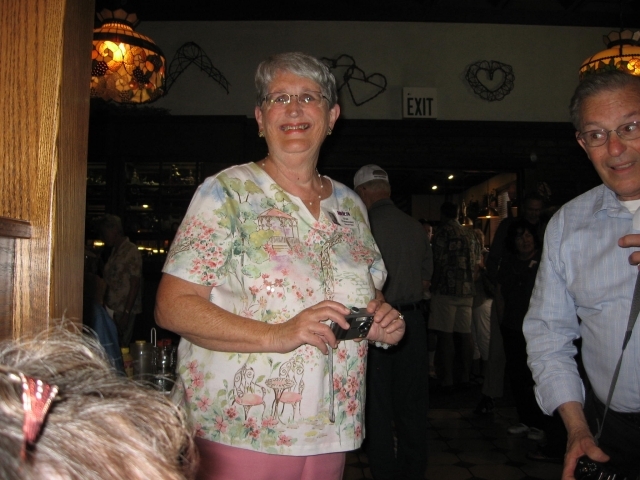 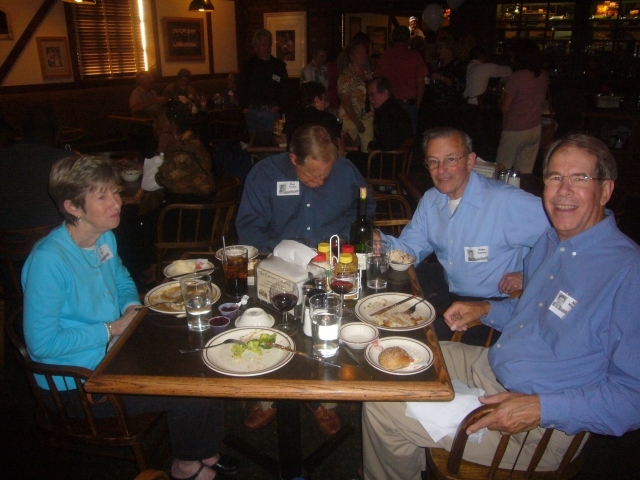 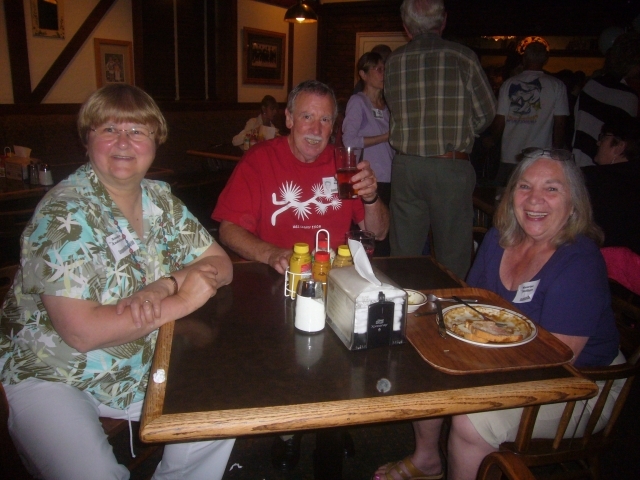 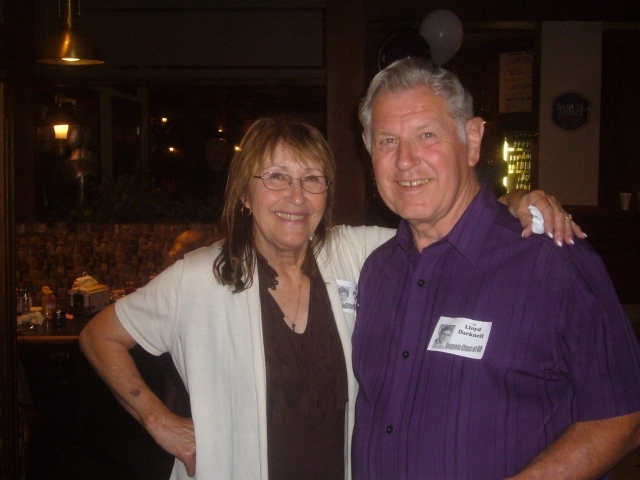 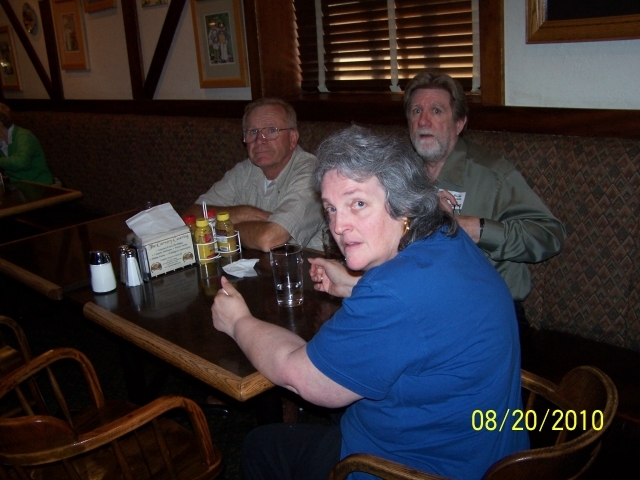 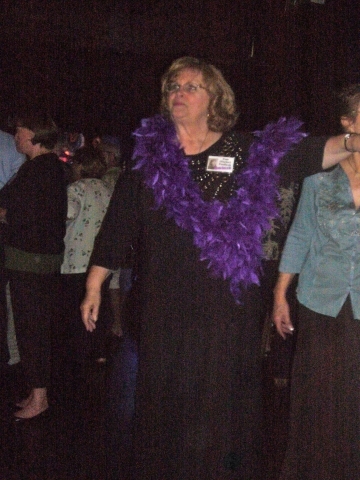 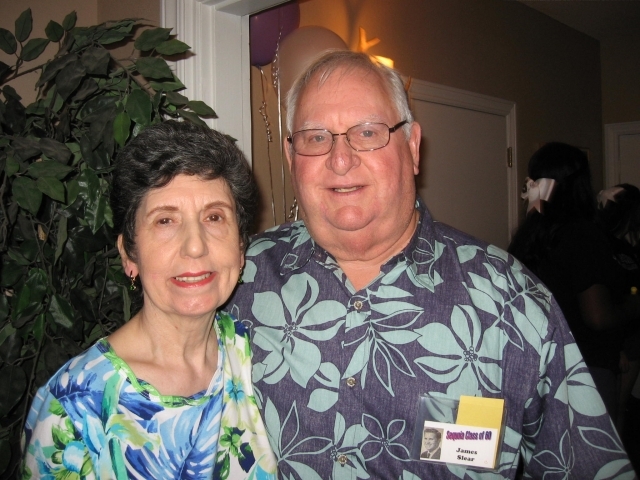 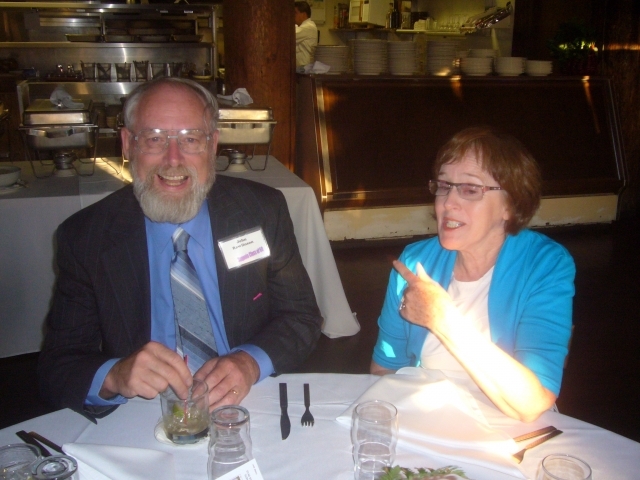 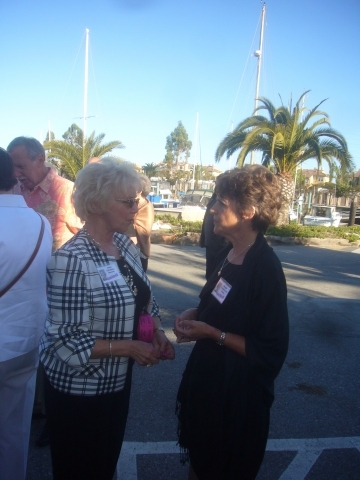 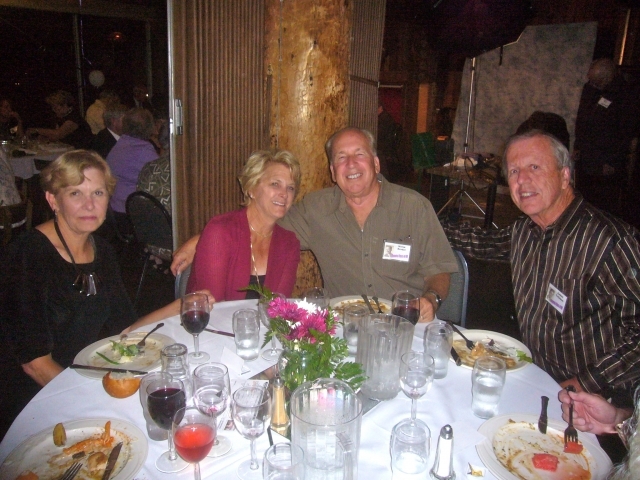 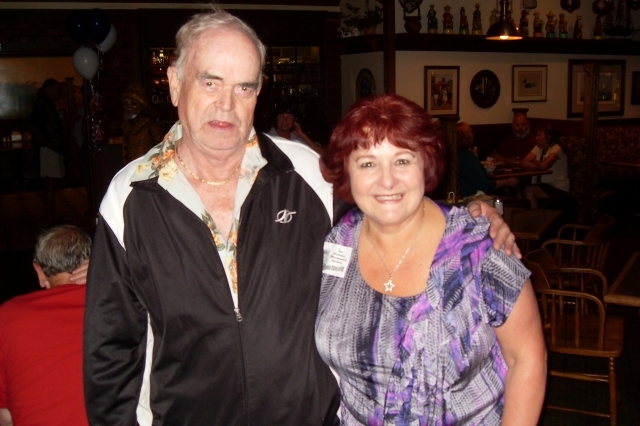 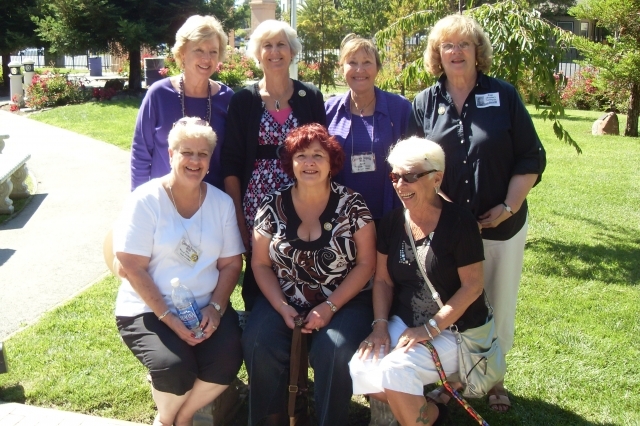 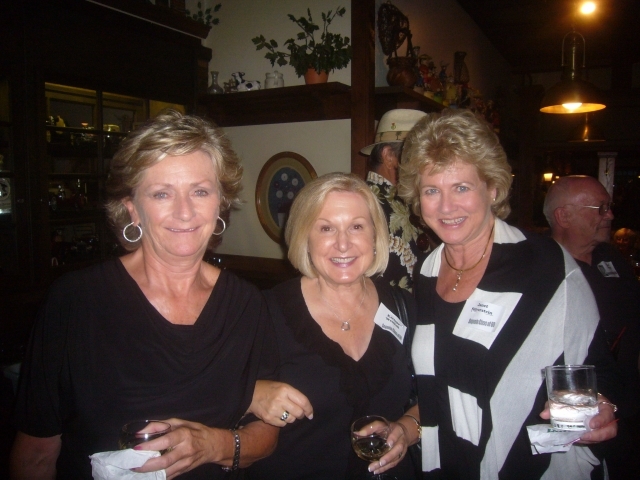 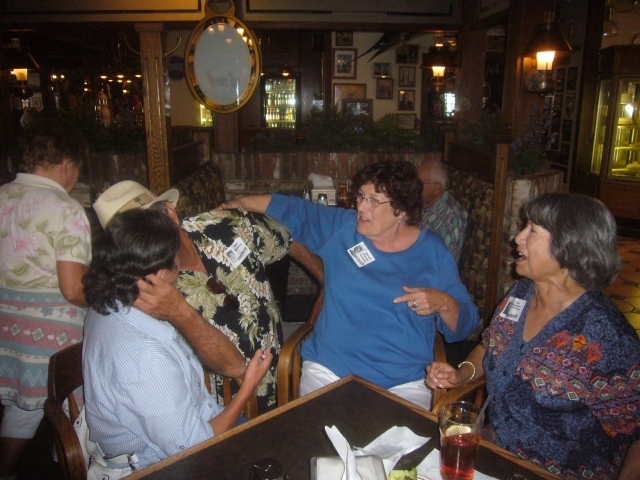 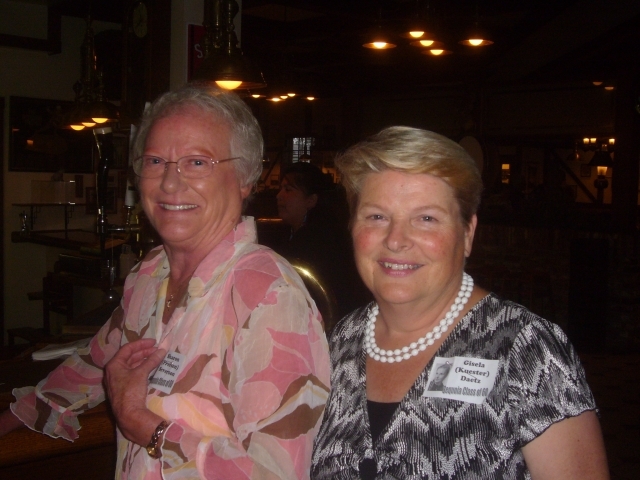 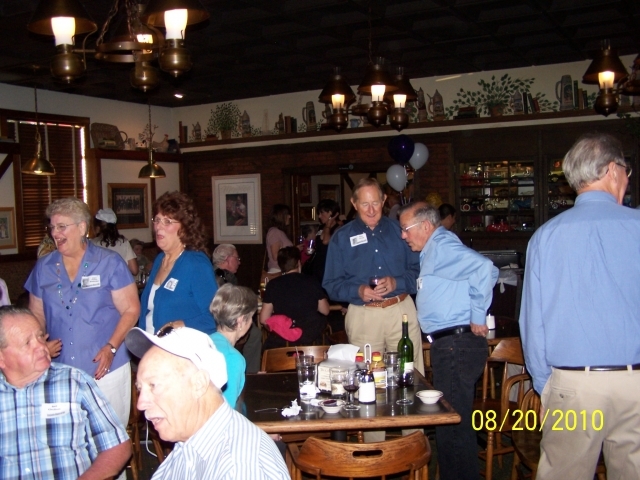 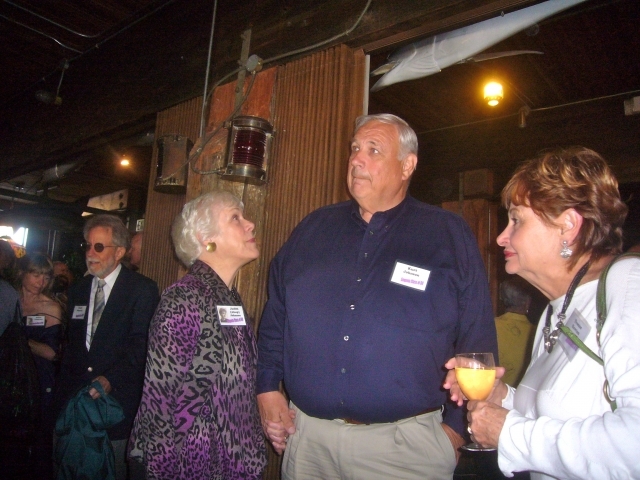 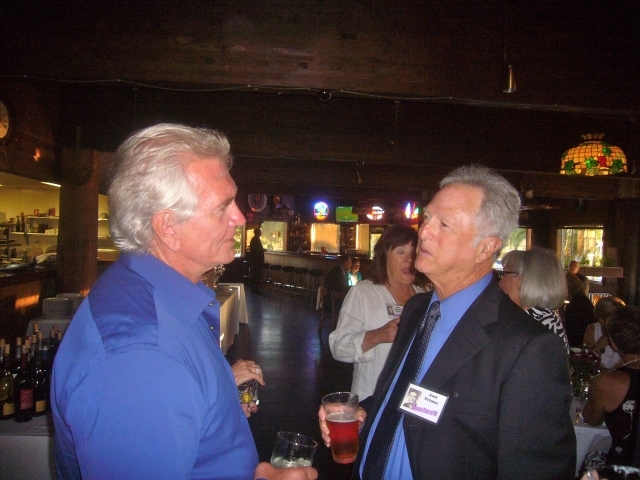 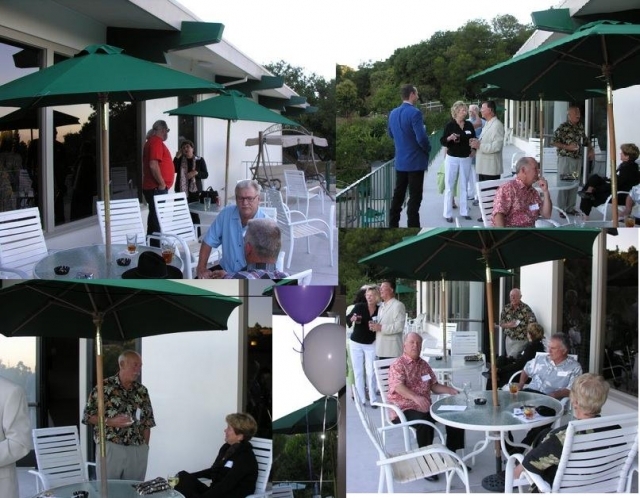 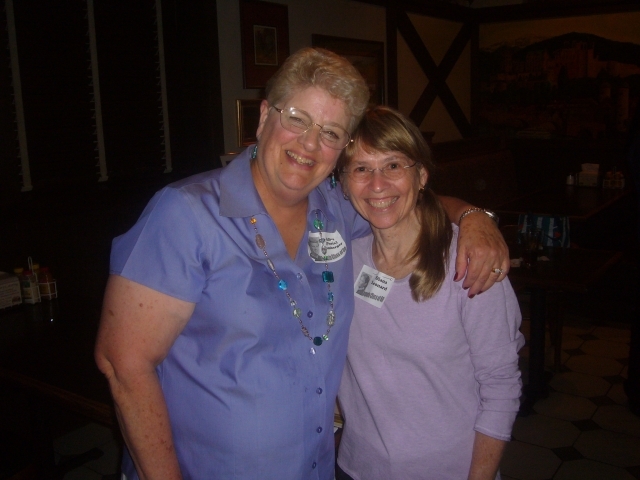 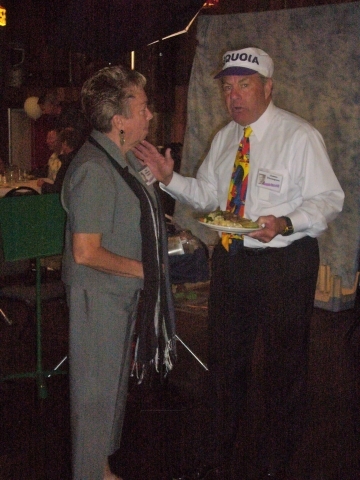 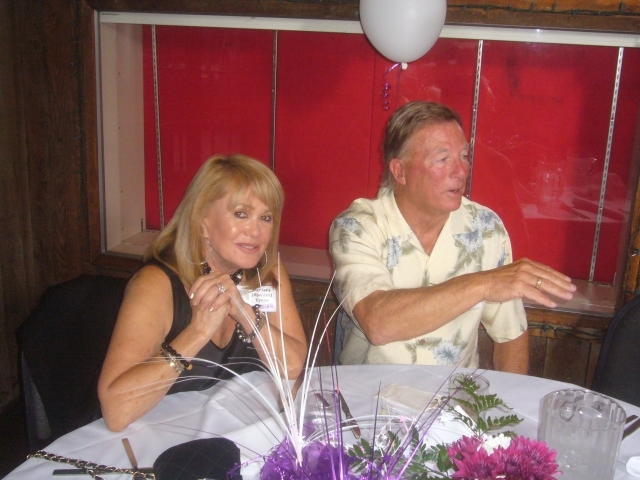 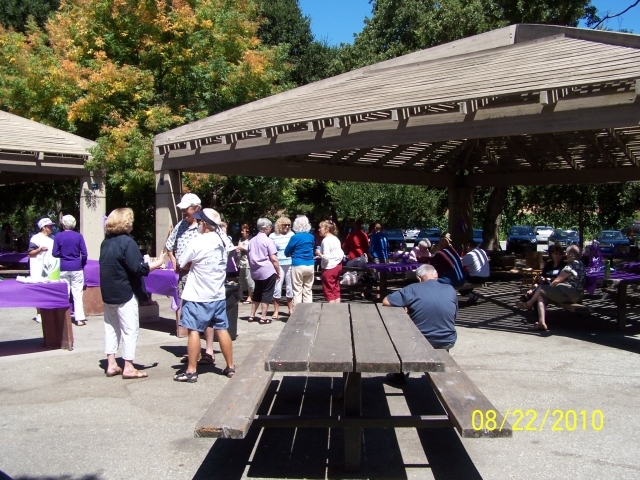 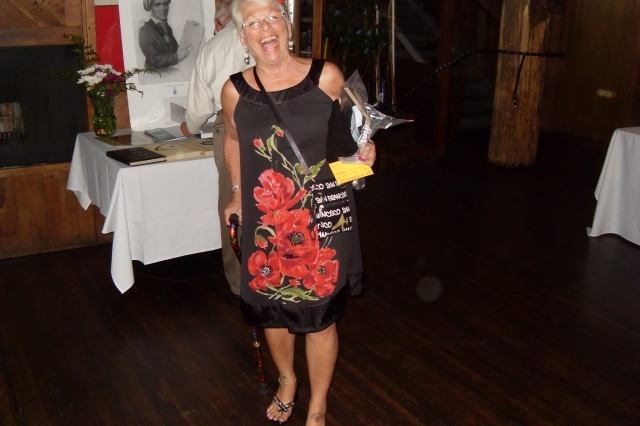 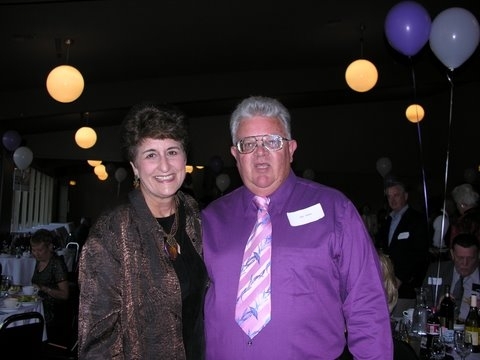 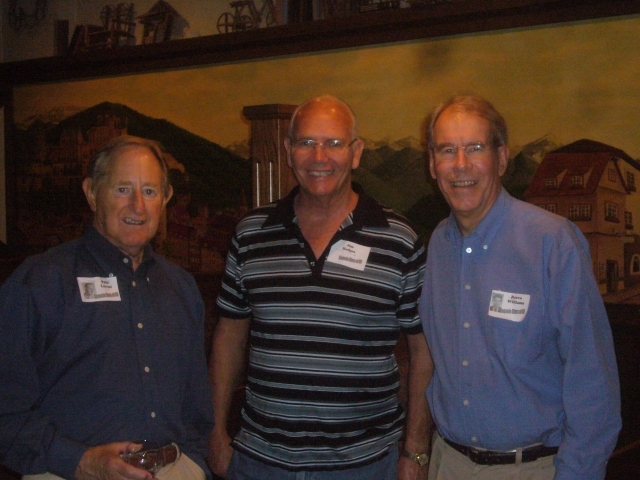 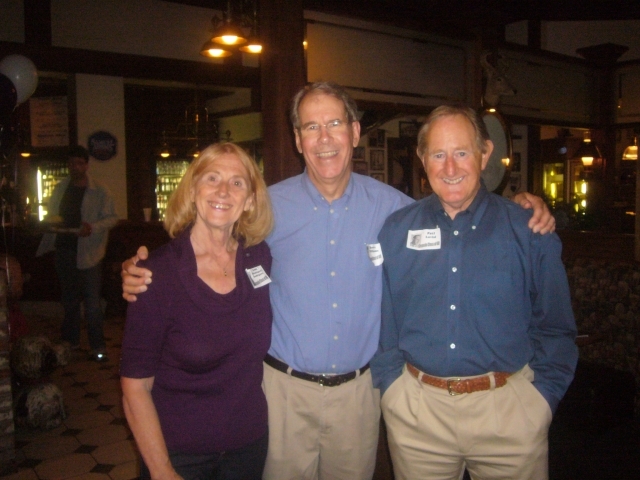 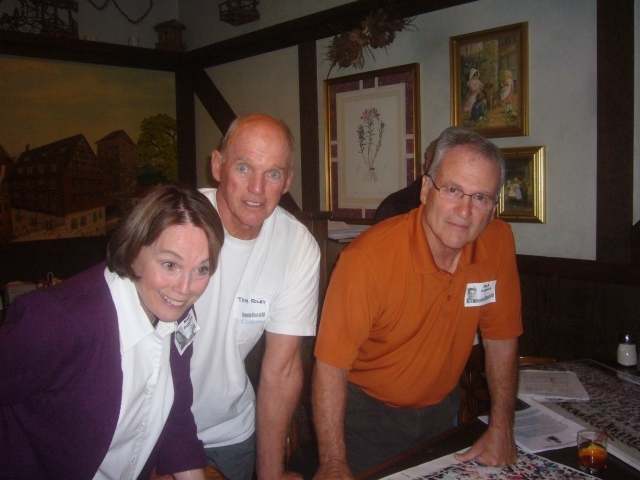 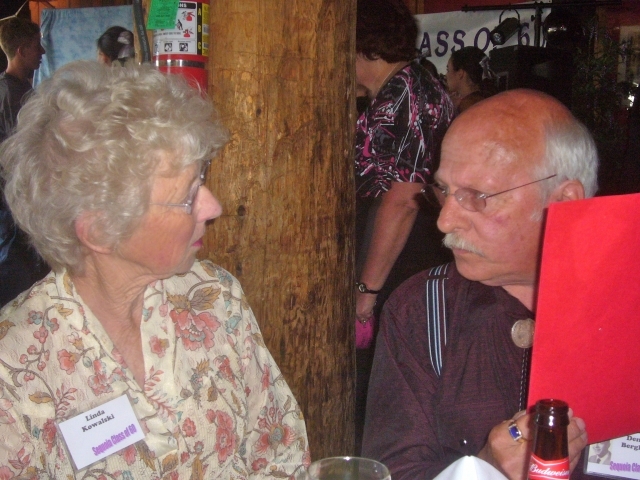 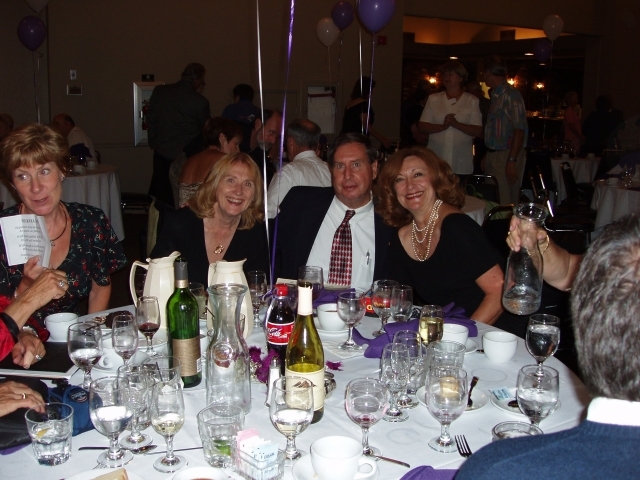 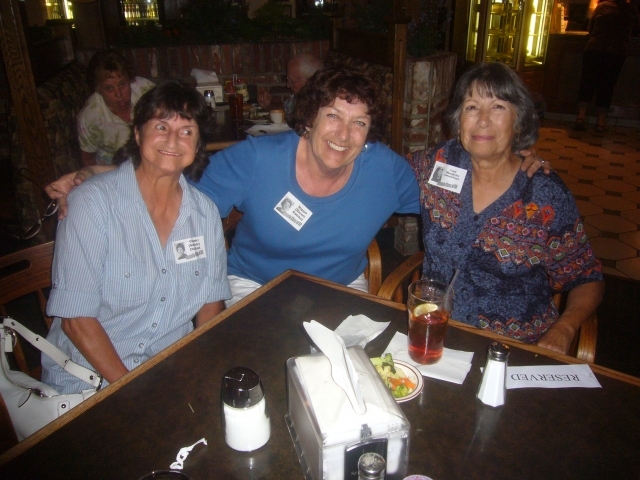 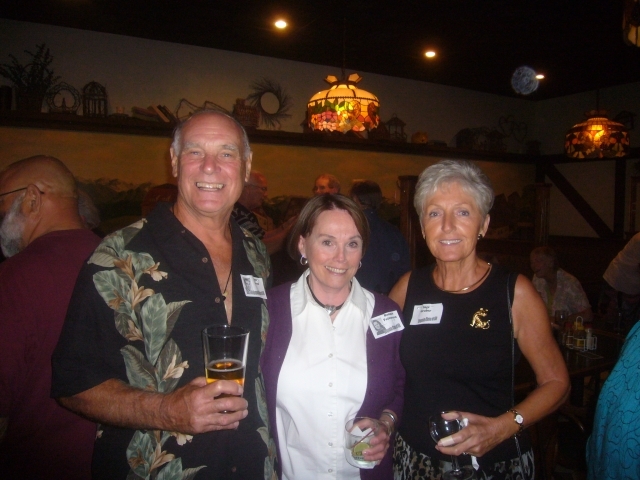 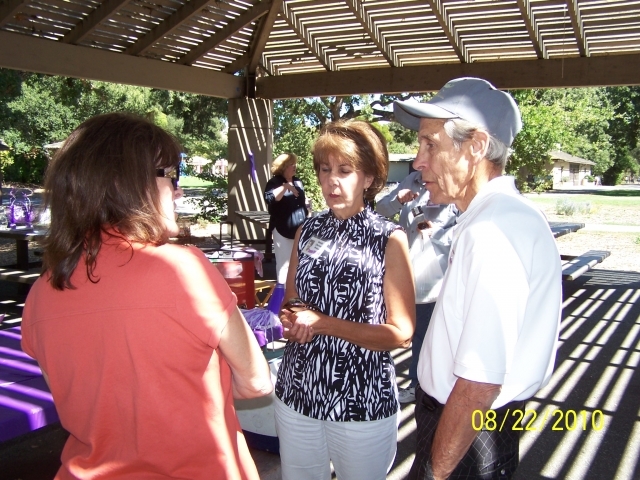 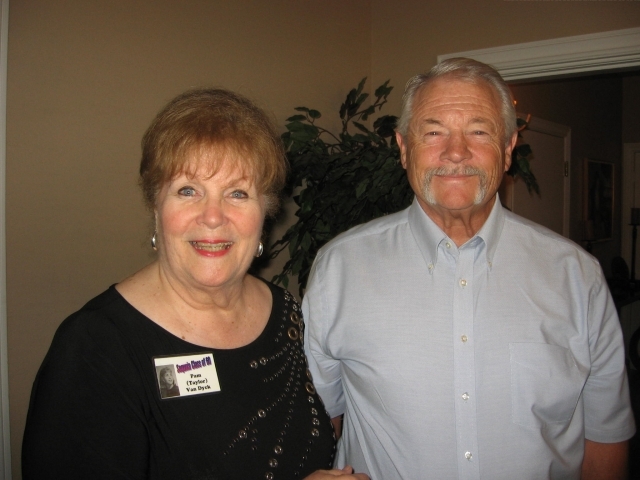 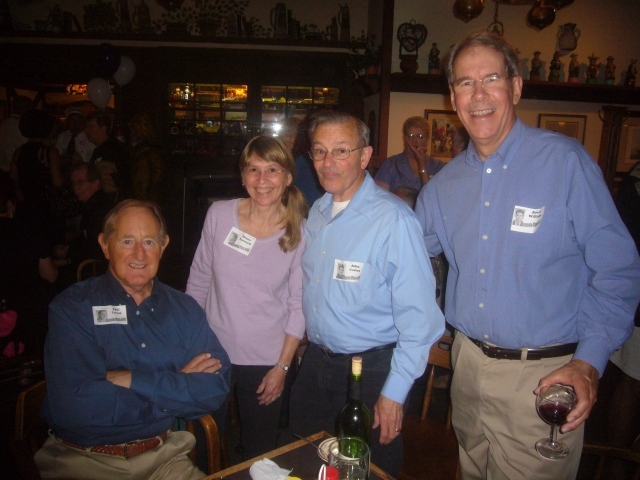 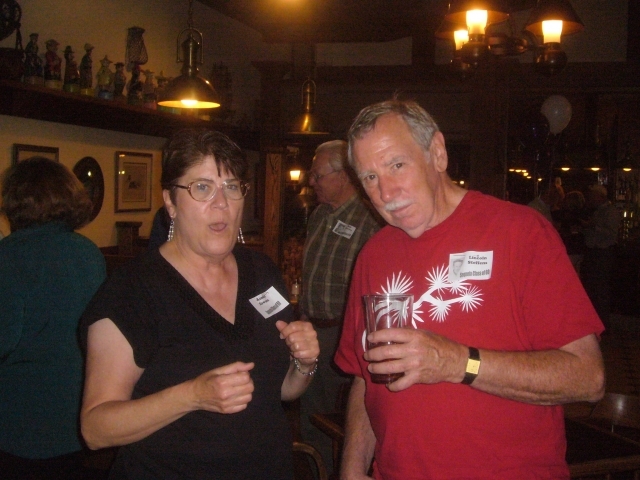 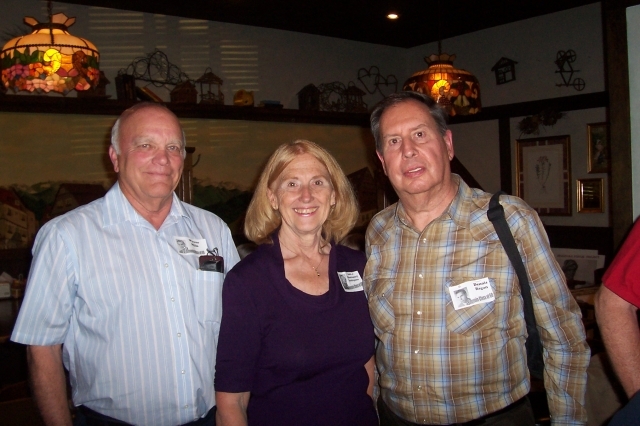 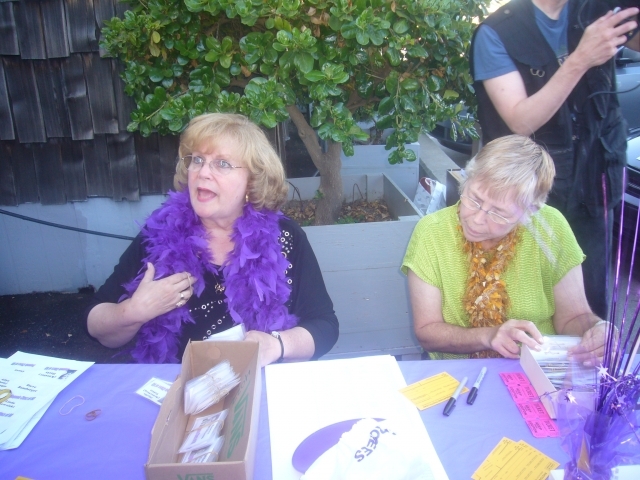 Some of these photos were taken at the Alumni Assn Picnic Aug 21, 2010. 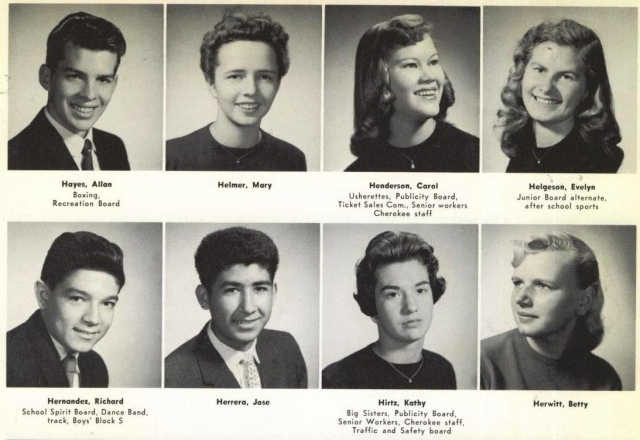 Some are a bit older. 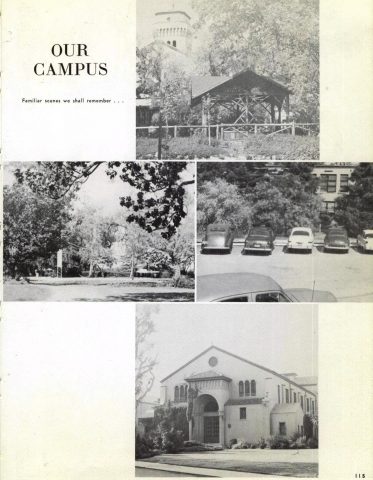 But all of them show what a beautiful campus we have- and used to have.